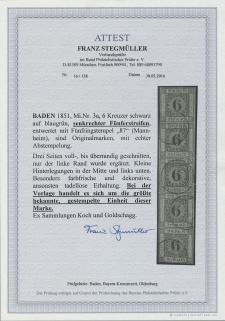 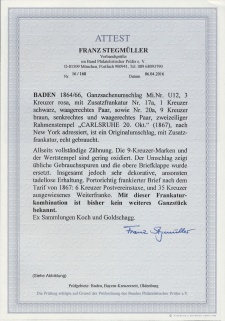 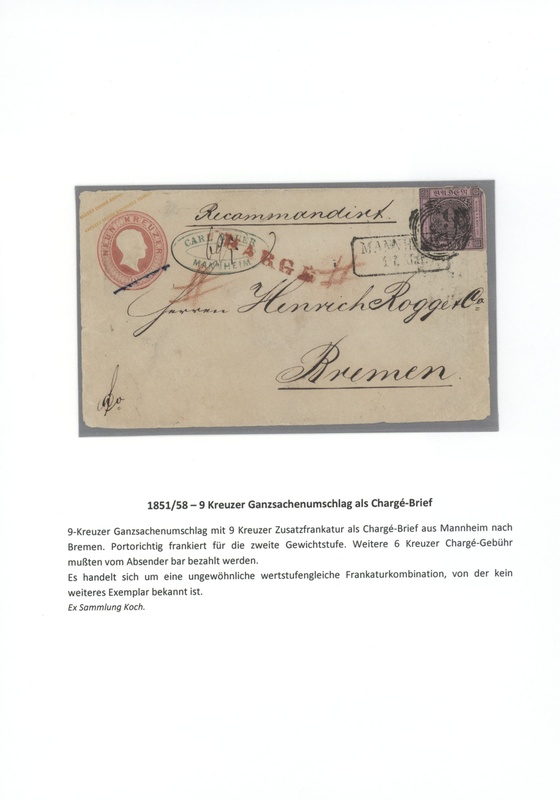 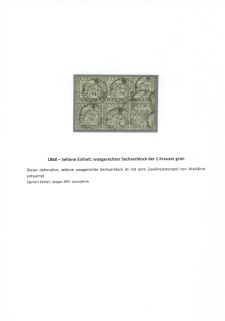 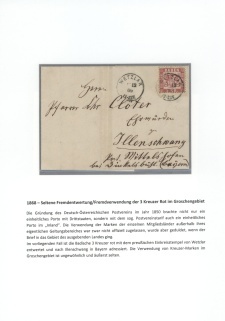 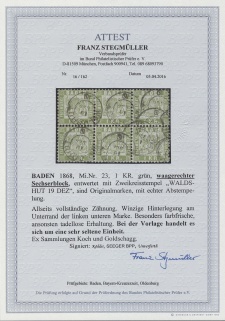 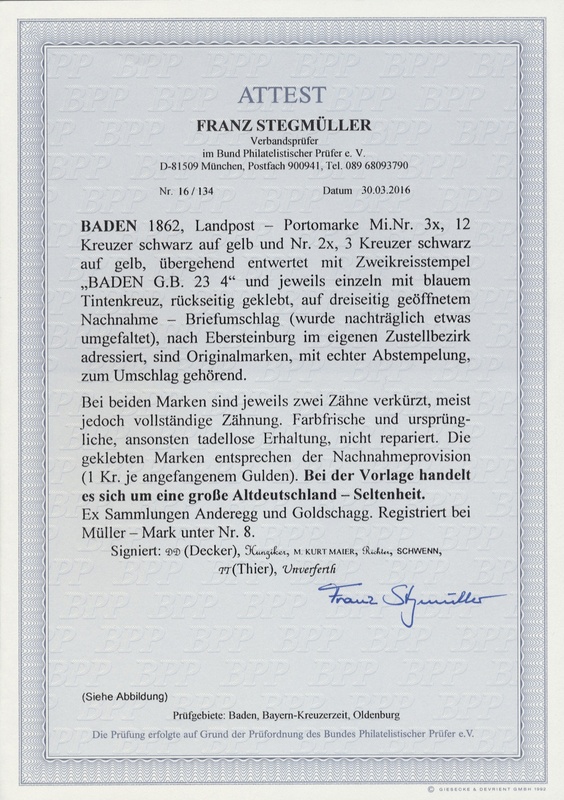 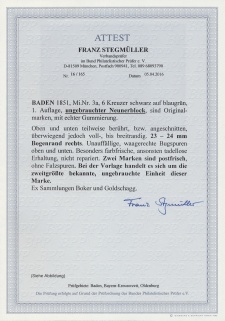 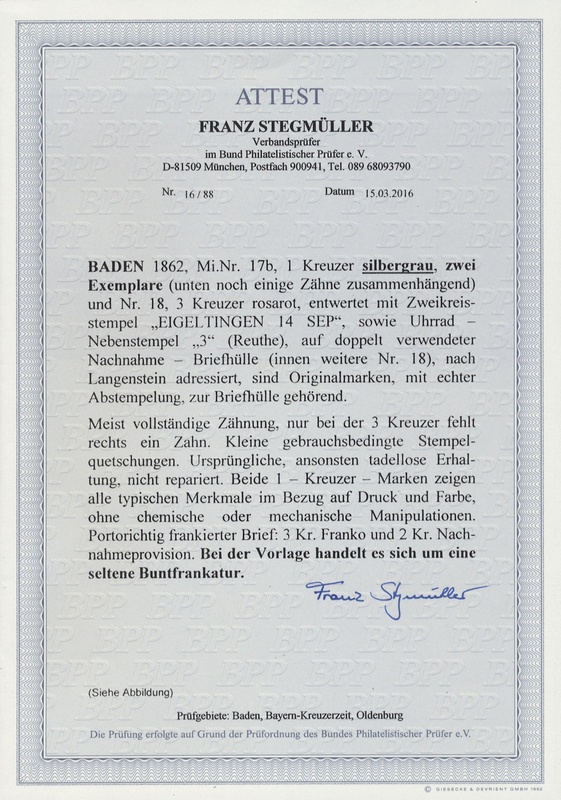 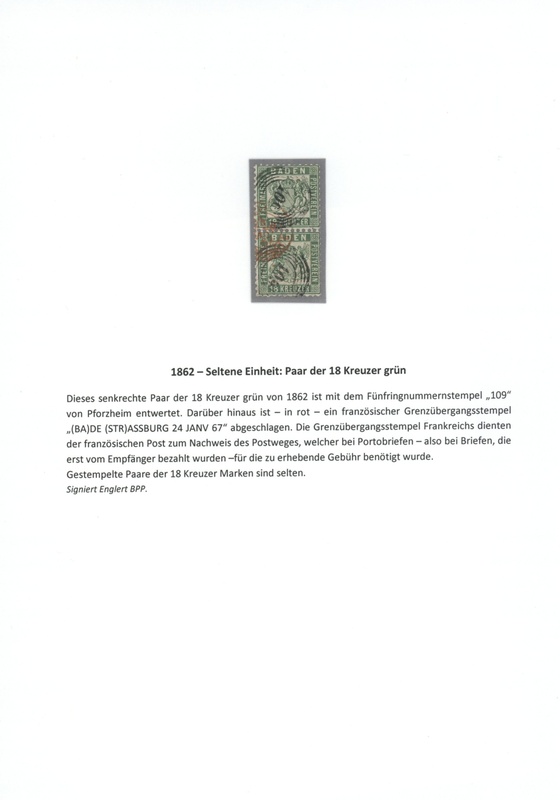 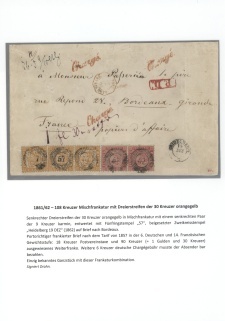 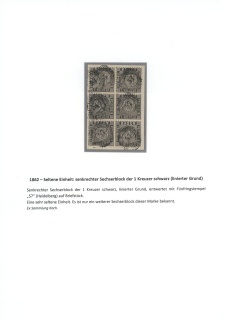 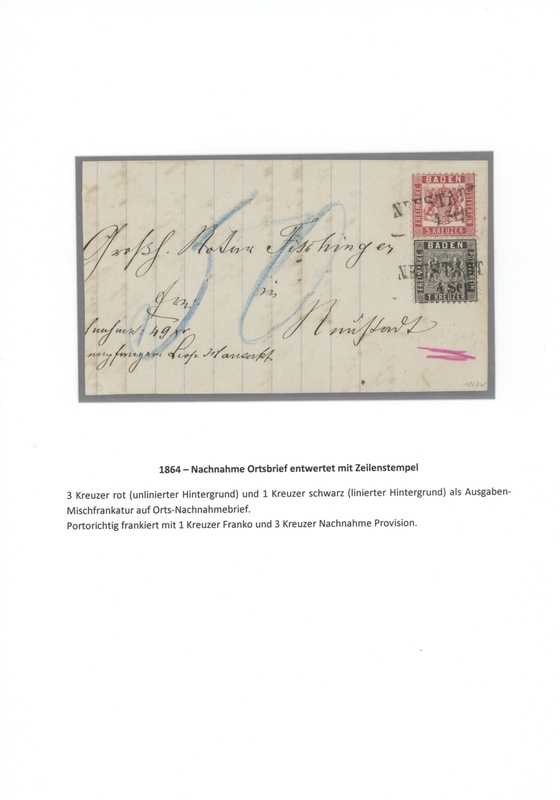 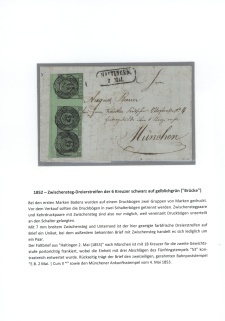 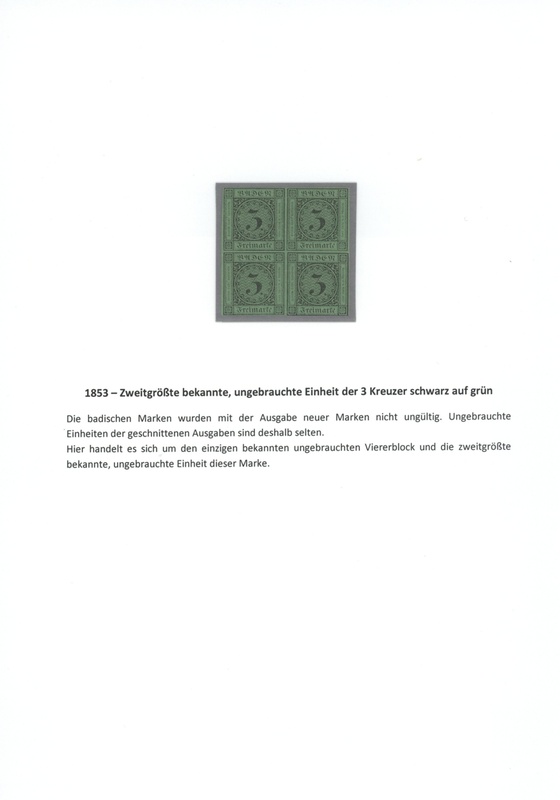 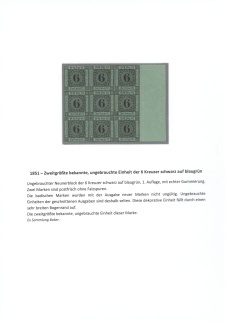 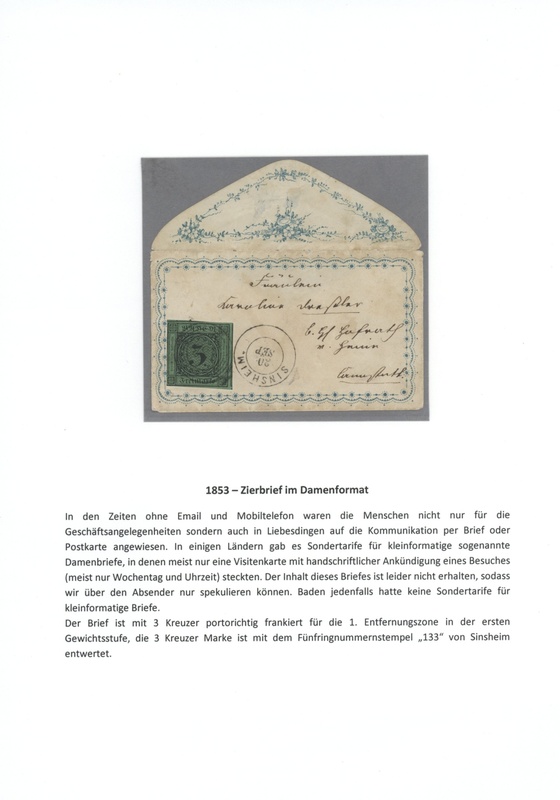 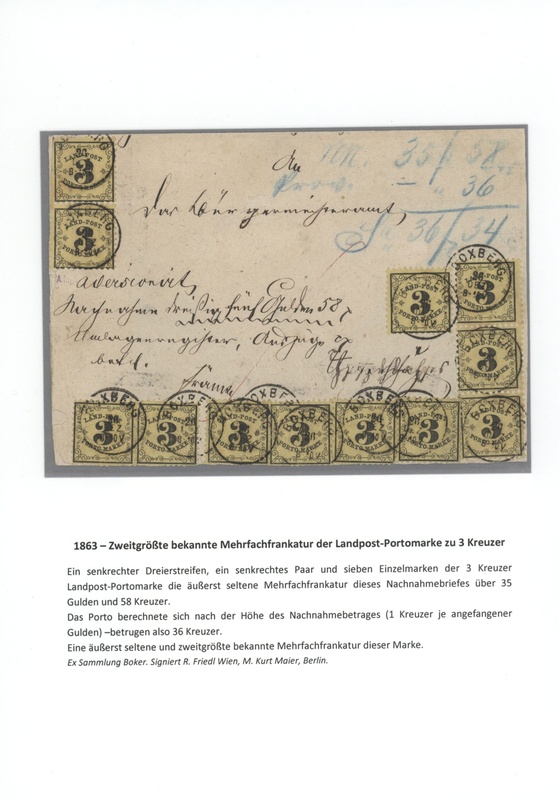 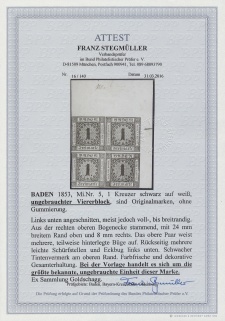 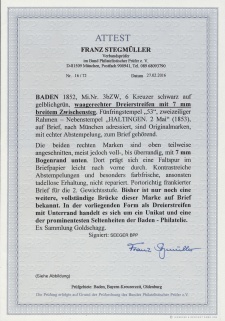 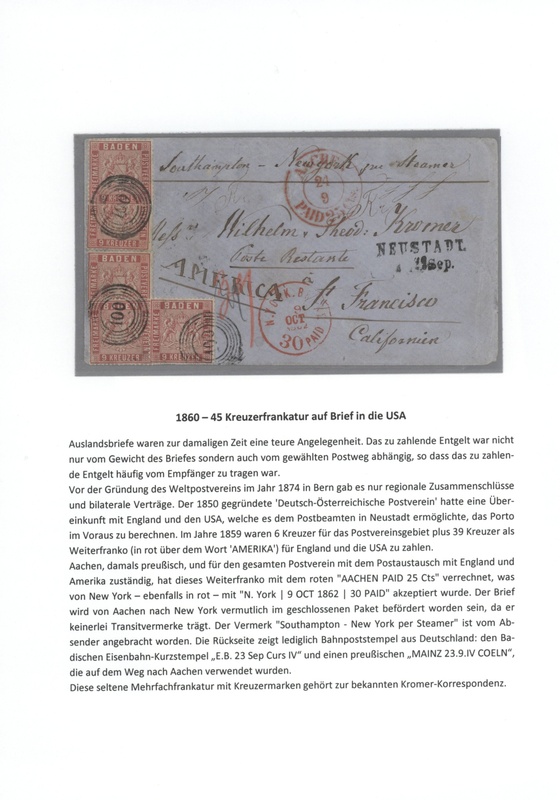 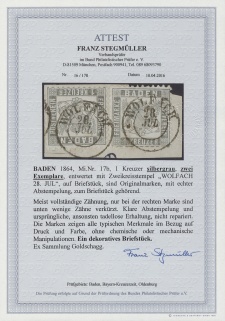 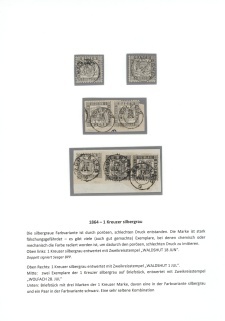 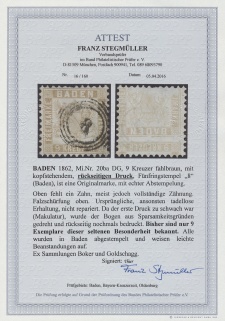 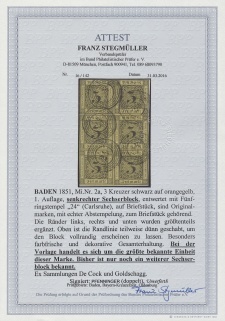 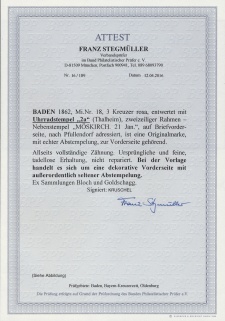 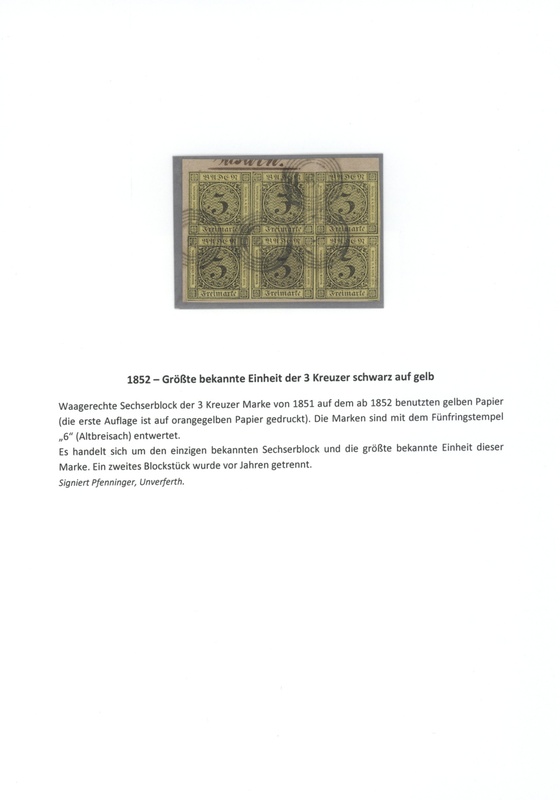 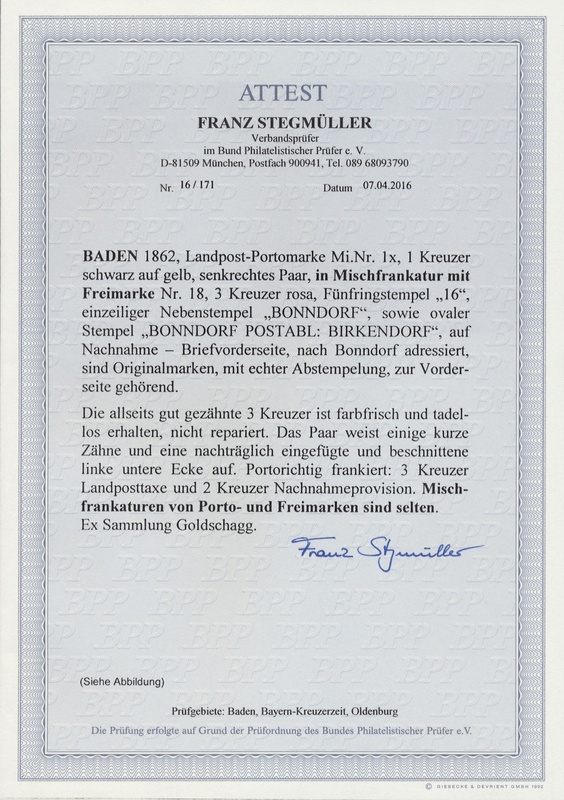 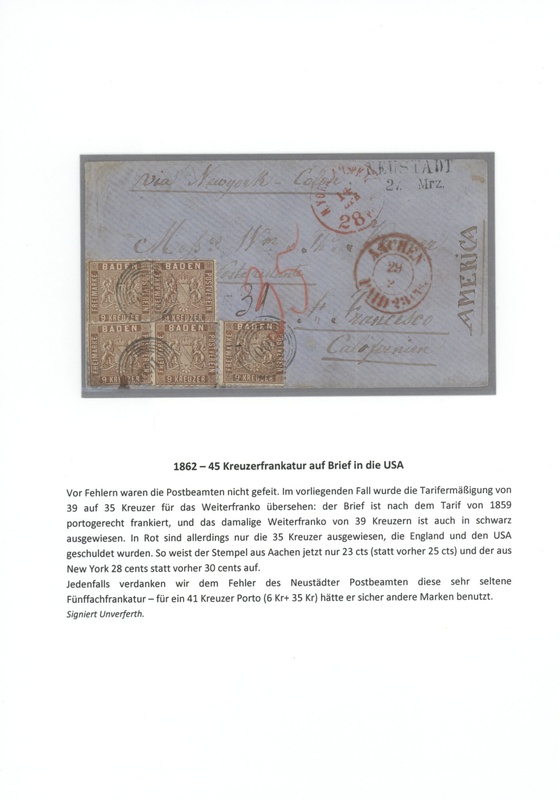 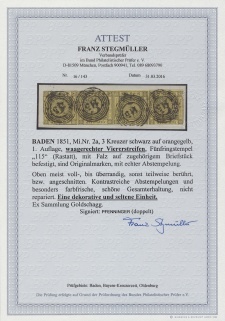 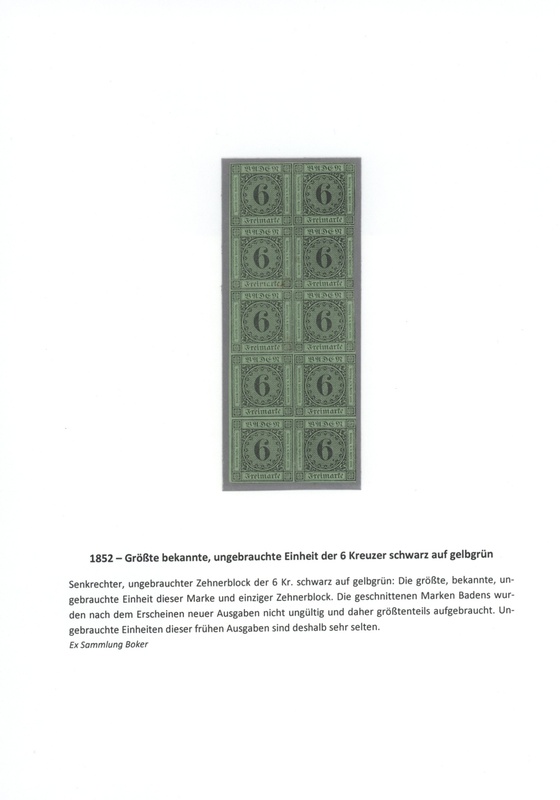 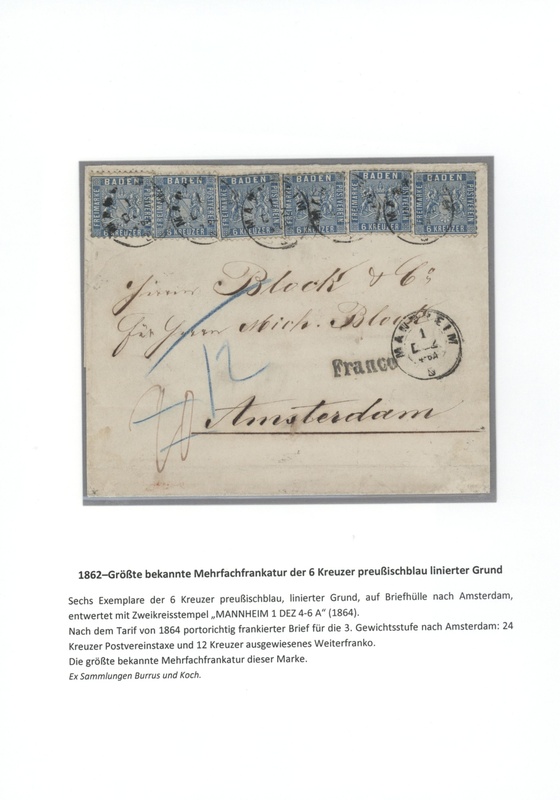 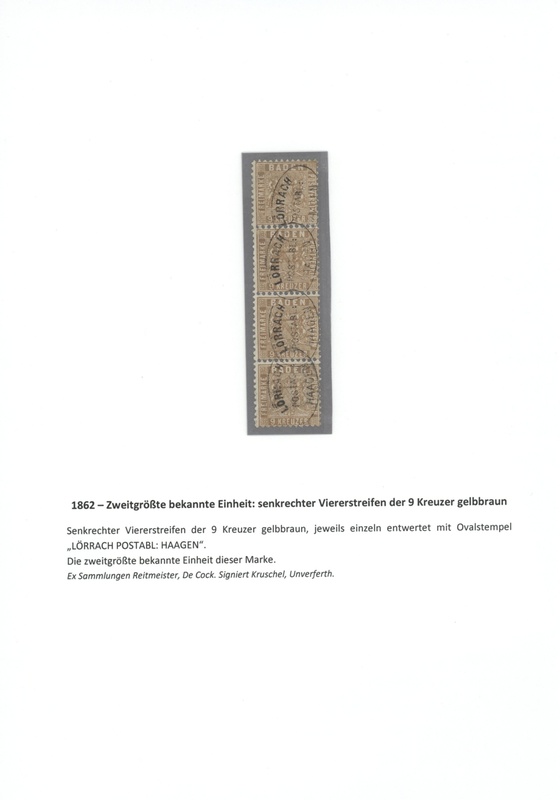 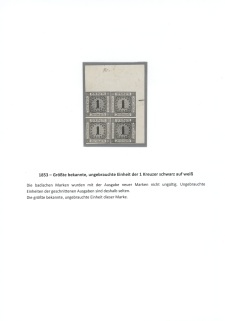 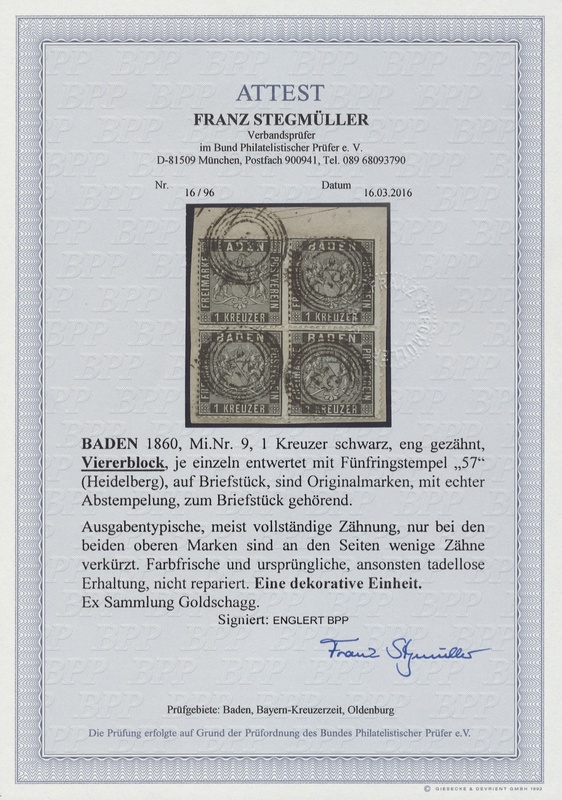 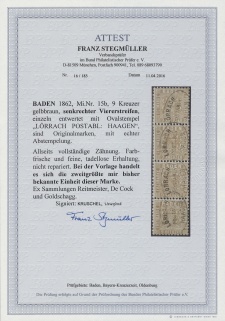 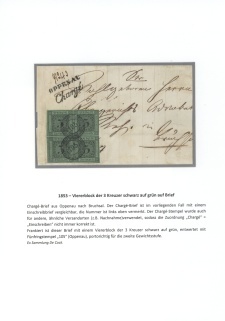 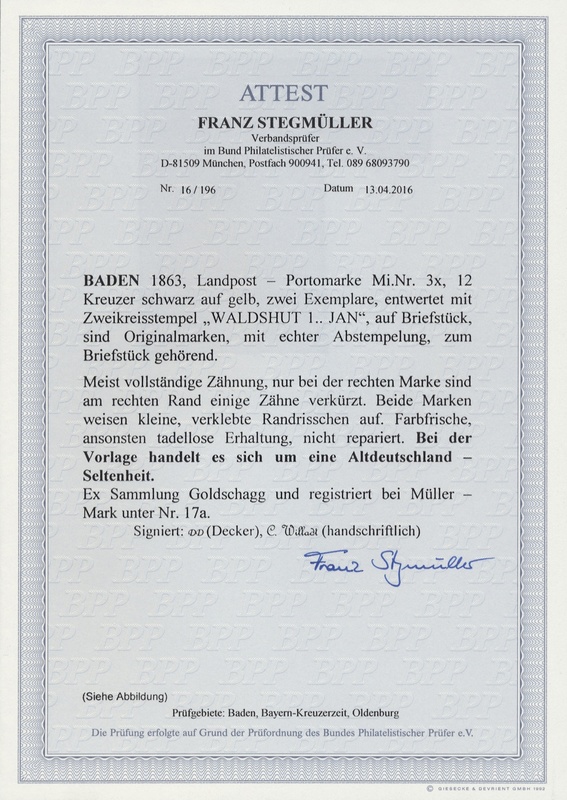 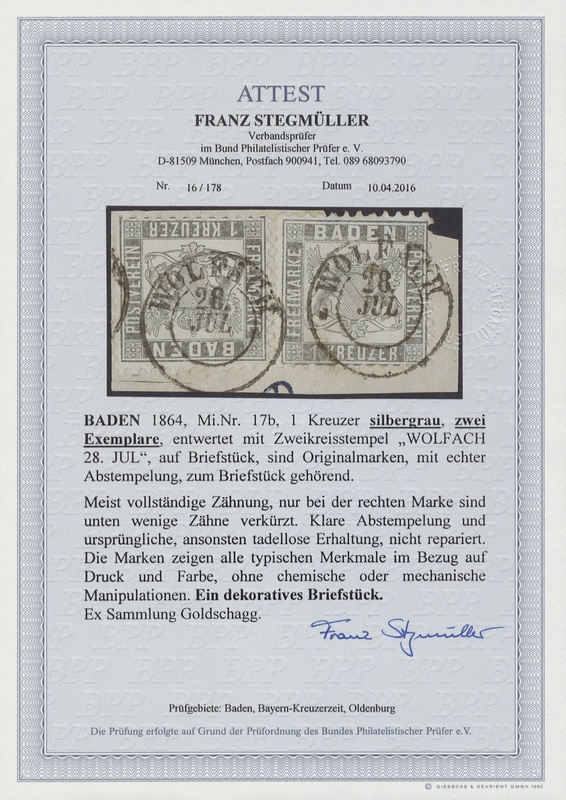 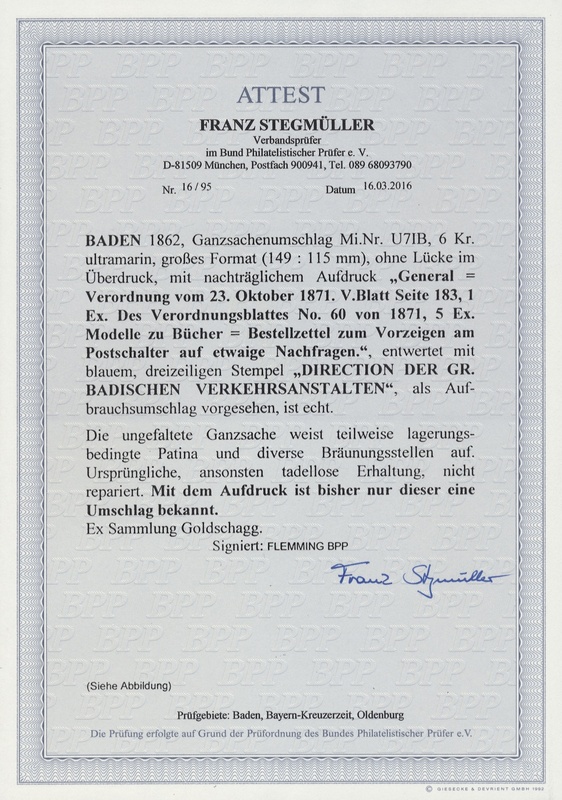 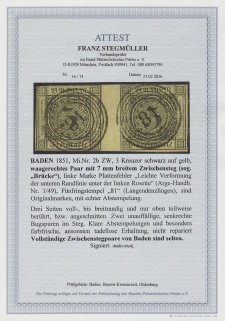 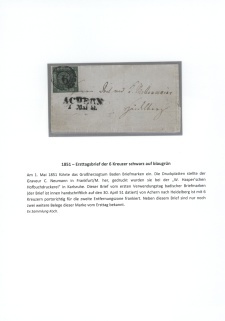 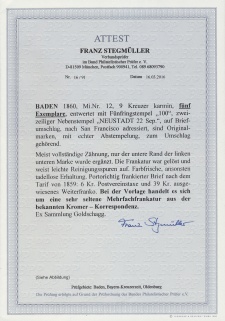 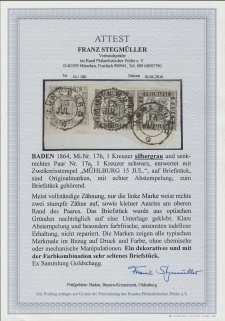 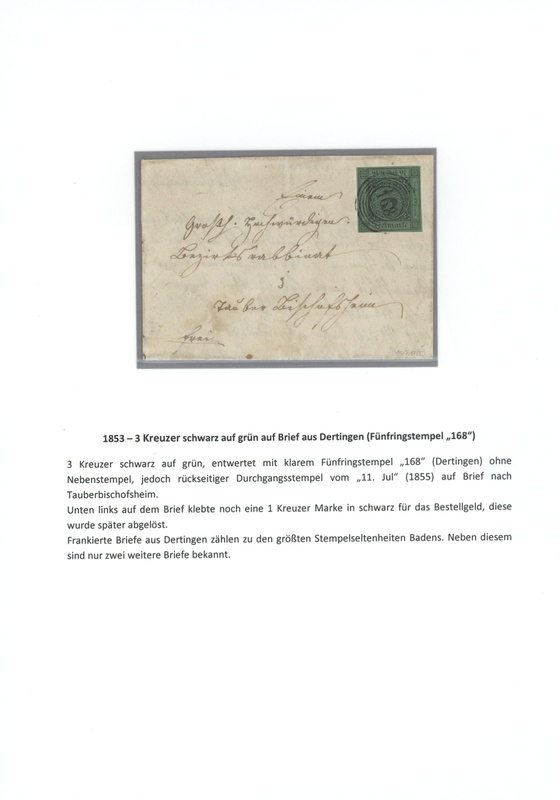 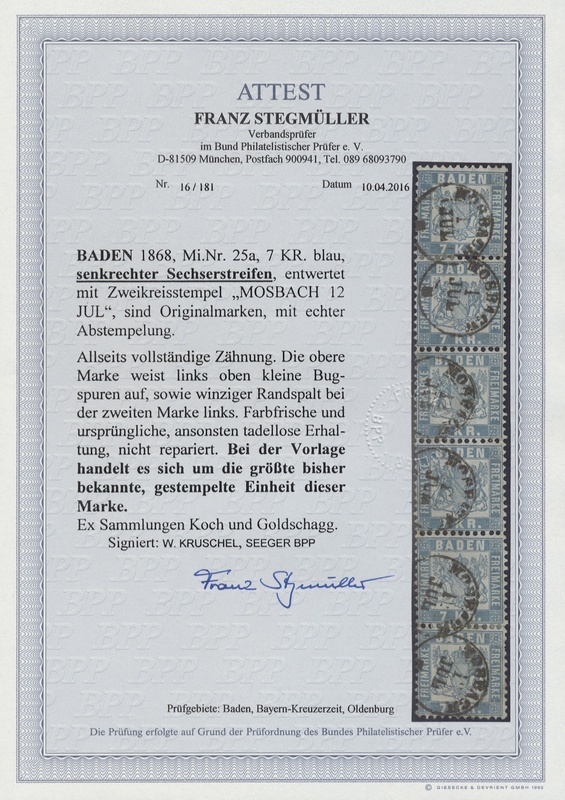 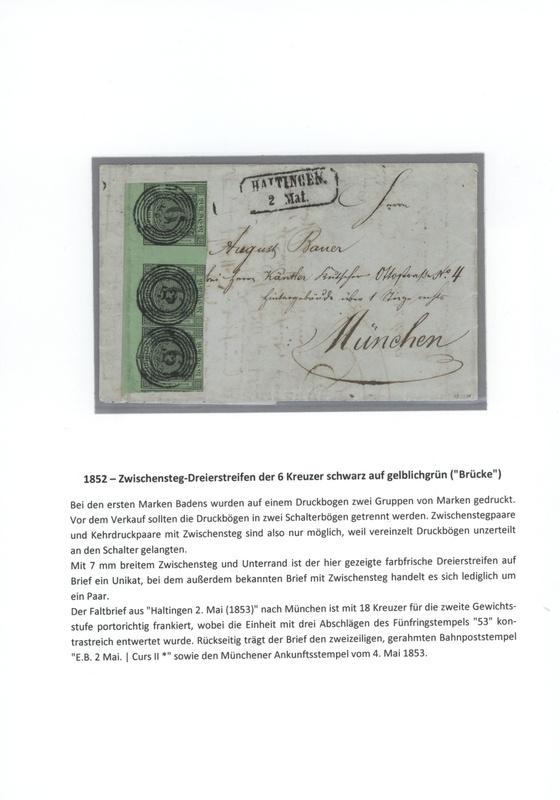 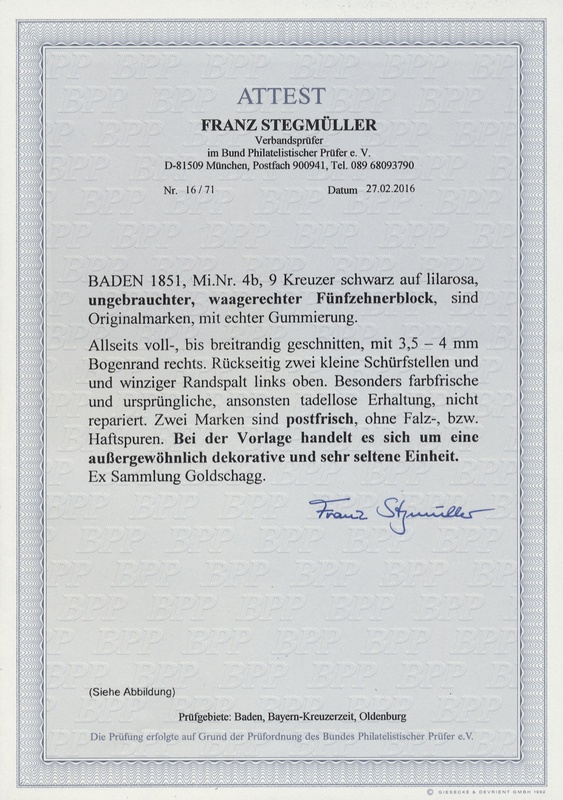 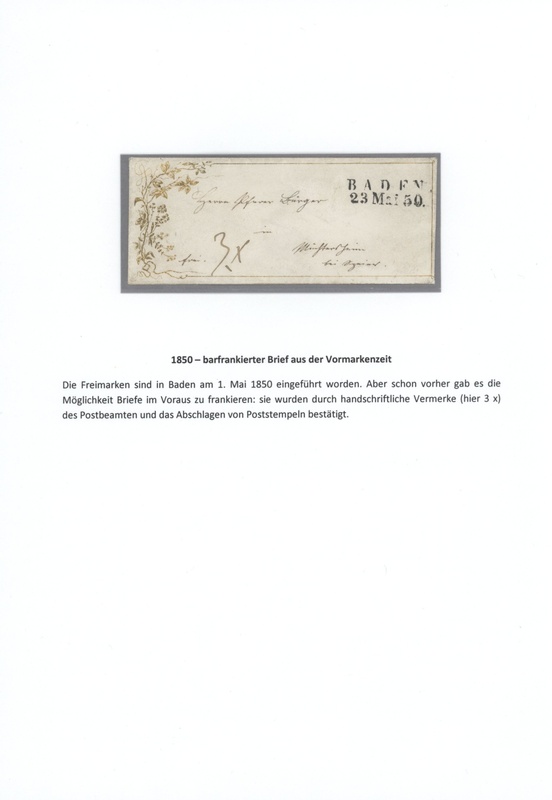 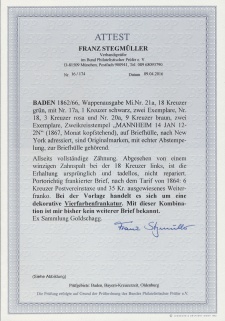 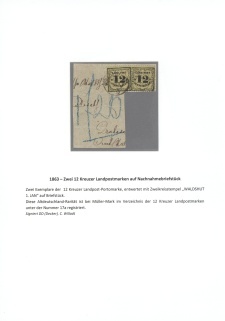 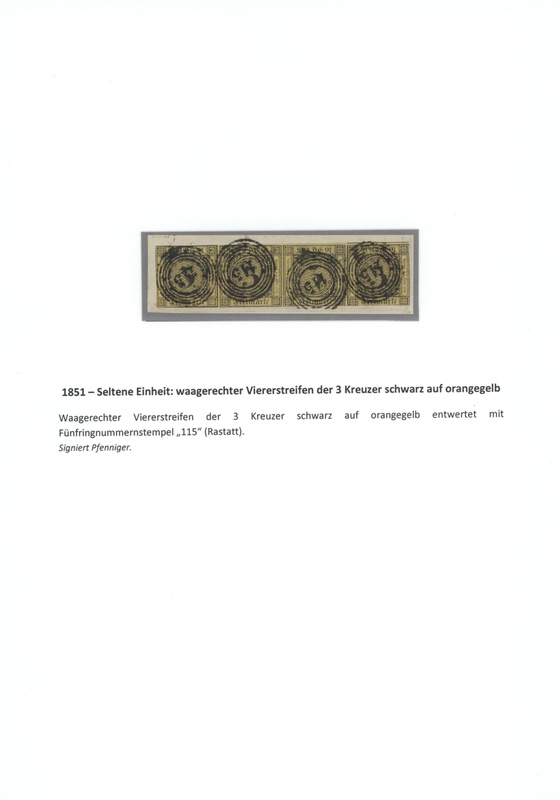 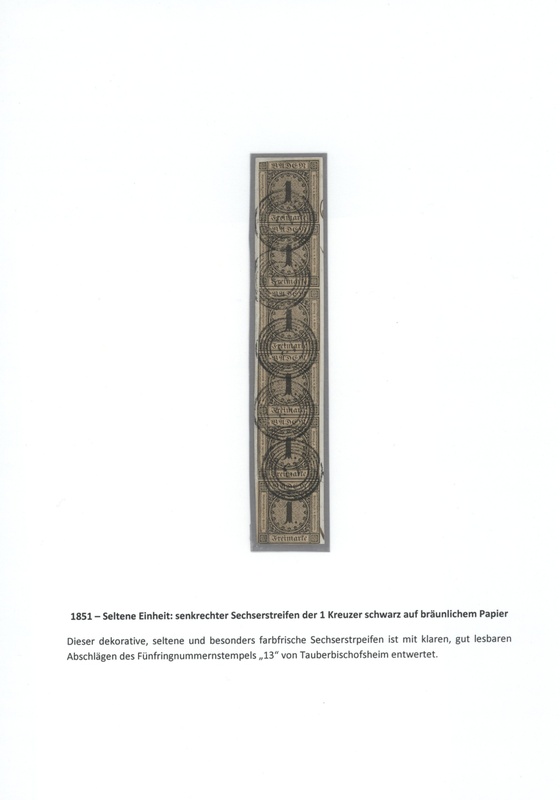 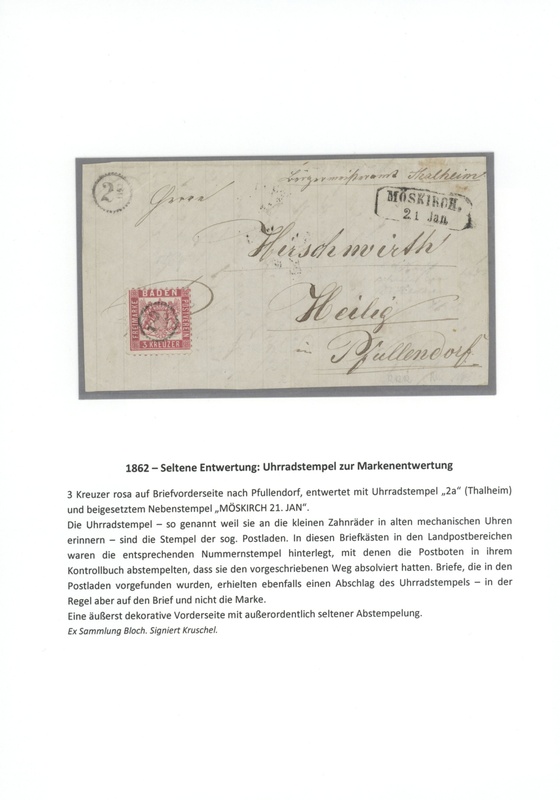 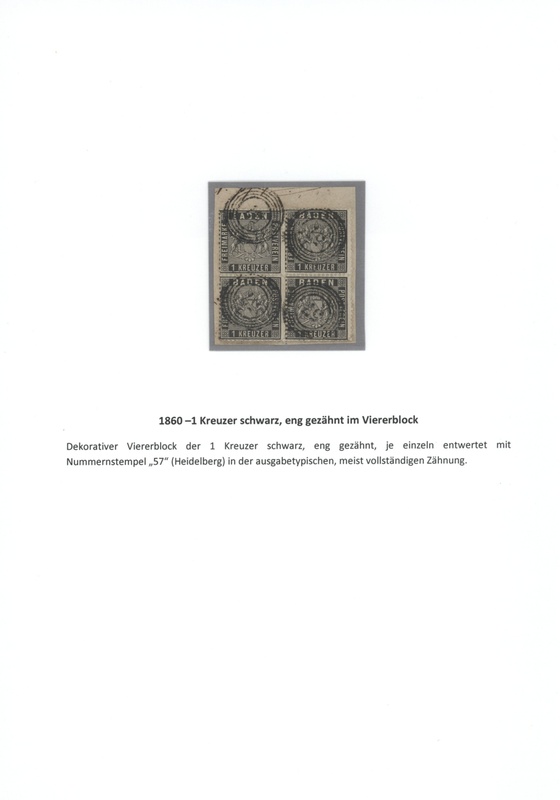 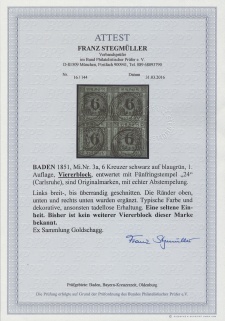 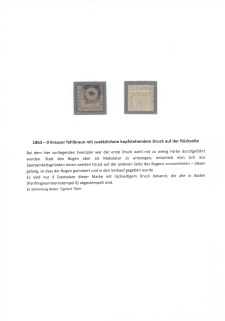 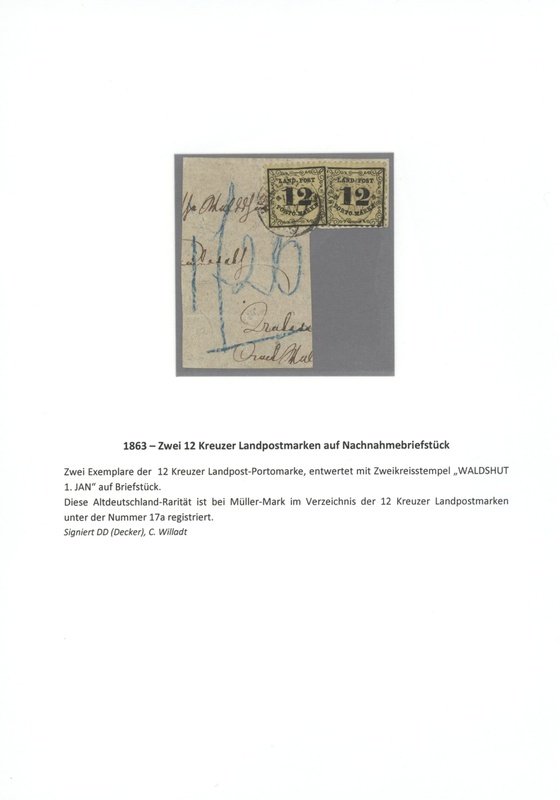 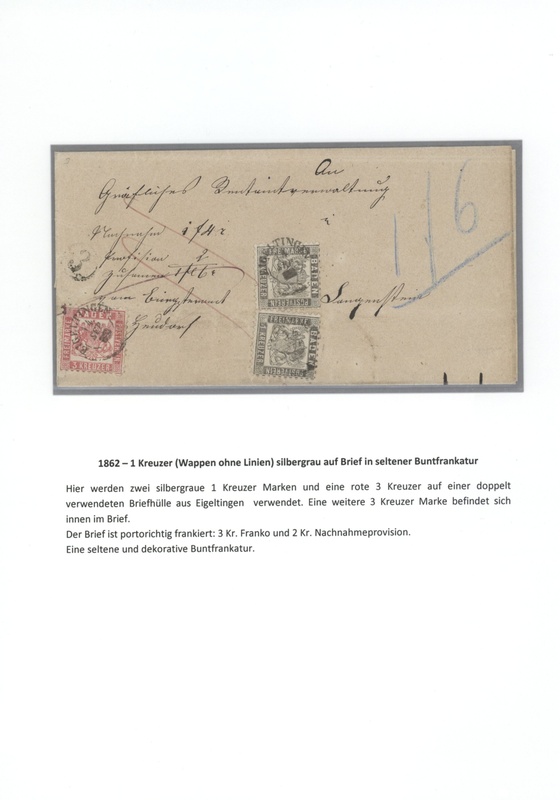 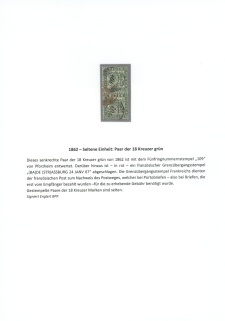 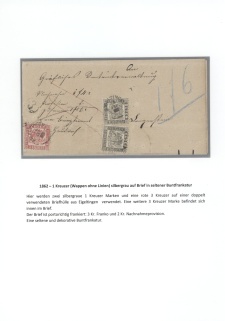 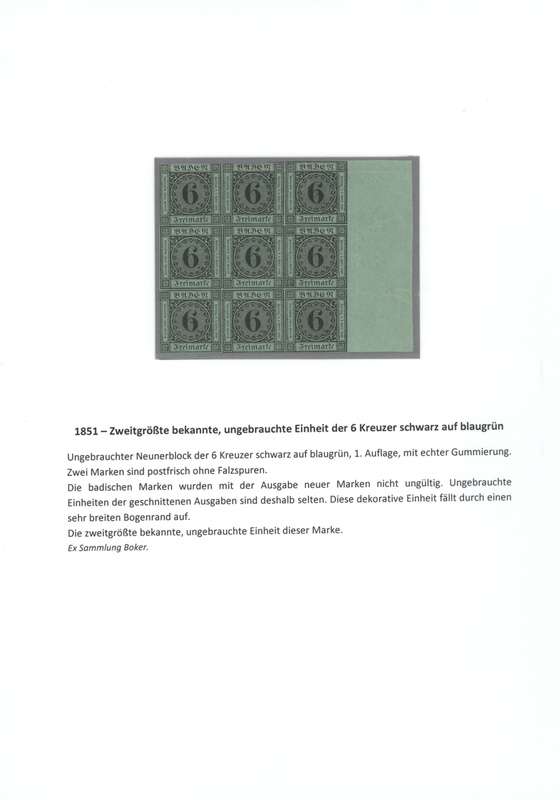 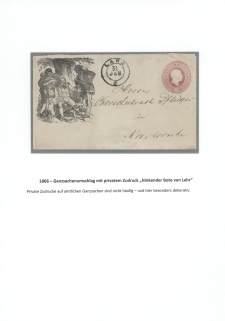 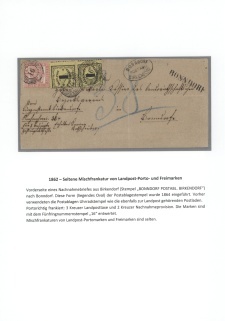 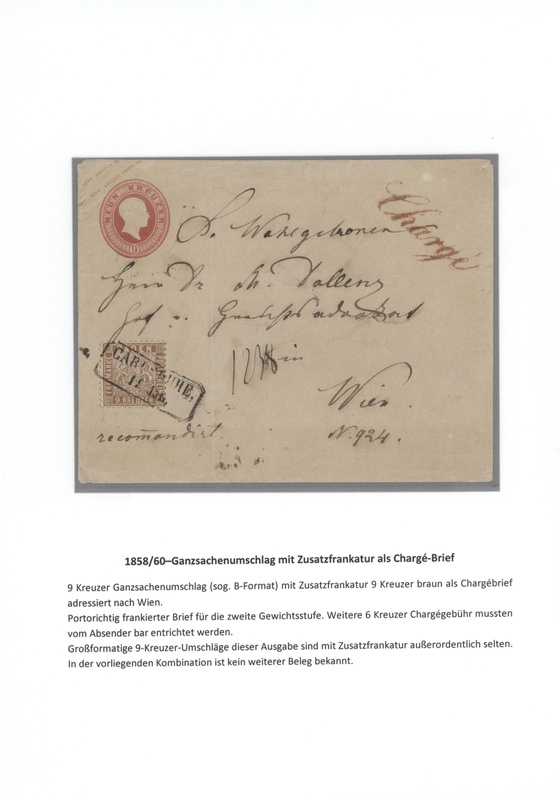 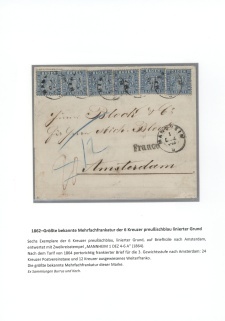 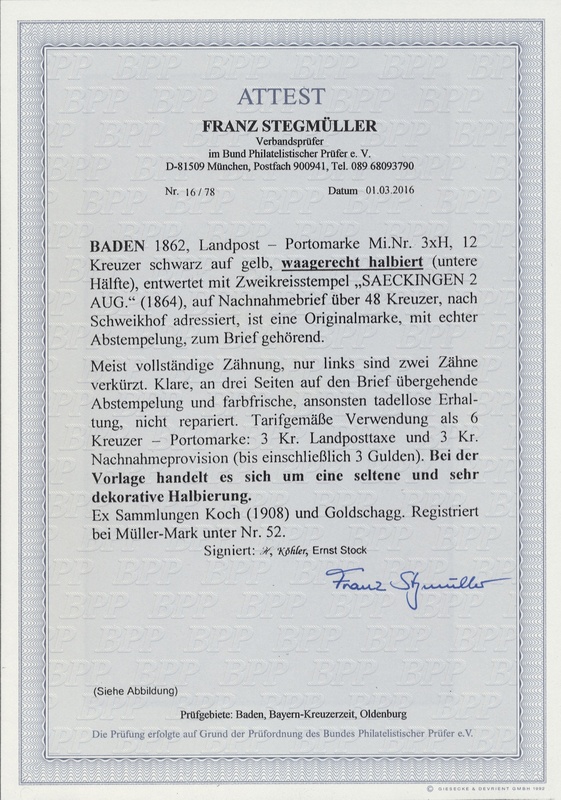 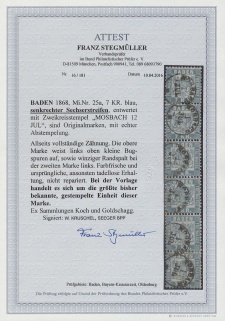 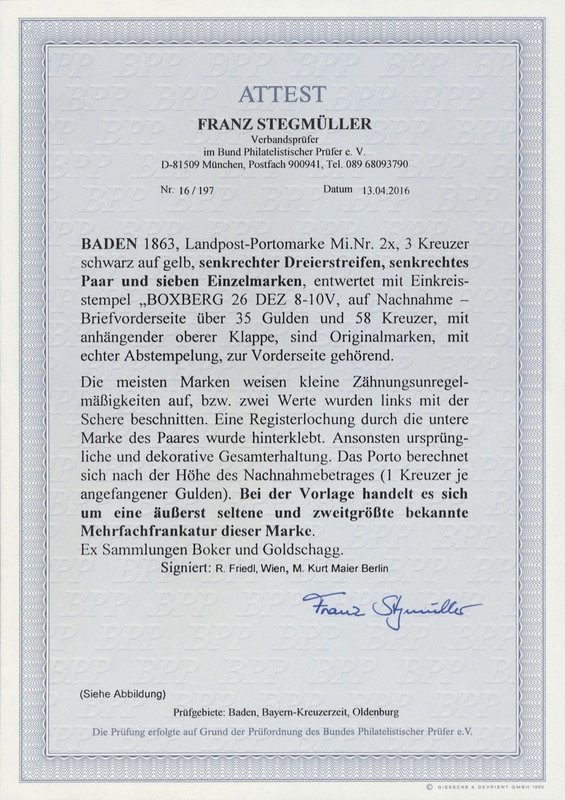 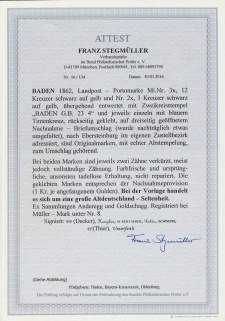 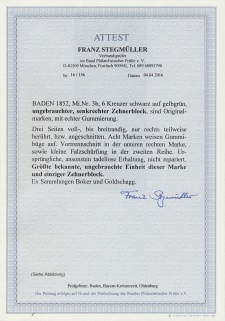 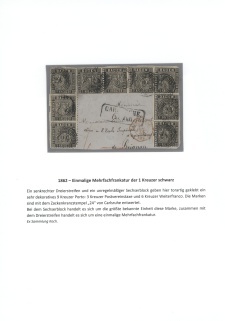 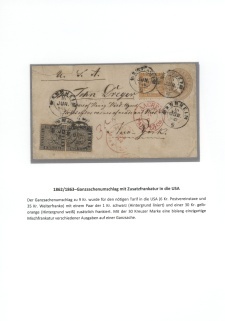 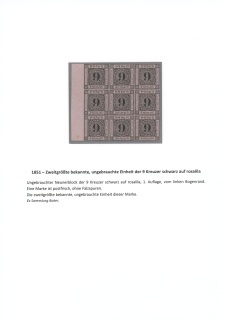 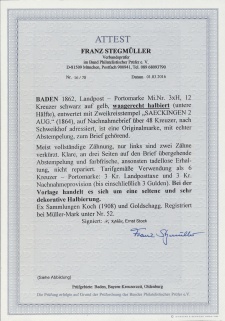 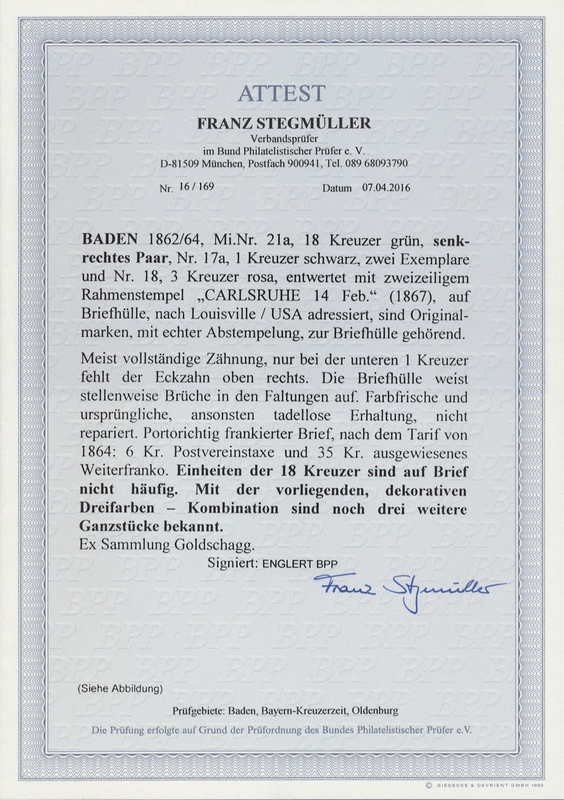 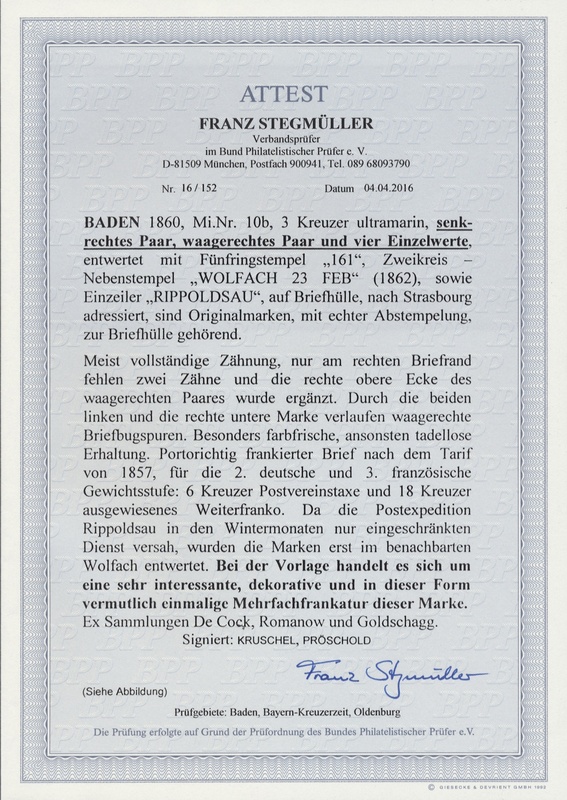 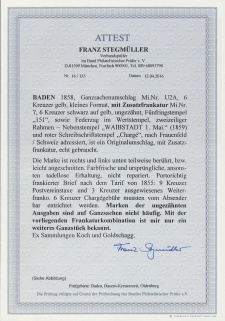 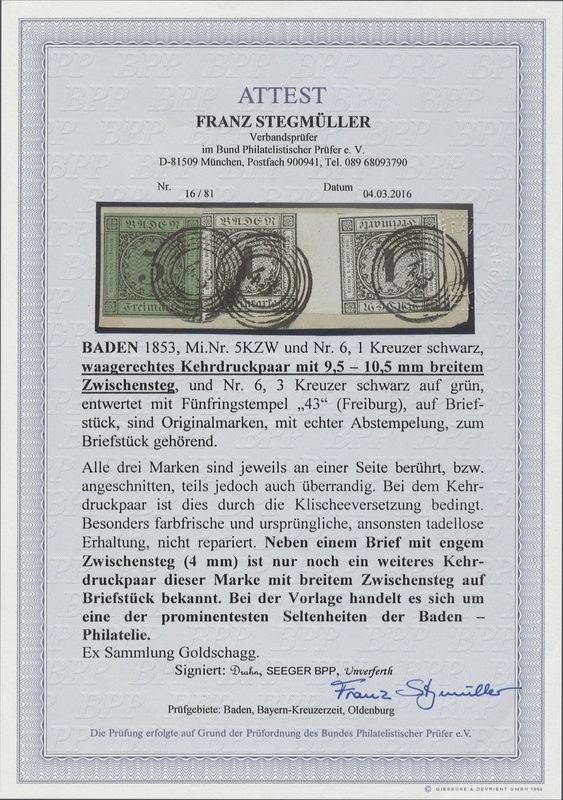 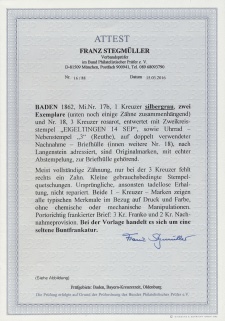 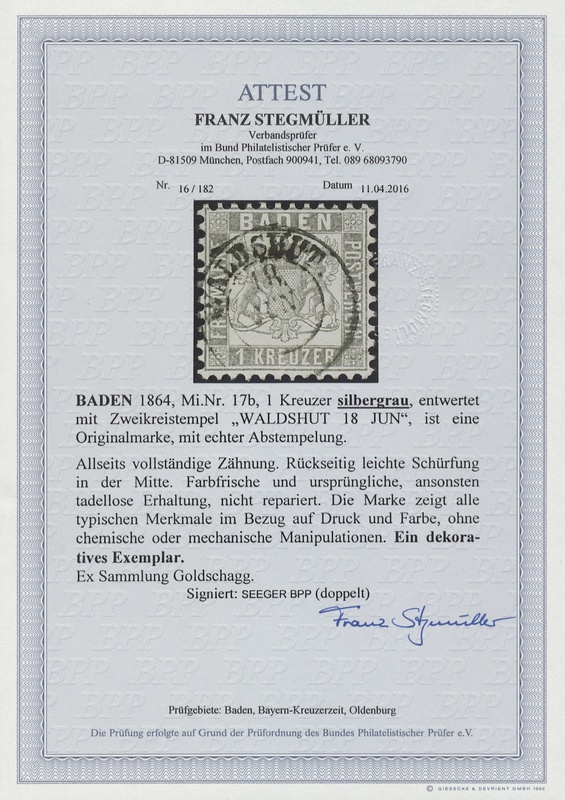 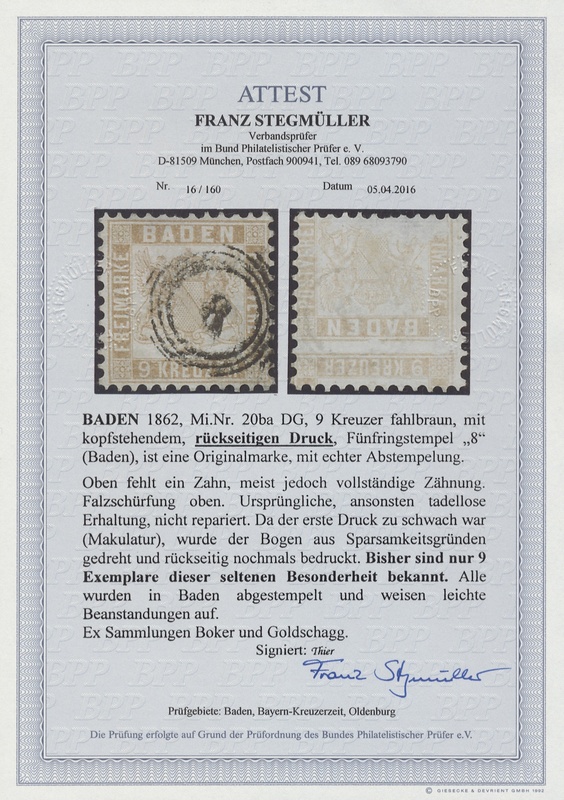 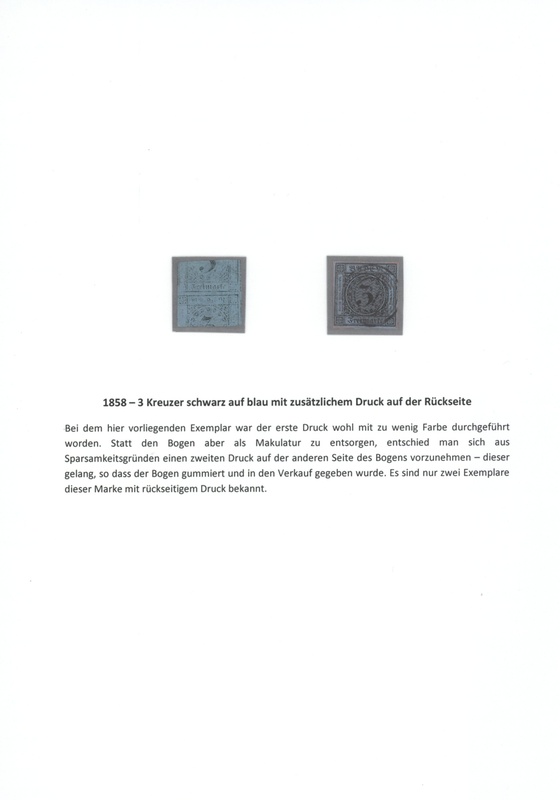 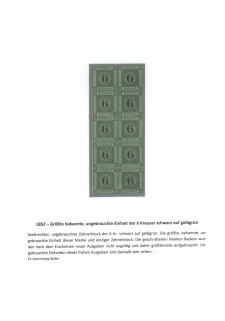 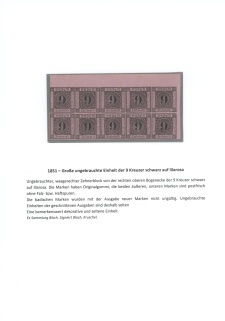 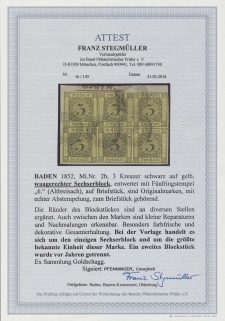 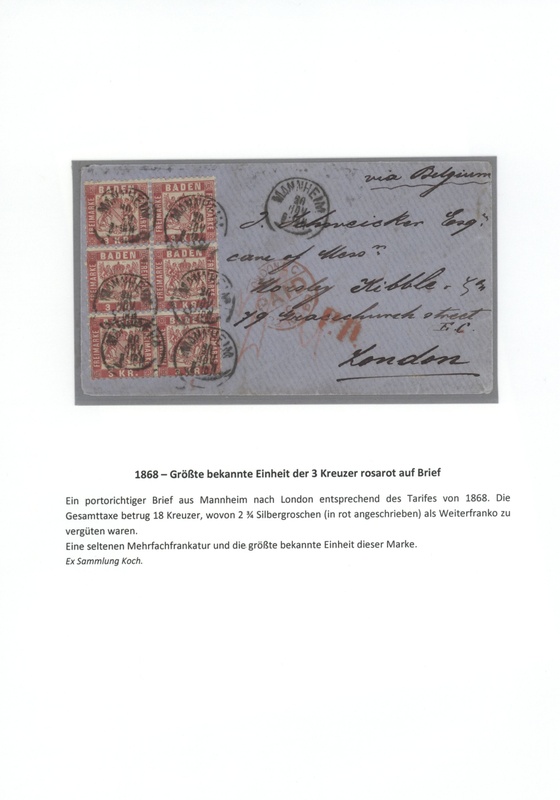 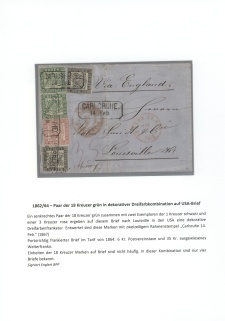 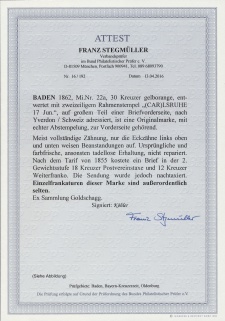 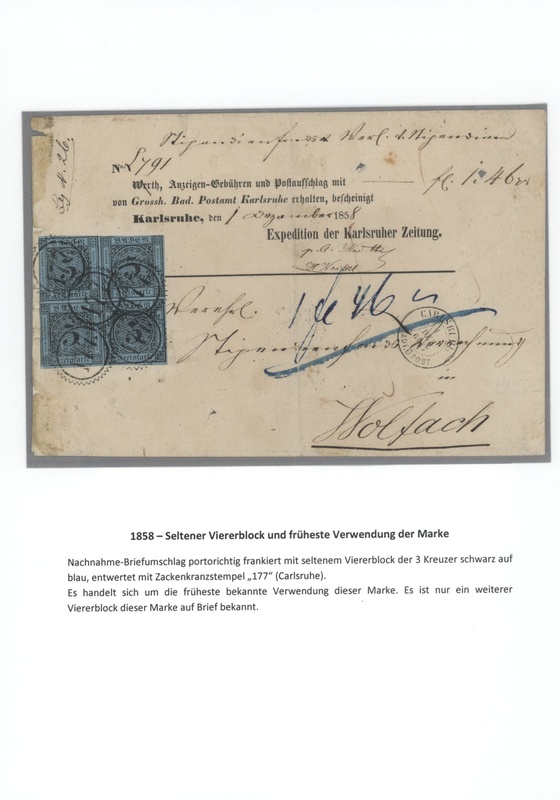 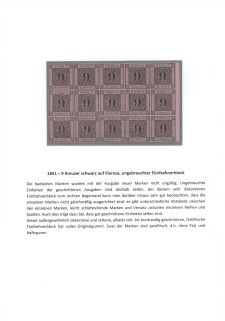 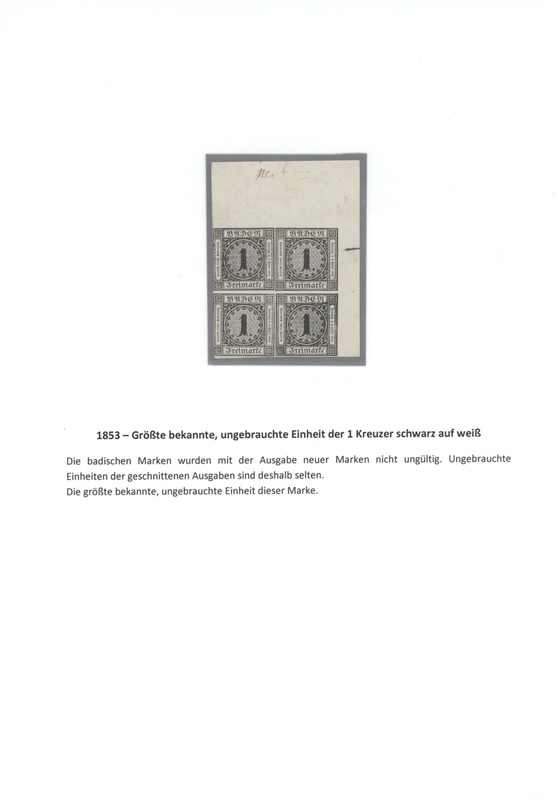 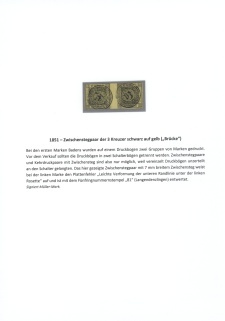 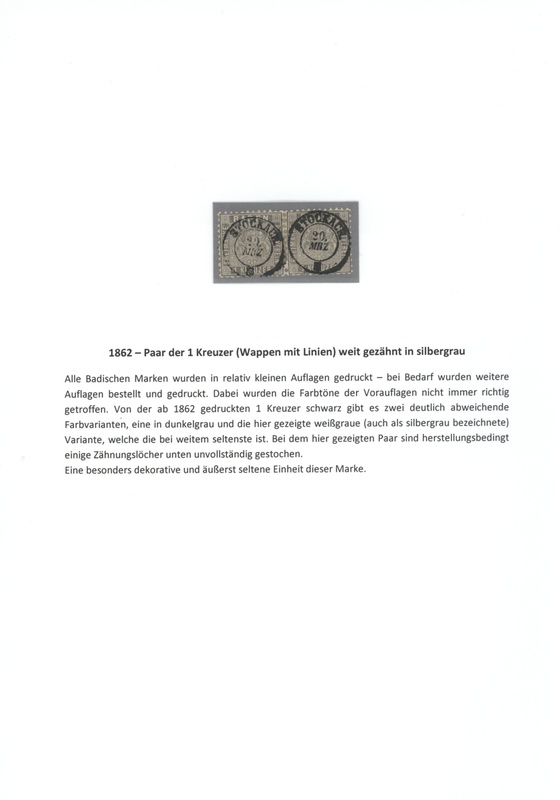 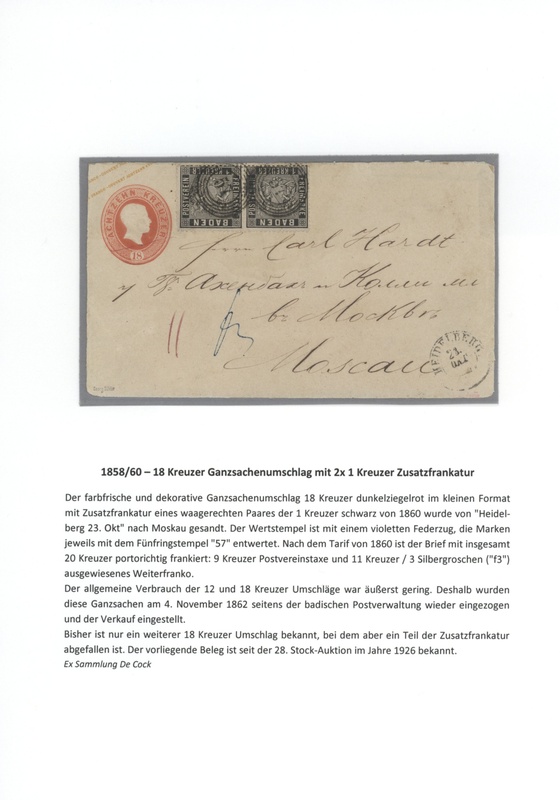 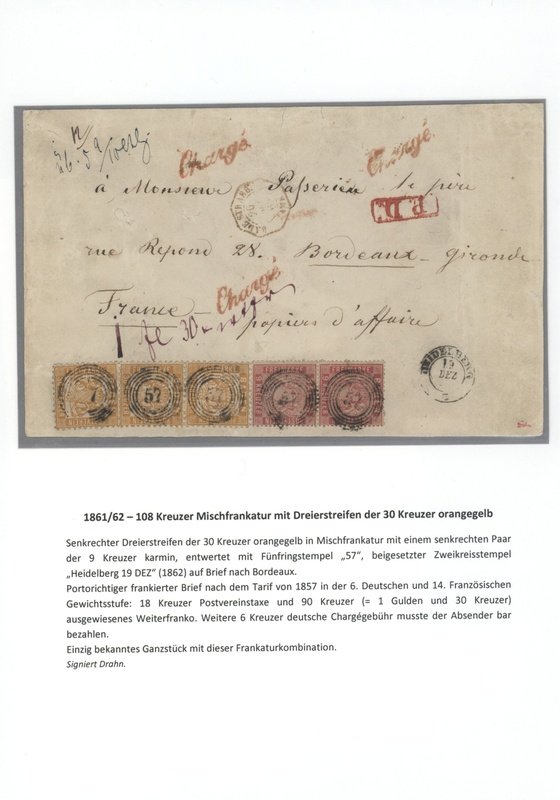 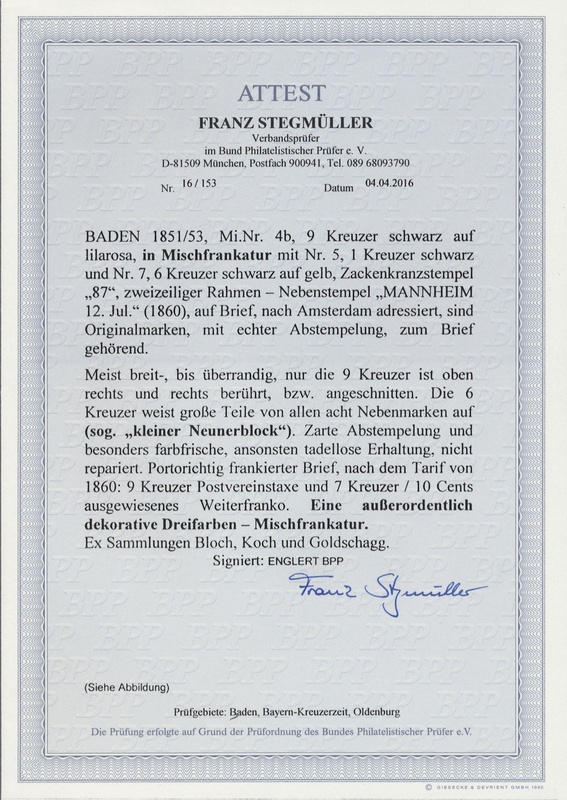 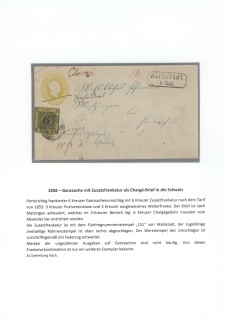 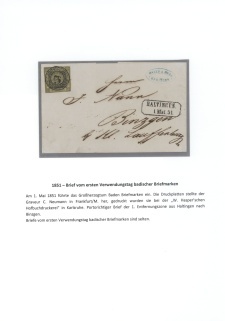 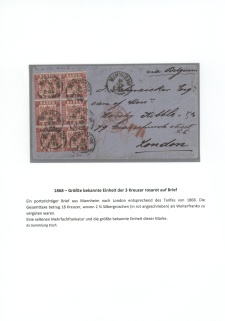 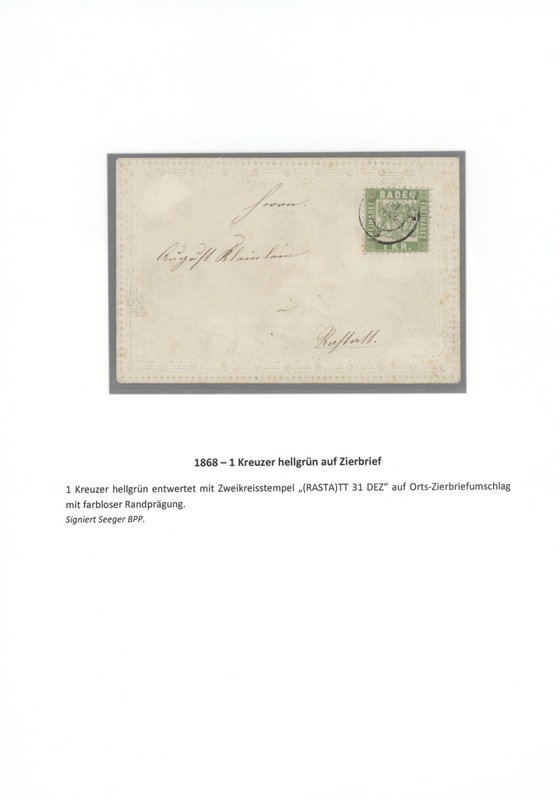 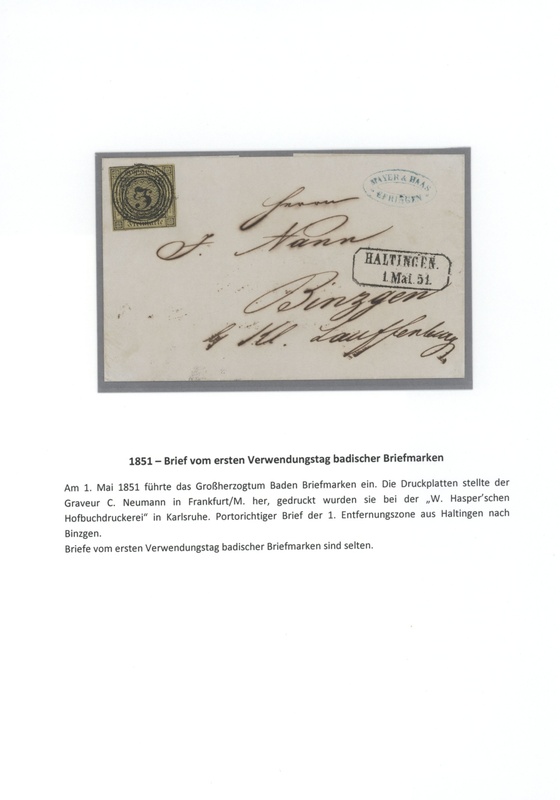 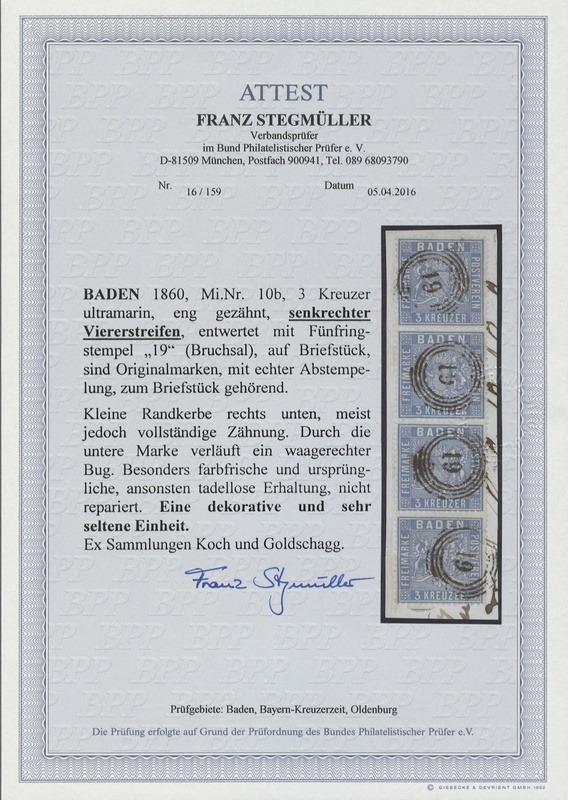 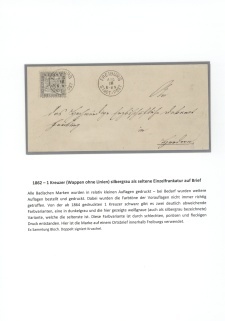 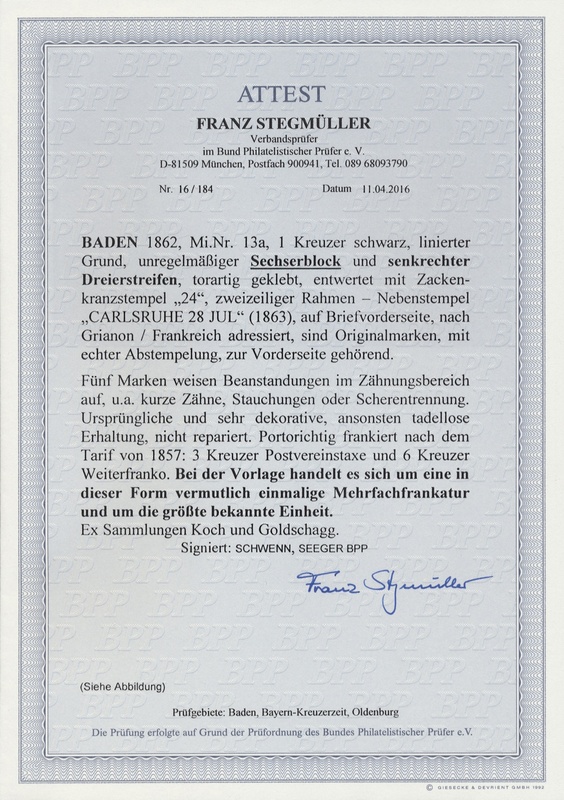 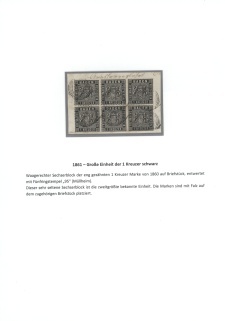 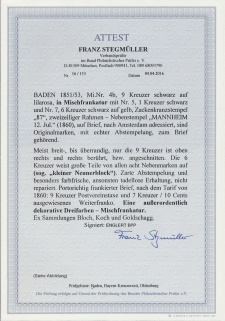 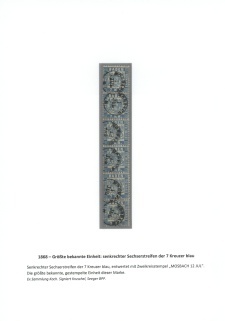 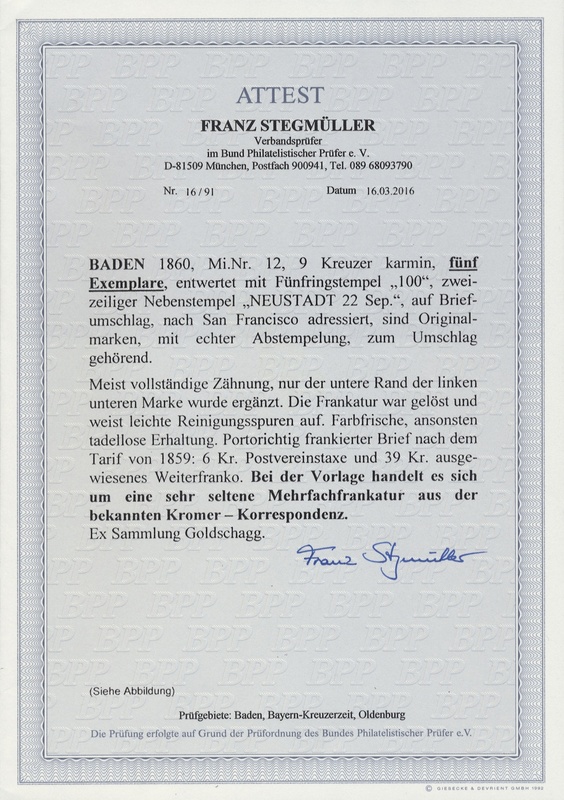 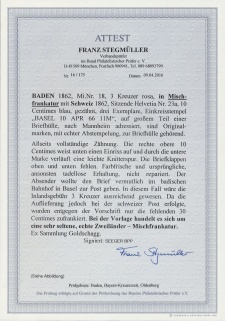 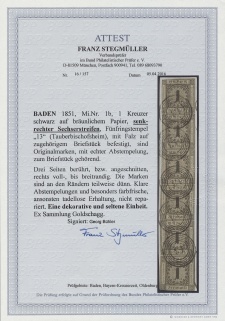 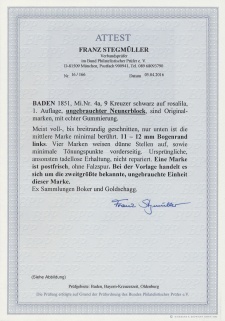 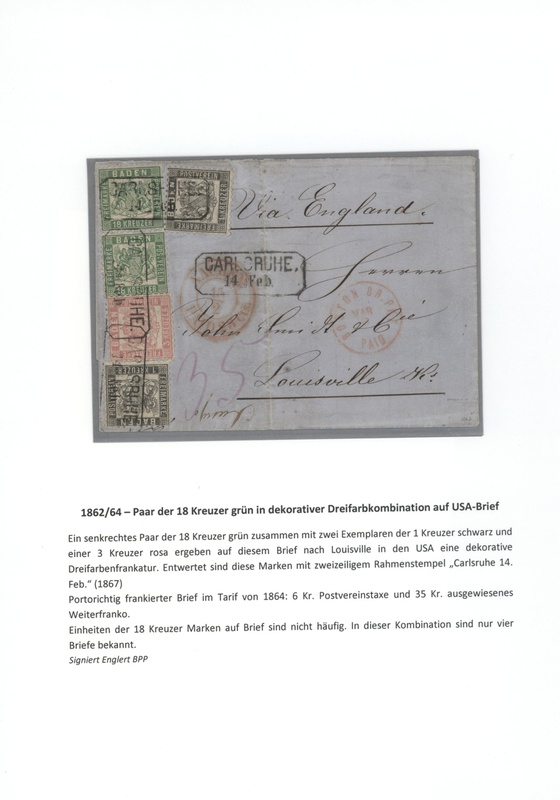 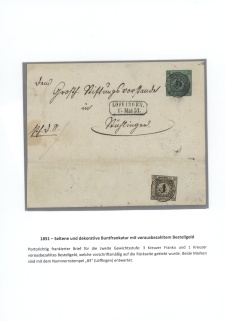 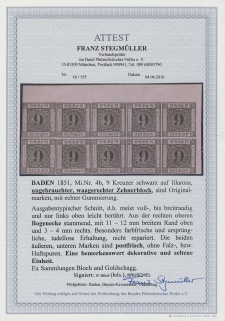 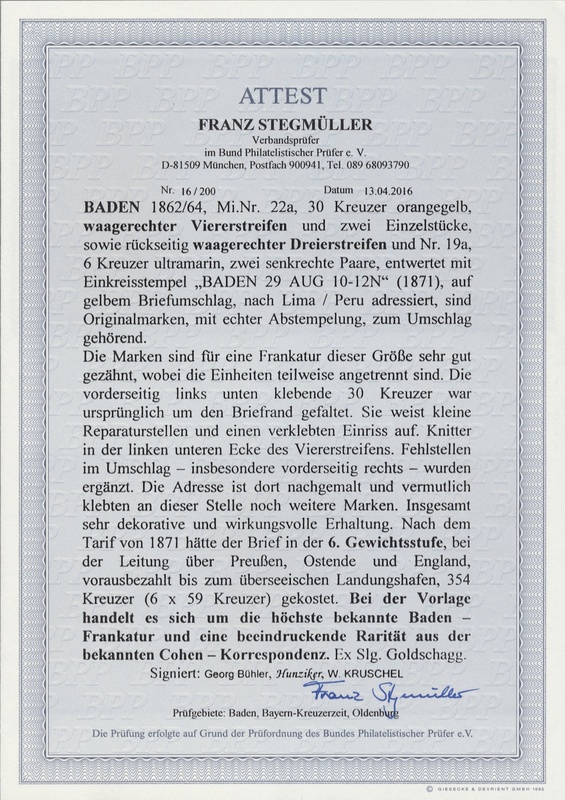 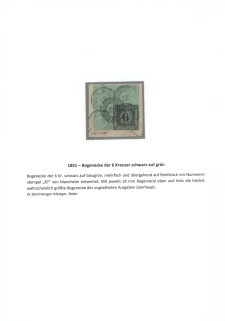 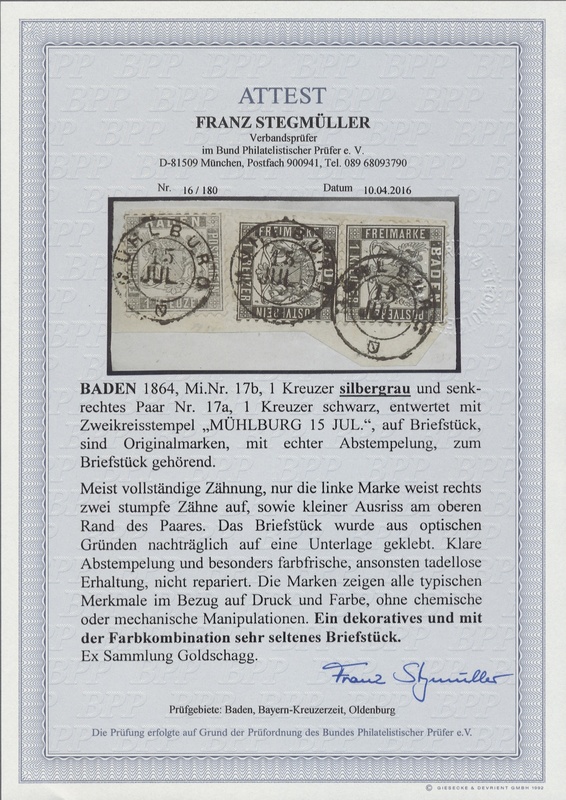 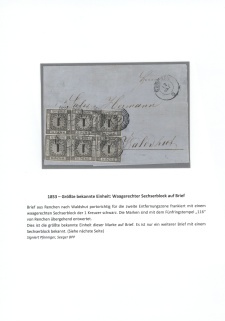 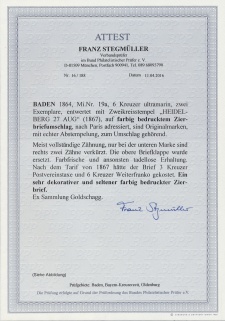 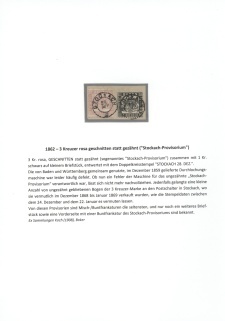 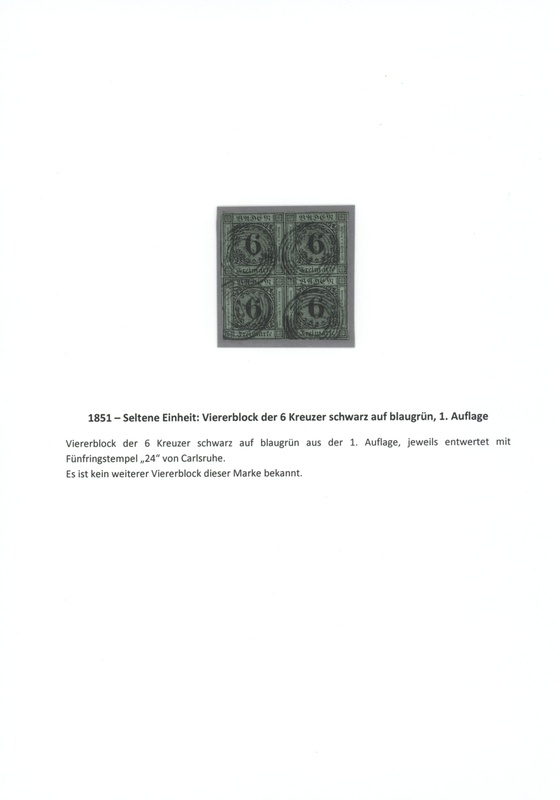 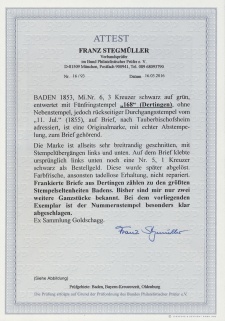 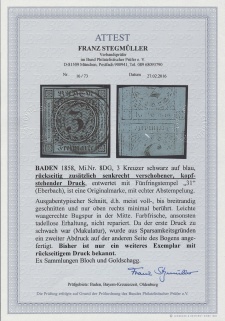 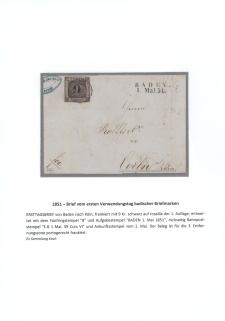 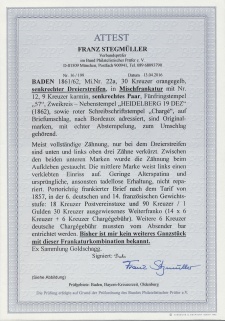 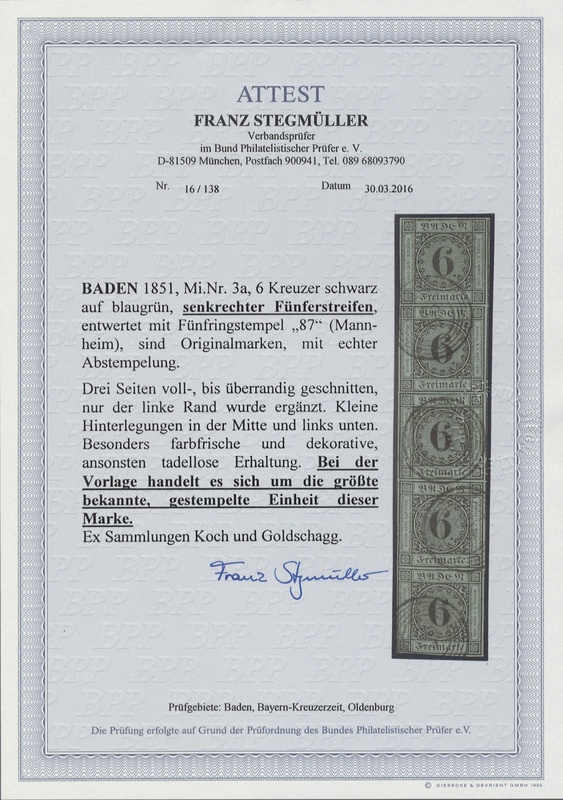 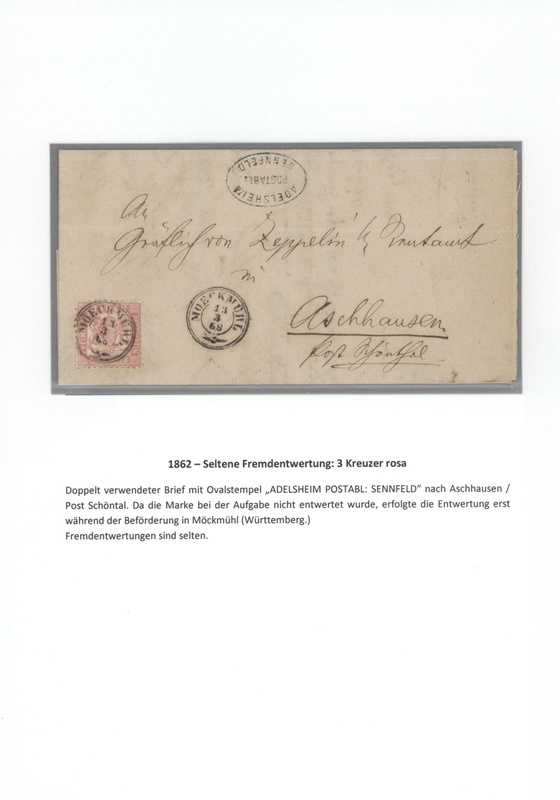 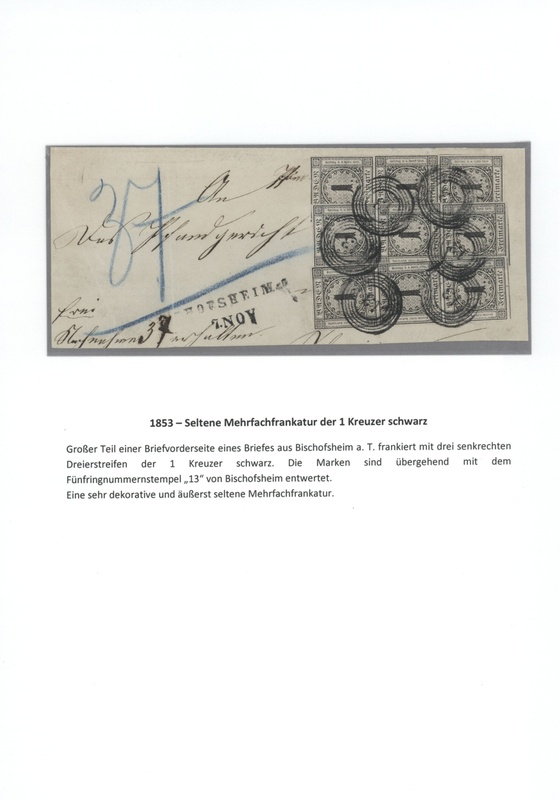 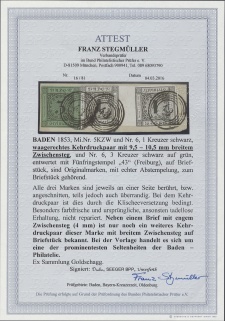 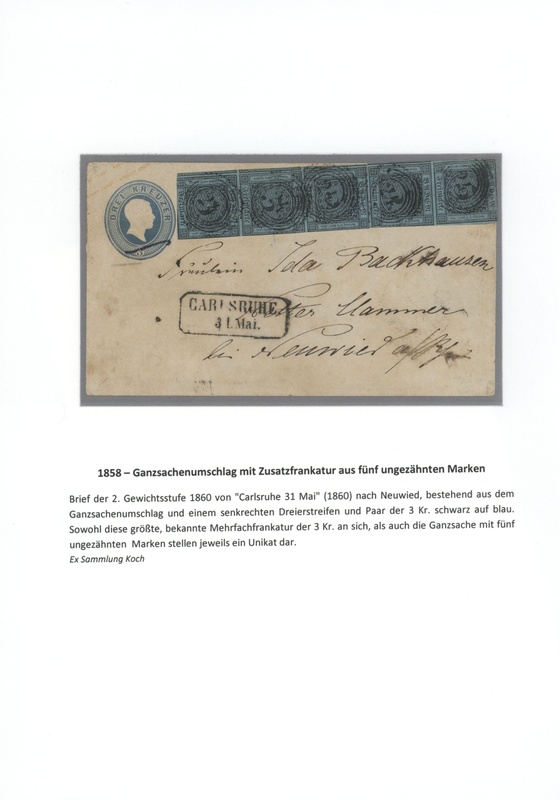 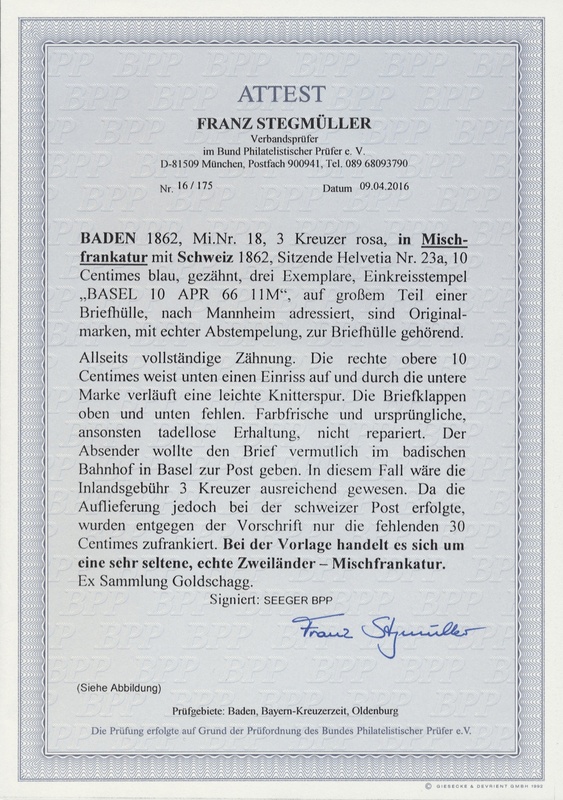 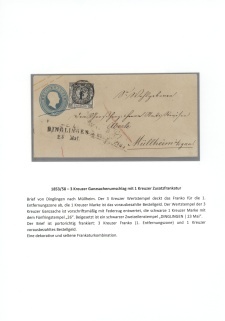 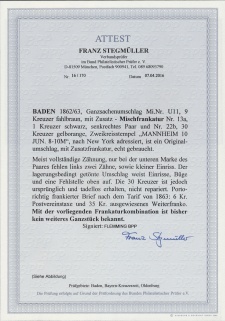 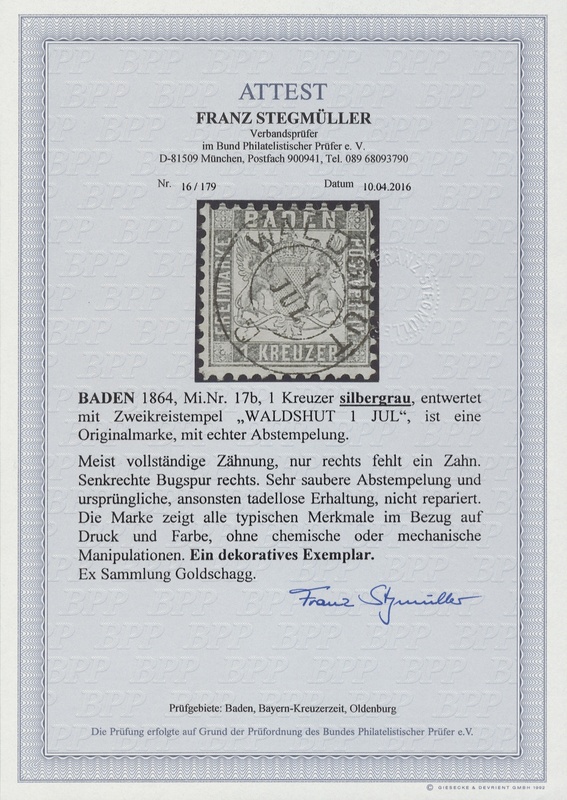 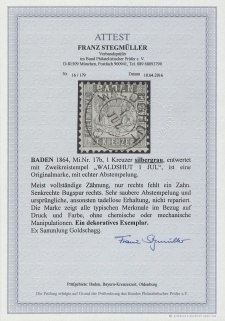 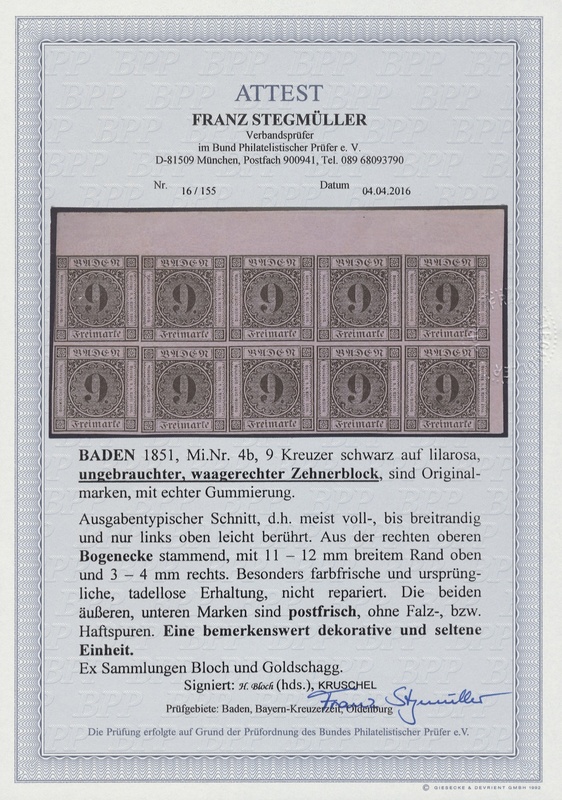 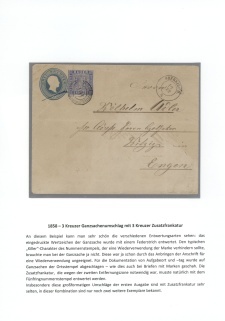 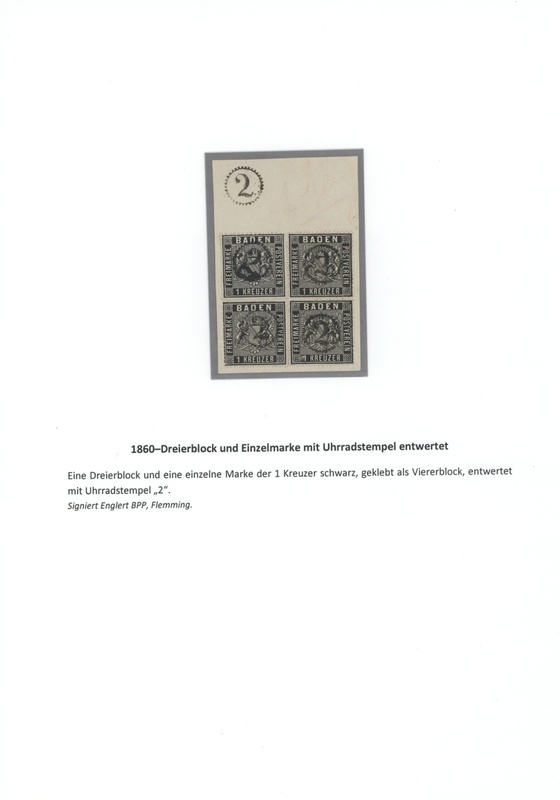 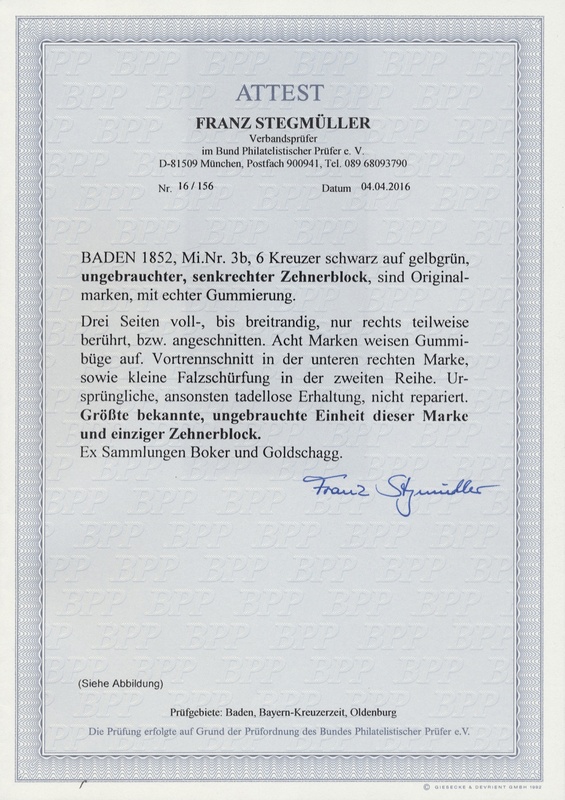 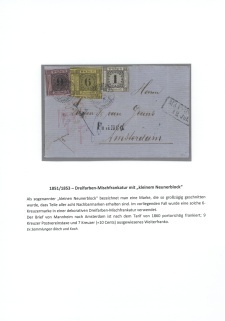 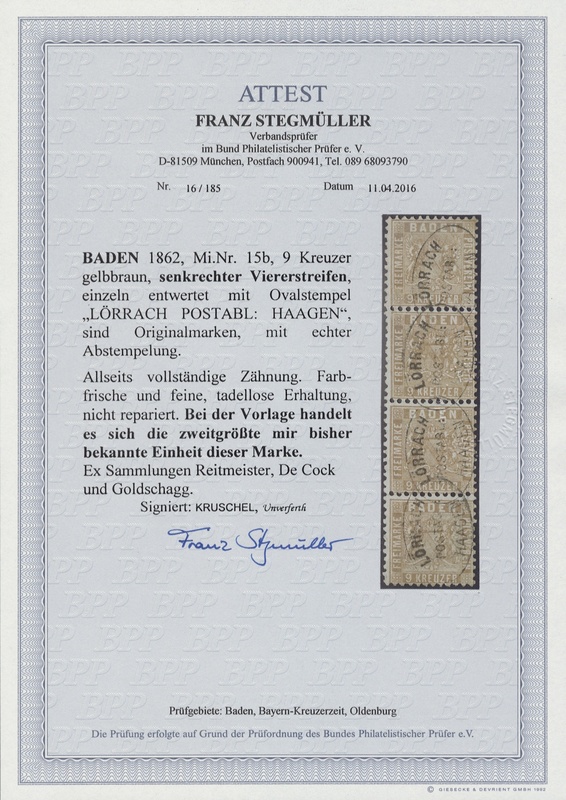 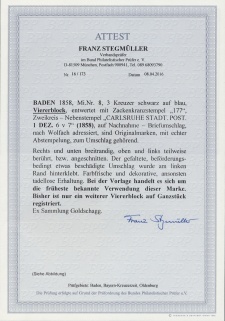 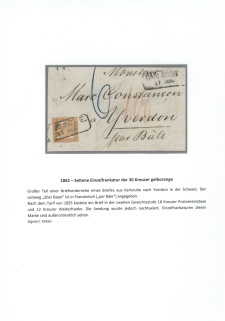 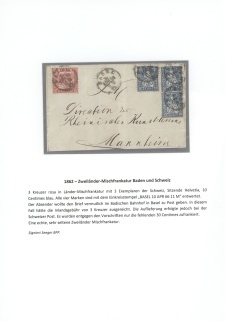 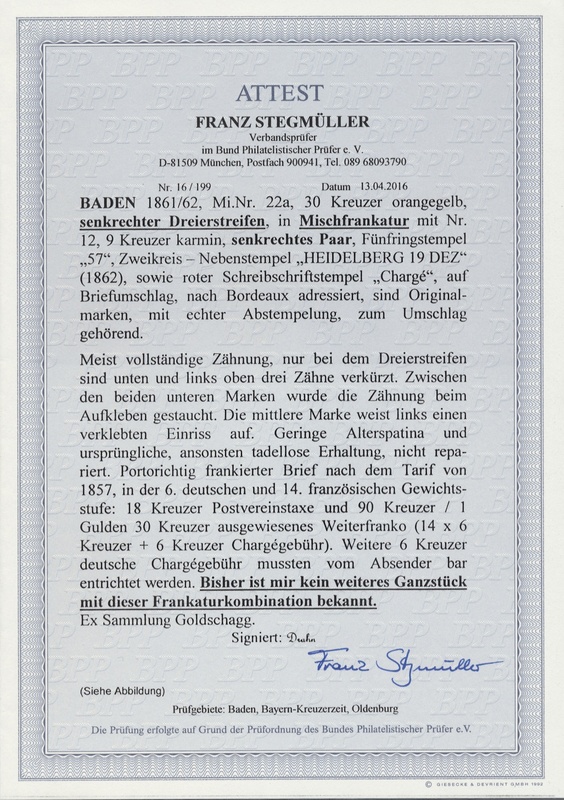 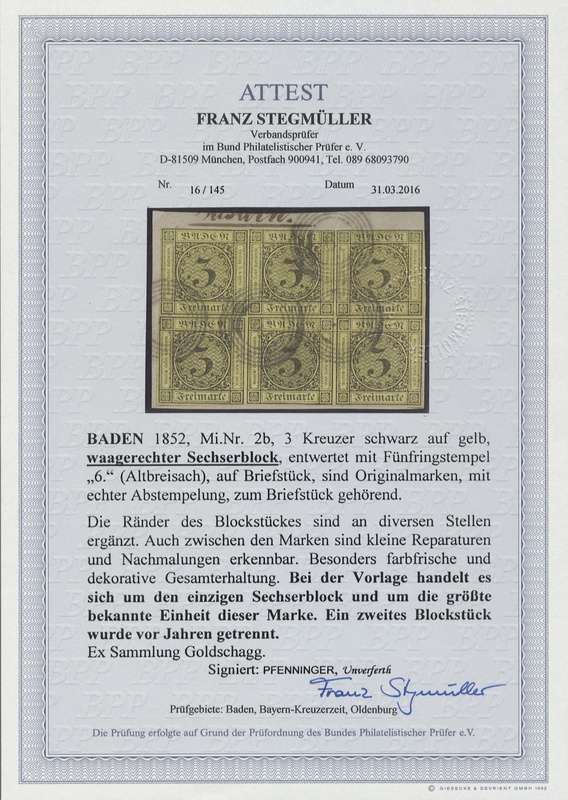 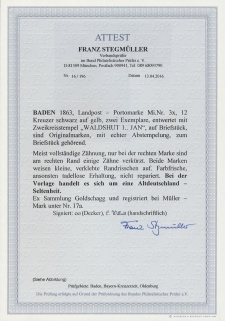 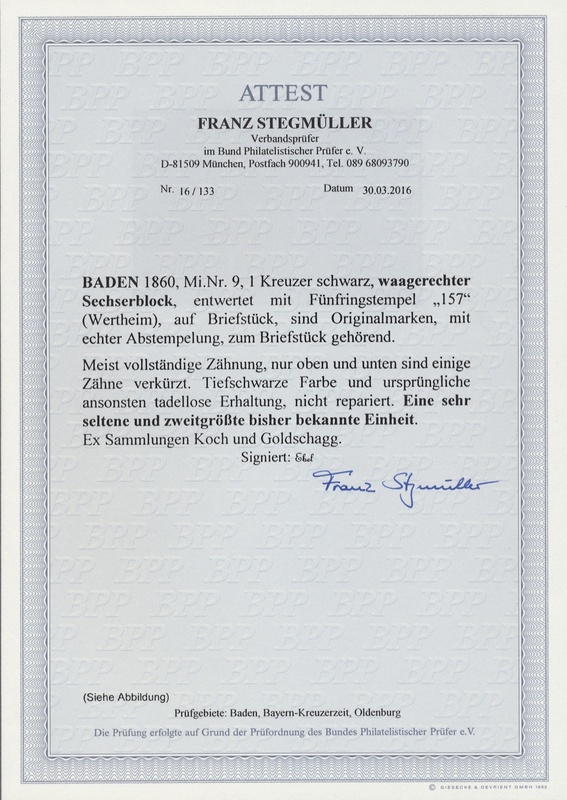 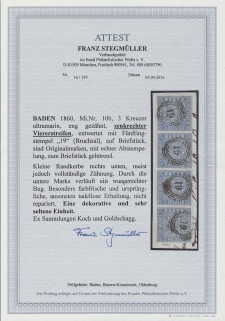 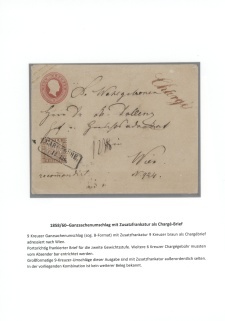 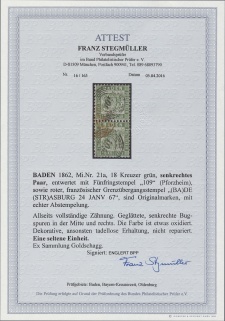 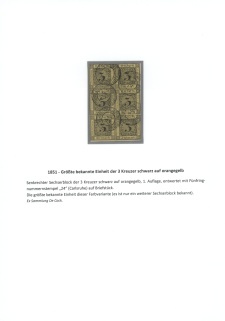 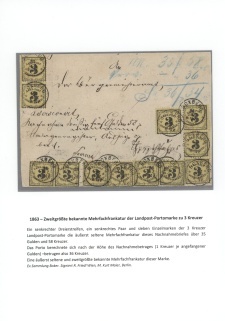 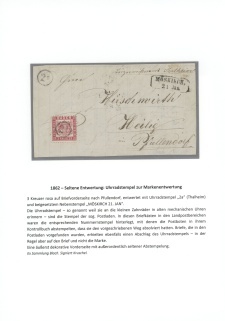 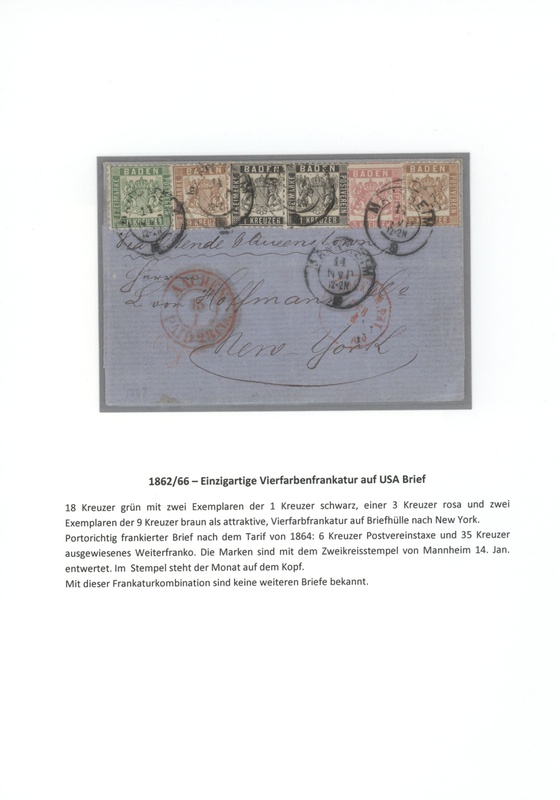 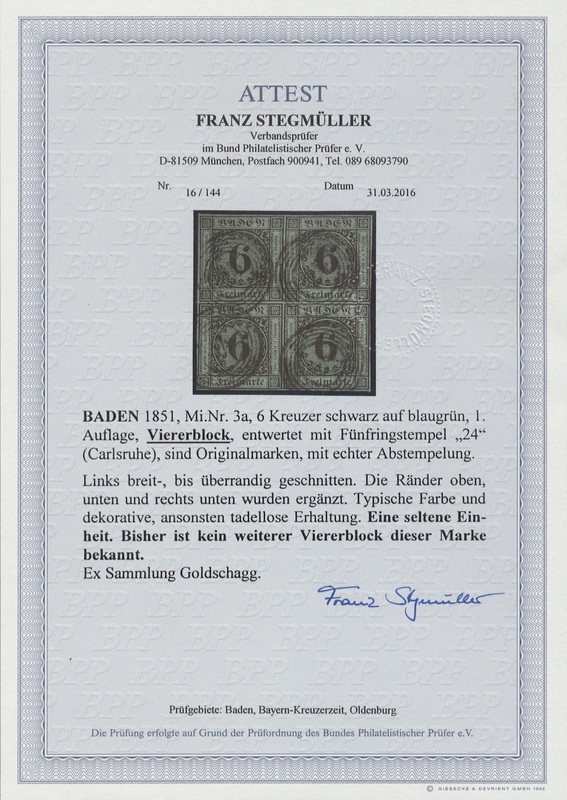 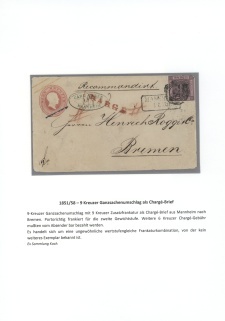 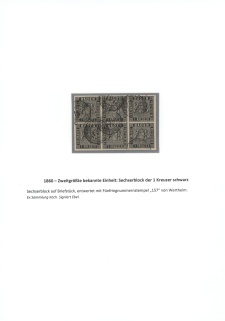 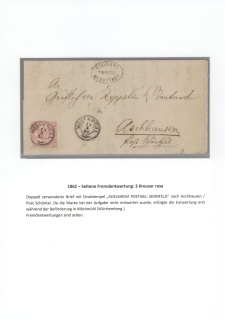 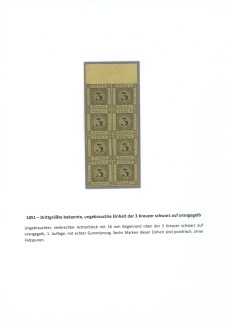 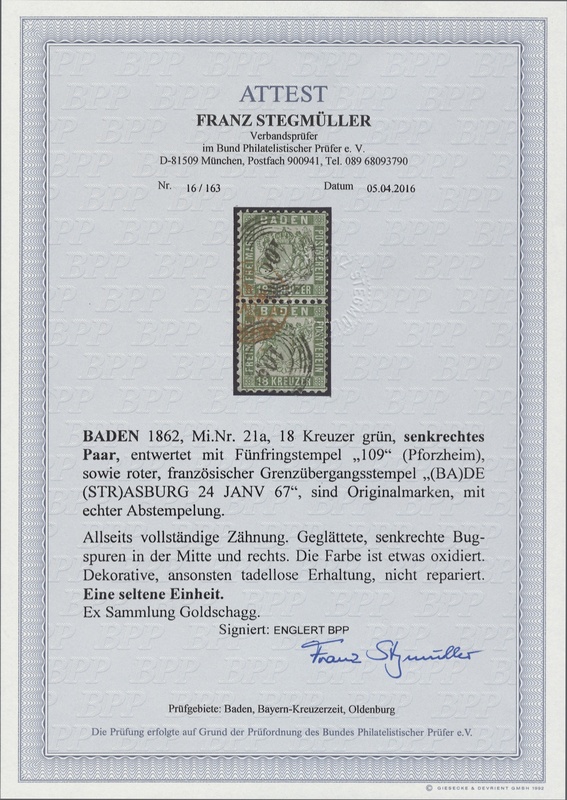 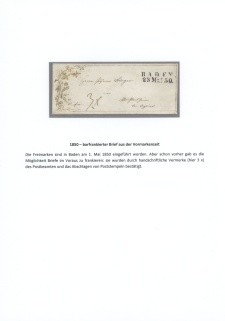 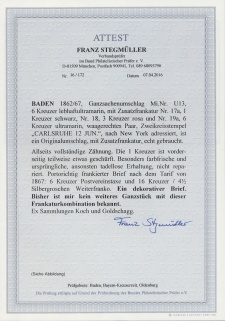 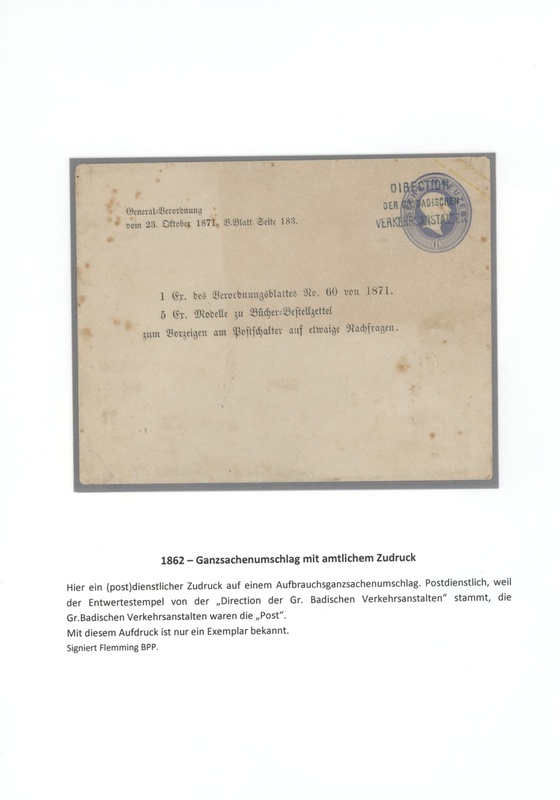 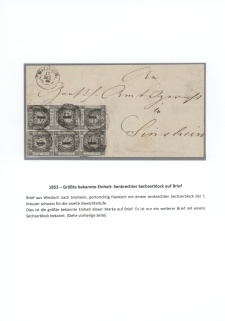 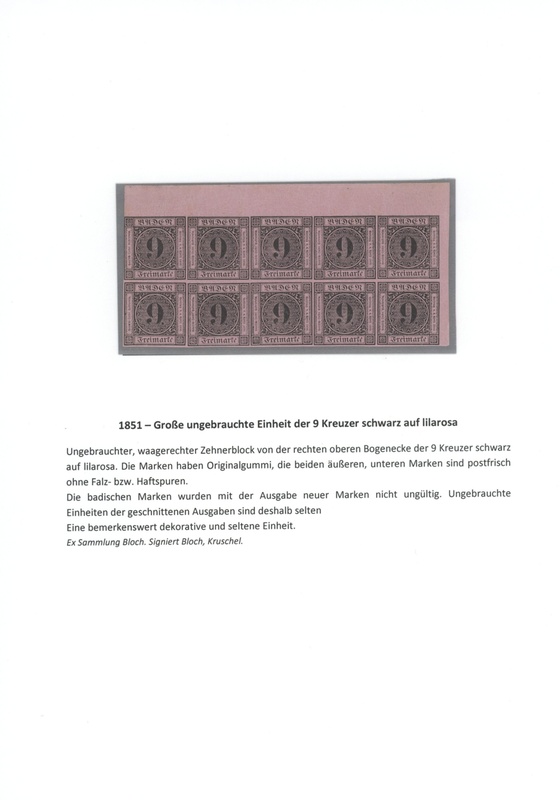 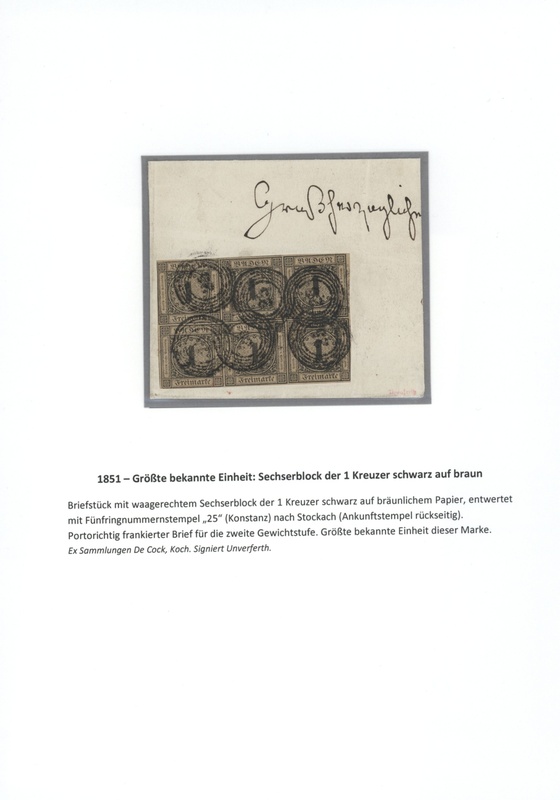 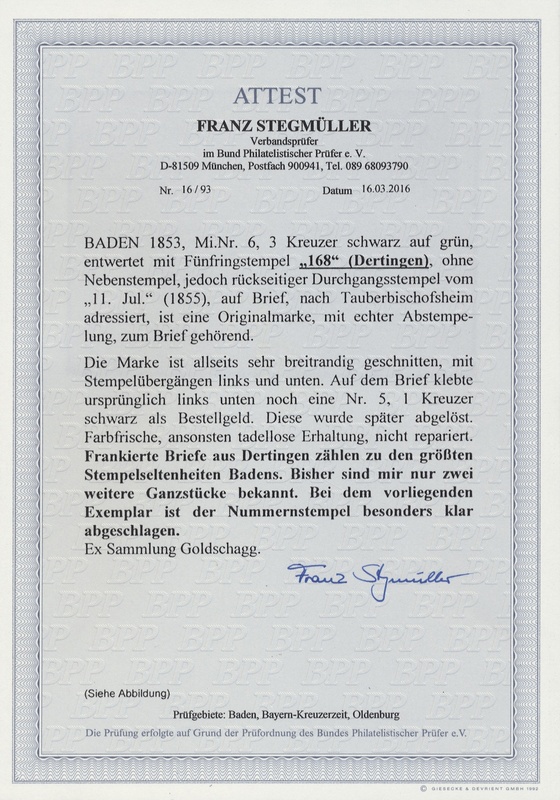 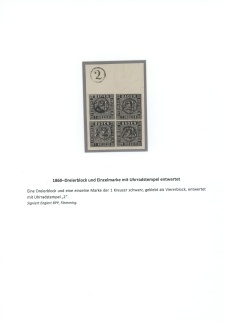 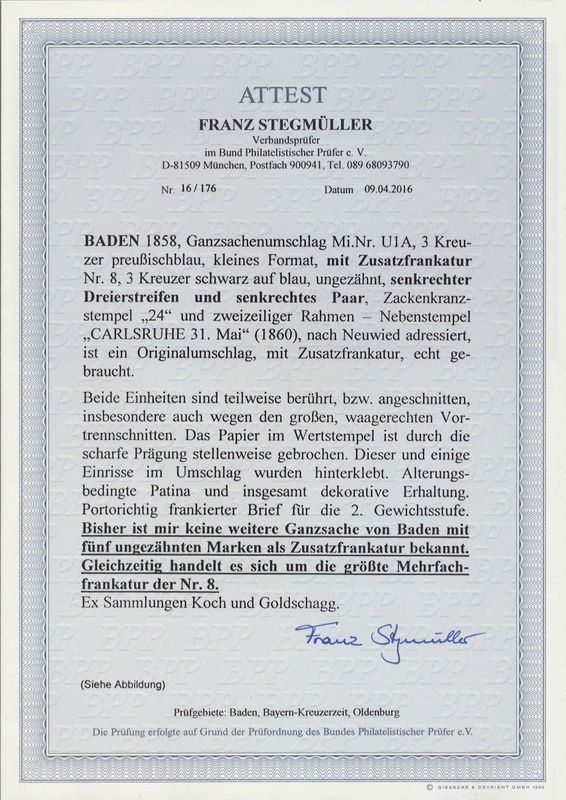 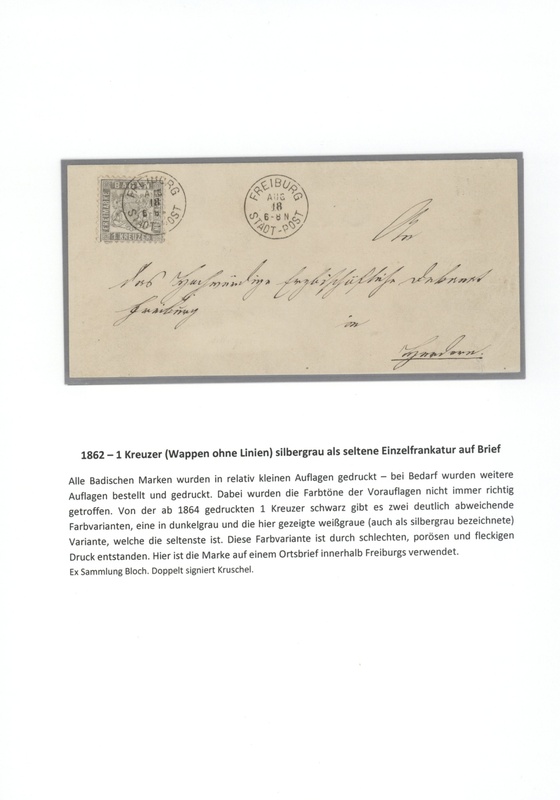 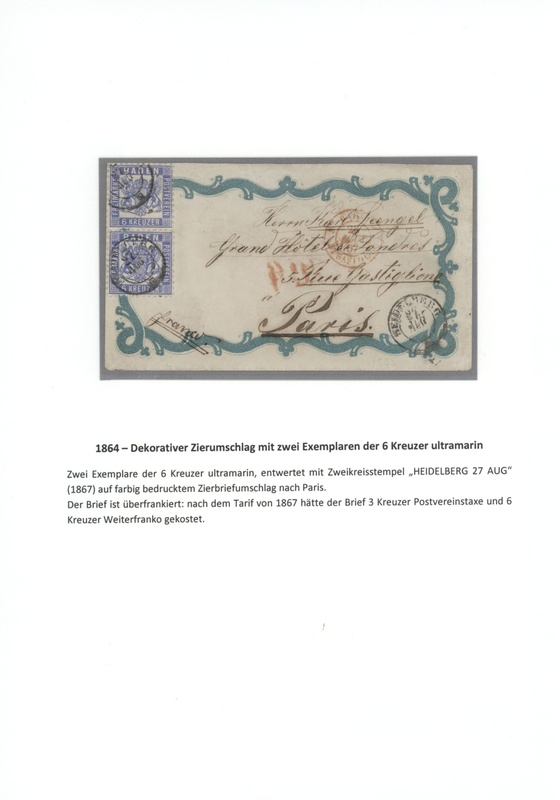 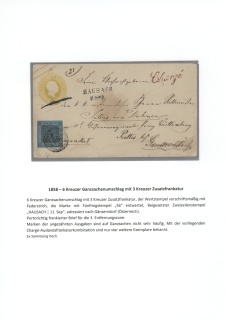 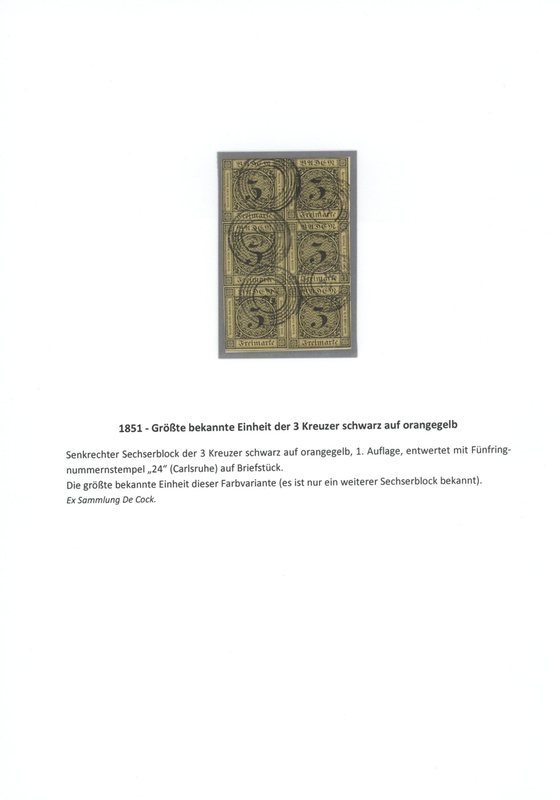 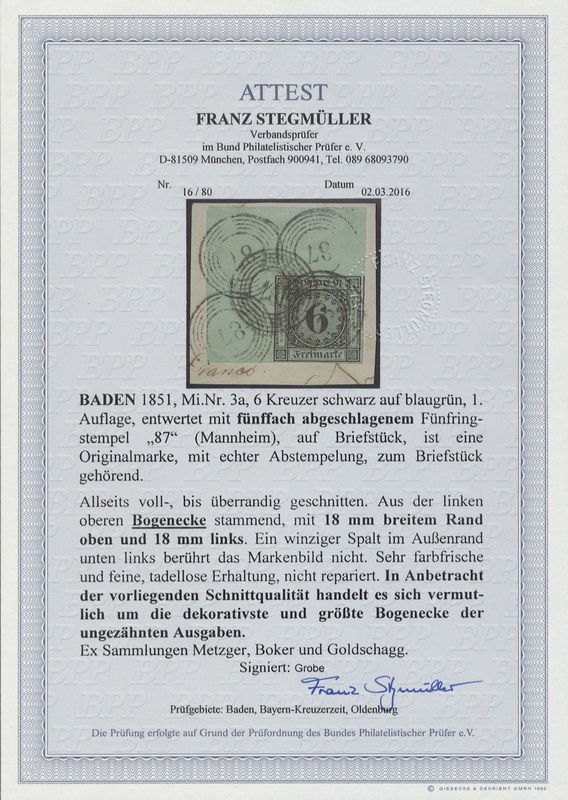 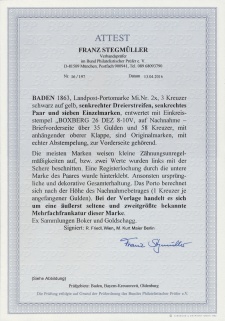 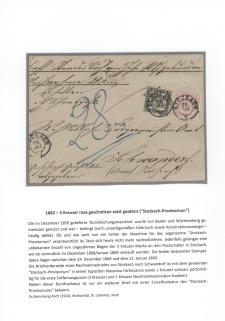 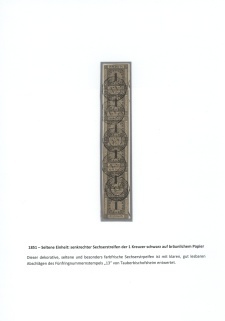 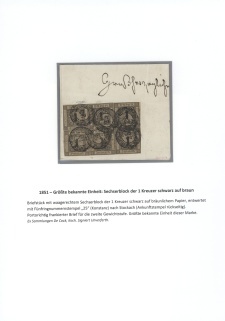 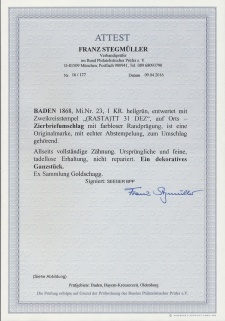 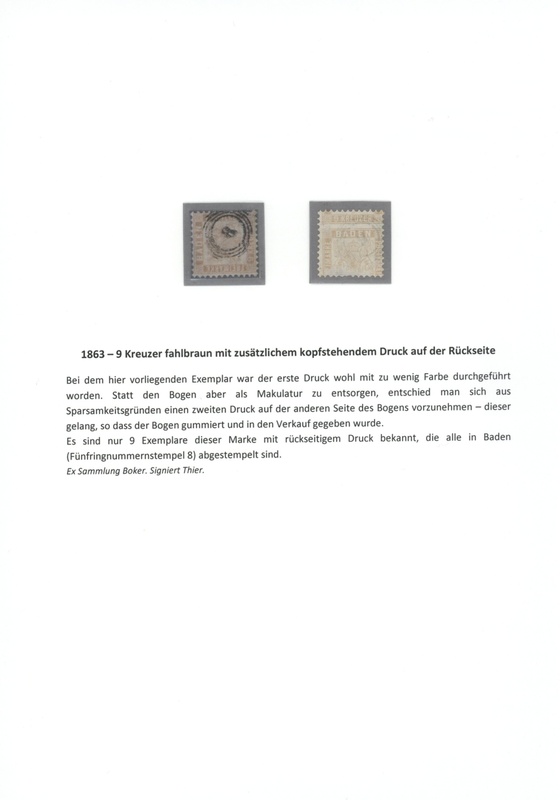 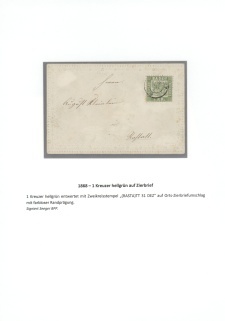 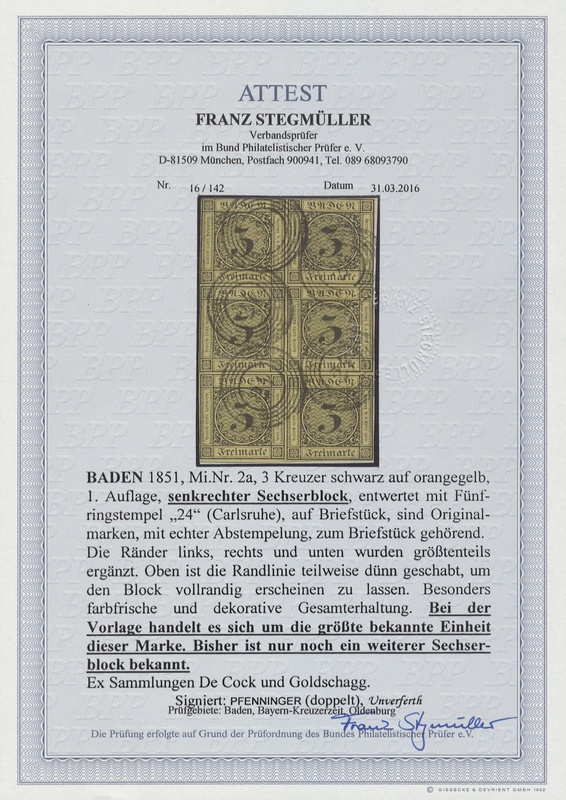 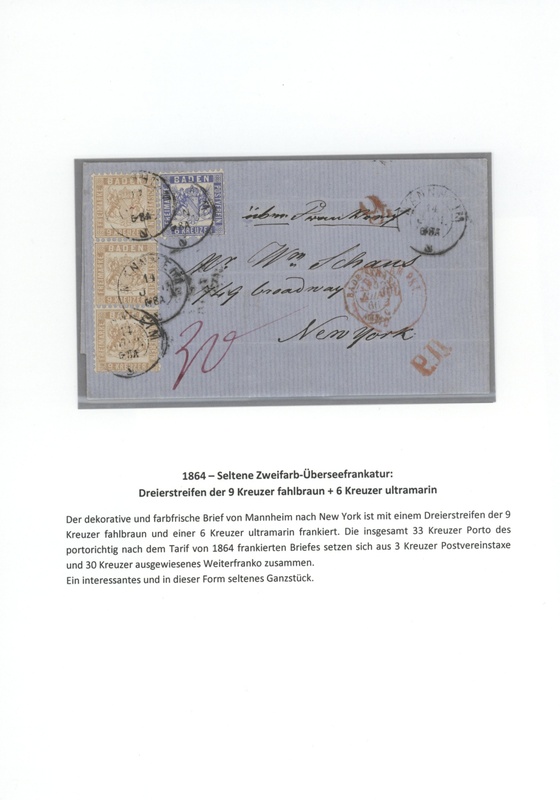 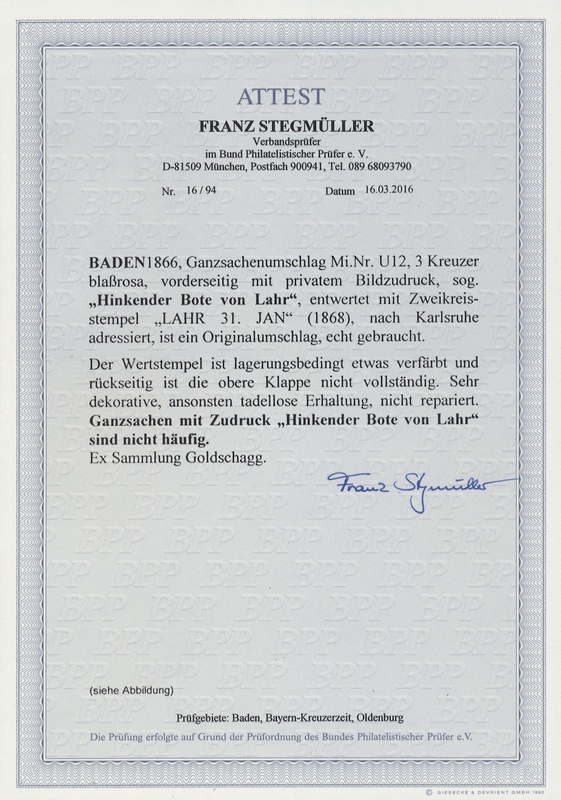 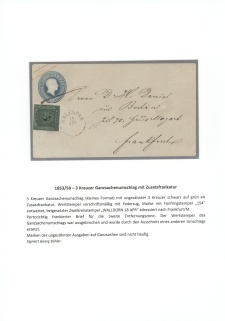 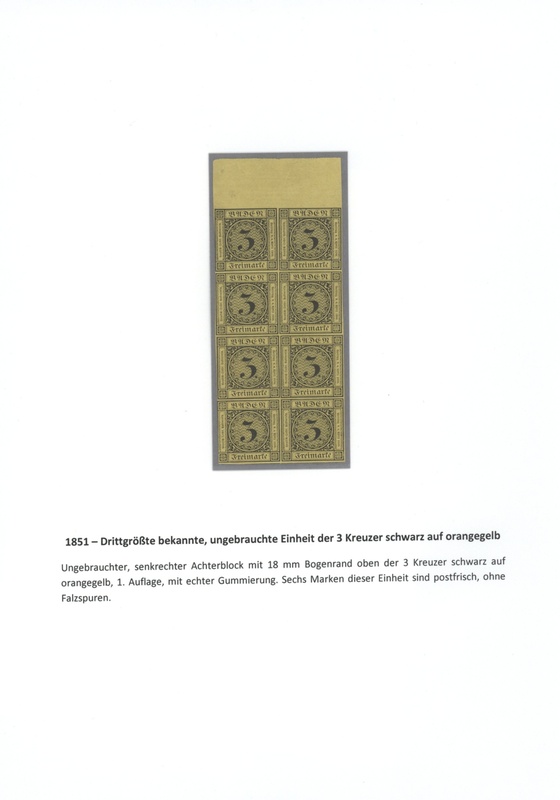 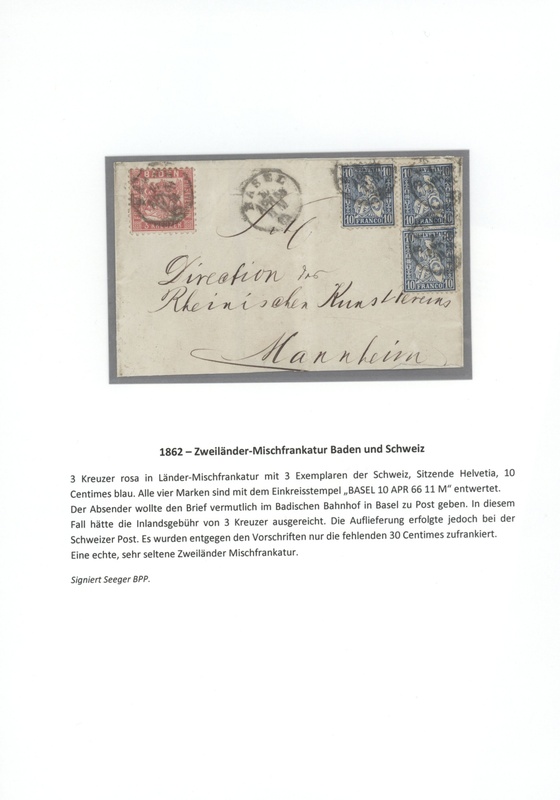 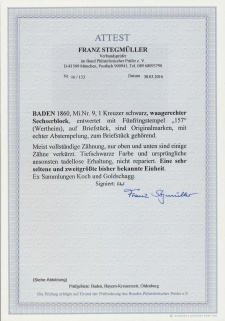 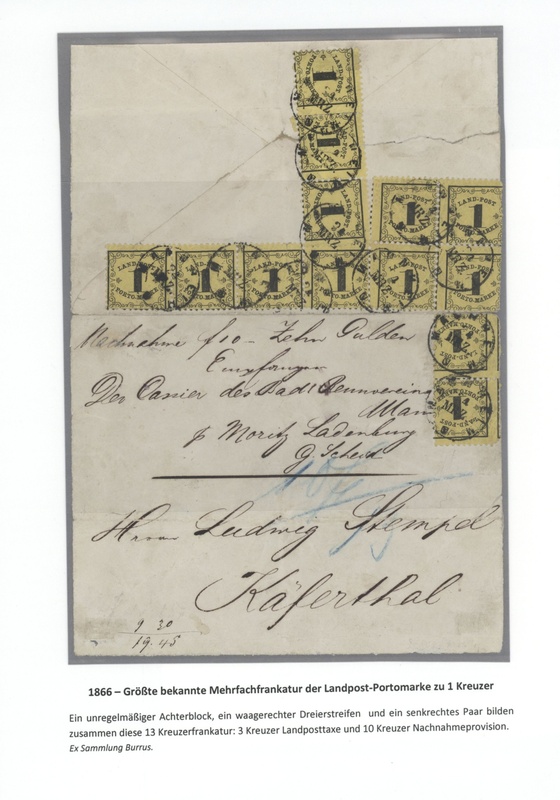 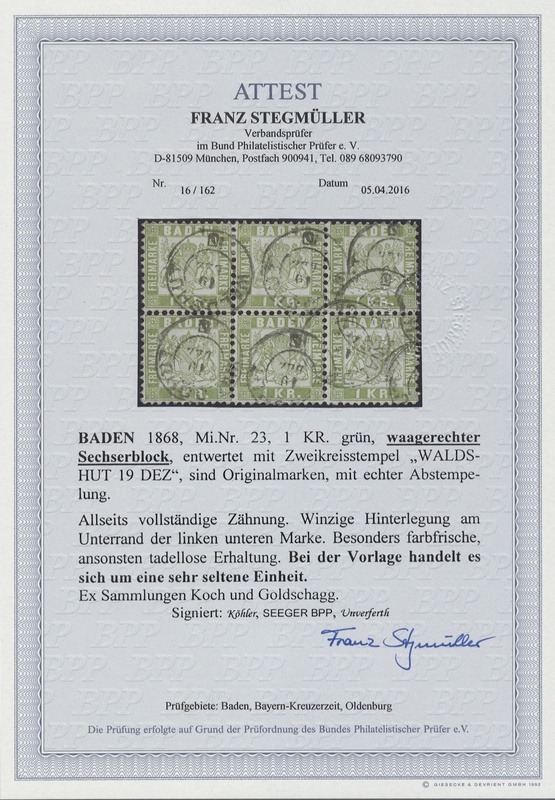 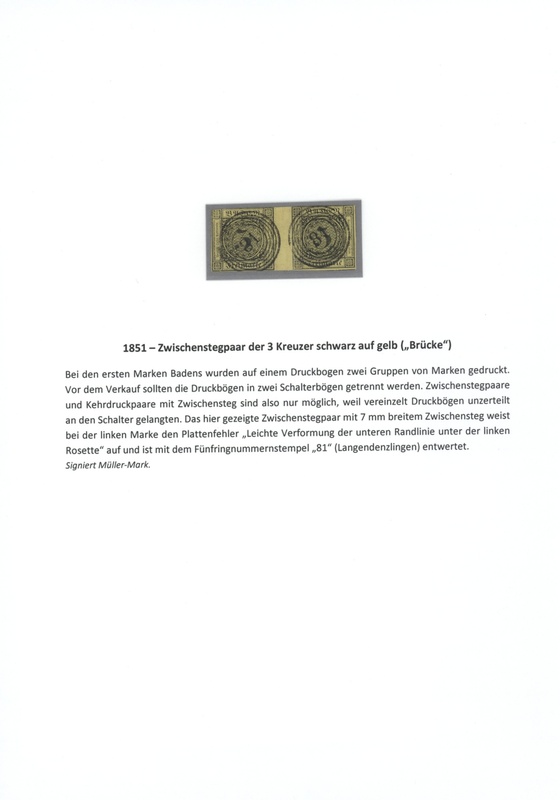 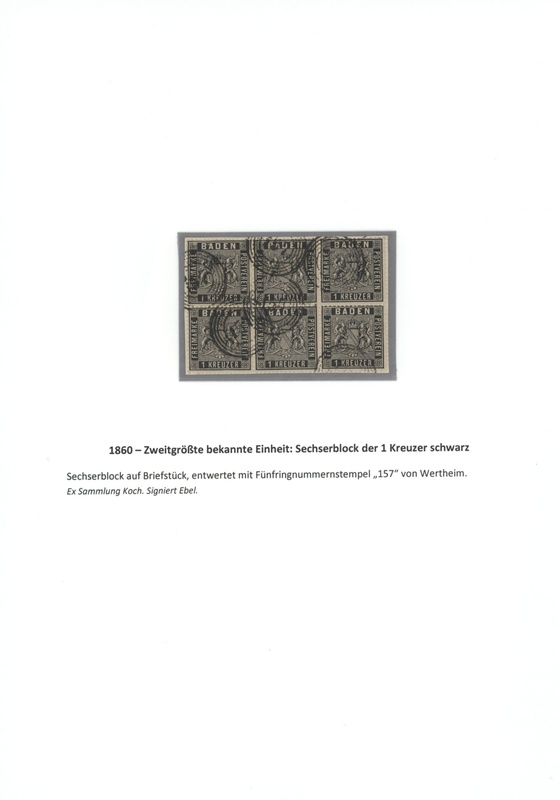 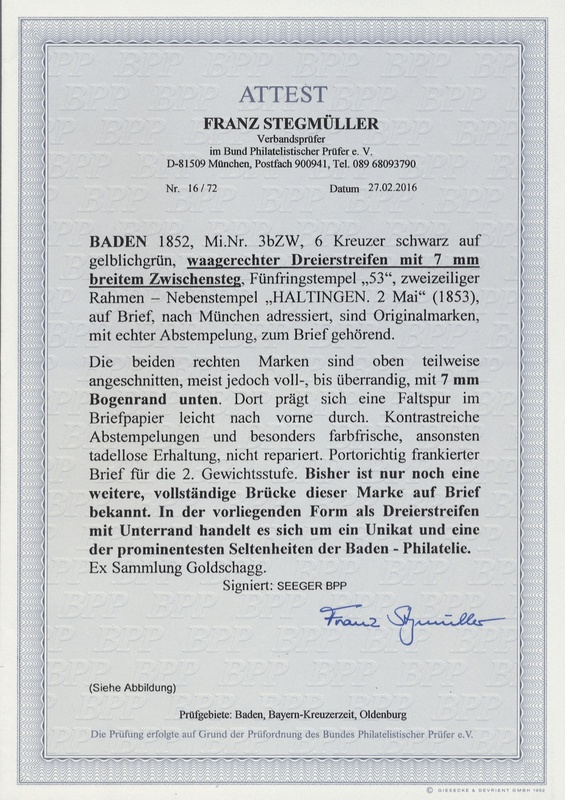 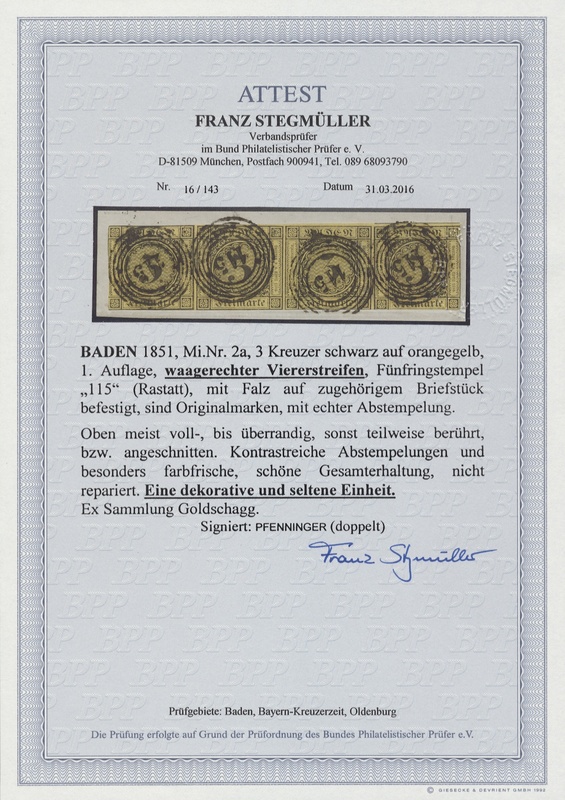 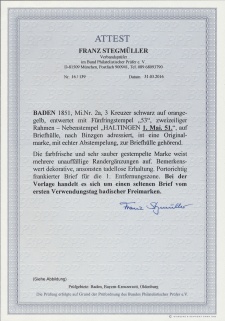 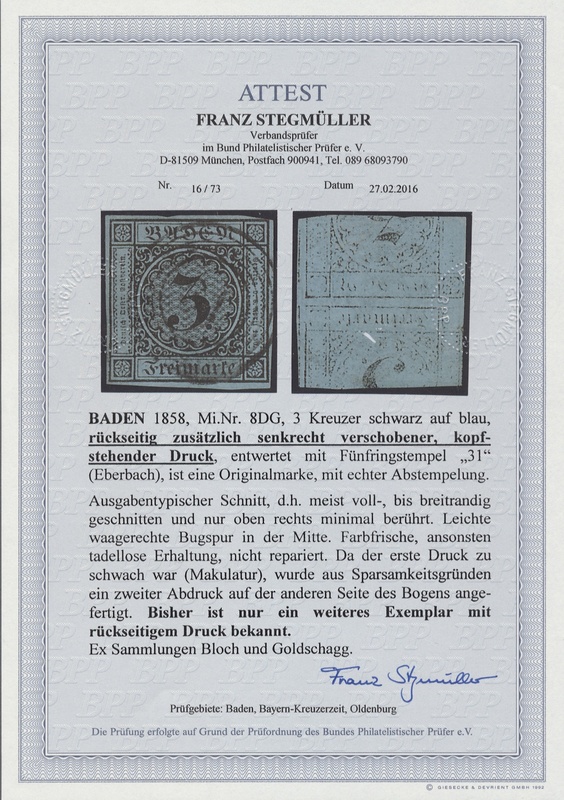 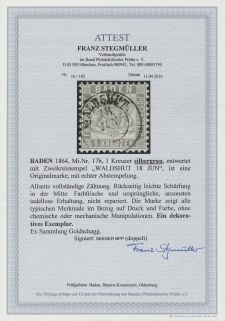 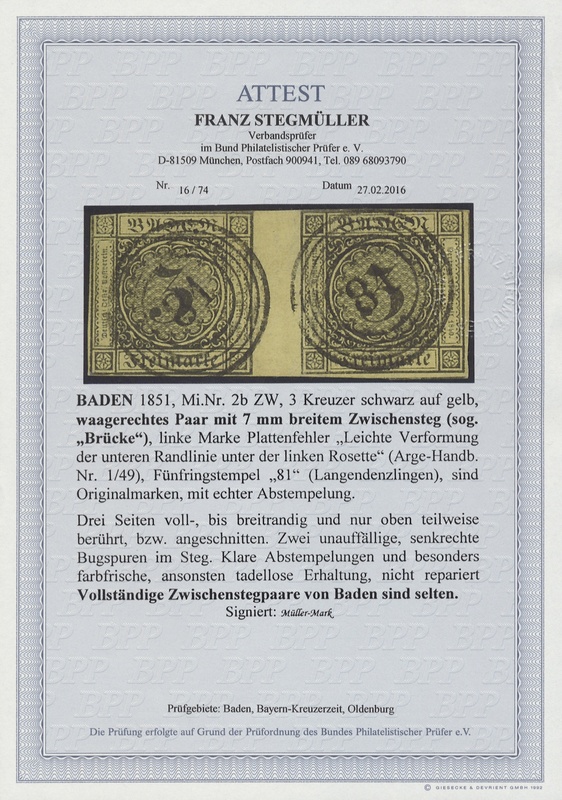 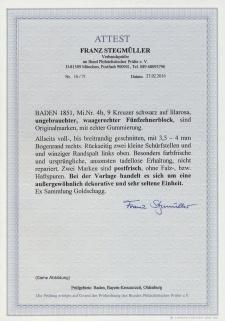 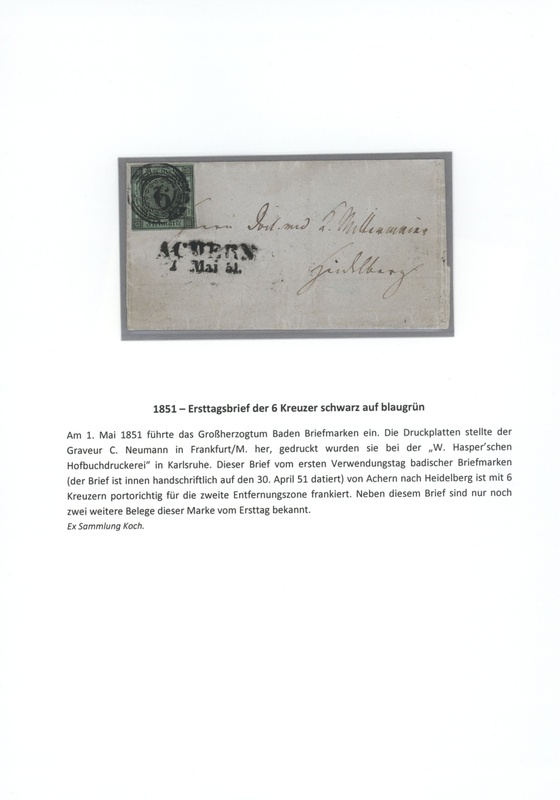 1851-1868 „ALT-BADEN“ – The ROLF GOLDSCHAGG Collection containing 97 most important stamps, multiples, pieces and covers of the Baden philately, which are the Crème de la Crème of his collection honored at international exhibitions with highest awards. 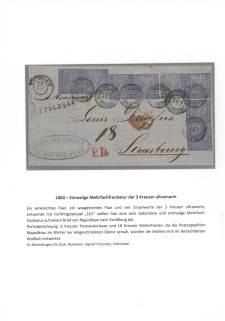 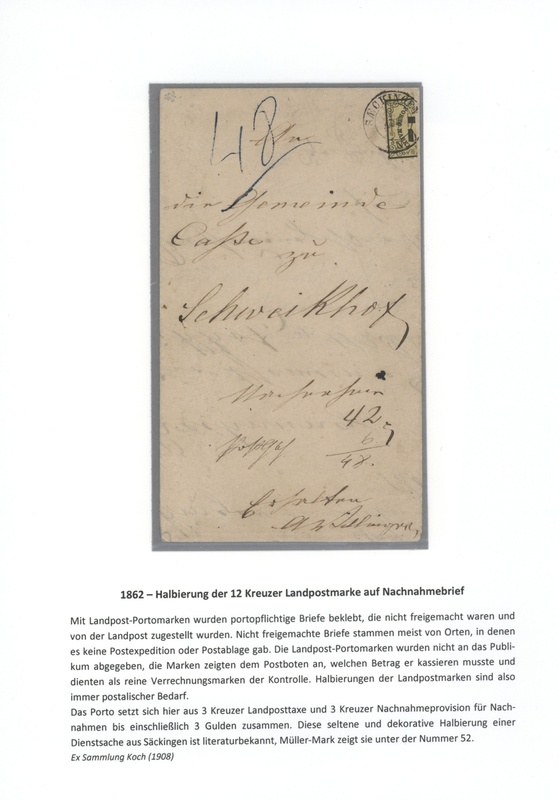 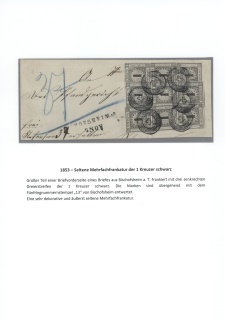 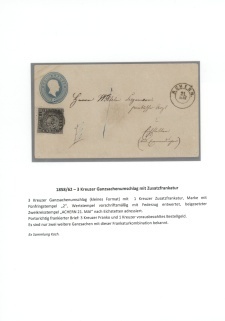 From three First Day covers (May 1st, 1851) to the Rural postage due stamps (including a bisected 12 kr.) 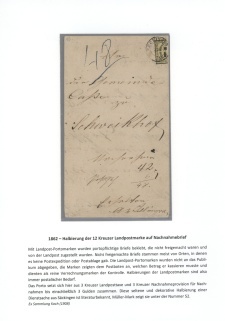 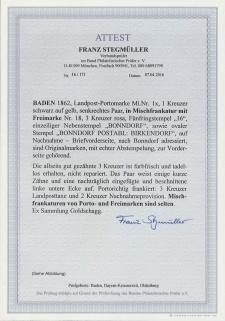 on various covers there are important, rare, unique and famous items, with single stamps, used and unused, with varieties, scarce colors, or a corner copy of the 1851 6 kr. 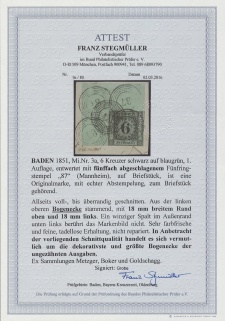 used on piece, three “Bridges” (gutter pairs) including a Bridge of the 1851-52 6 kr. 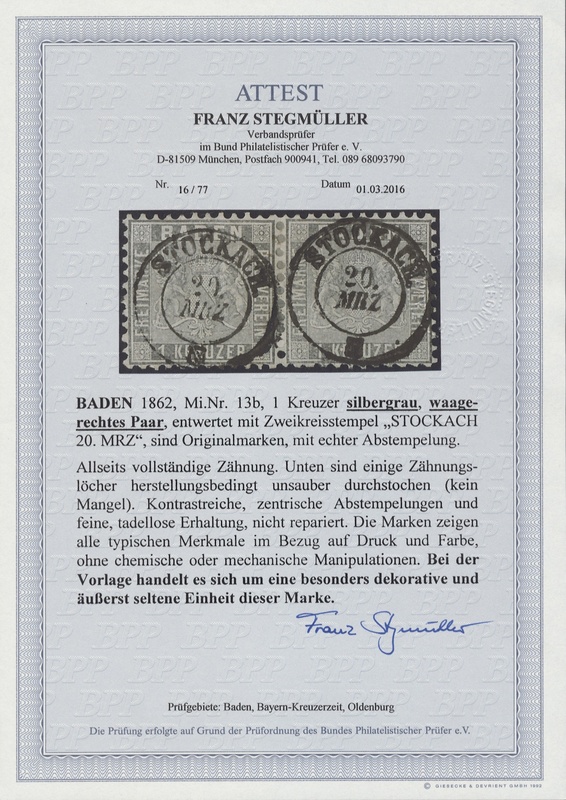 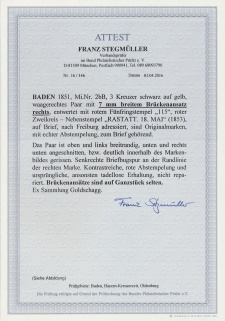 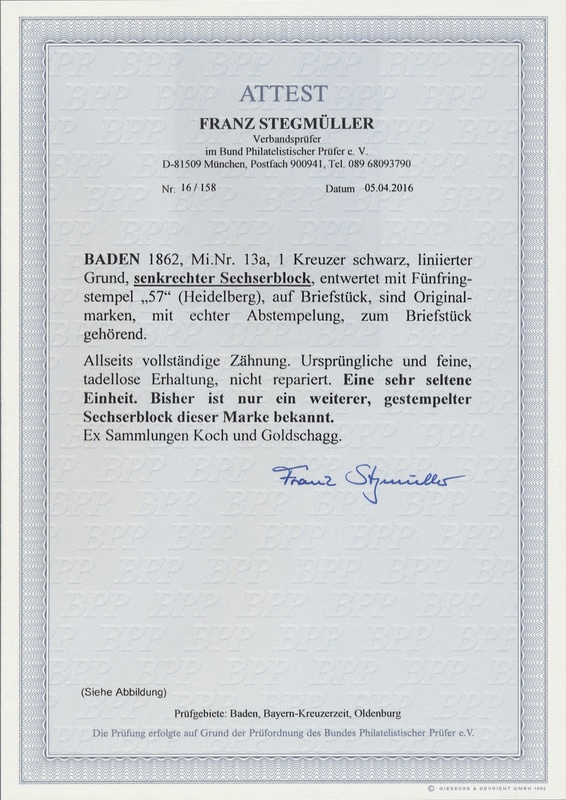 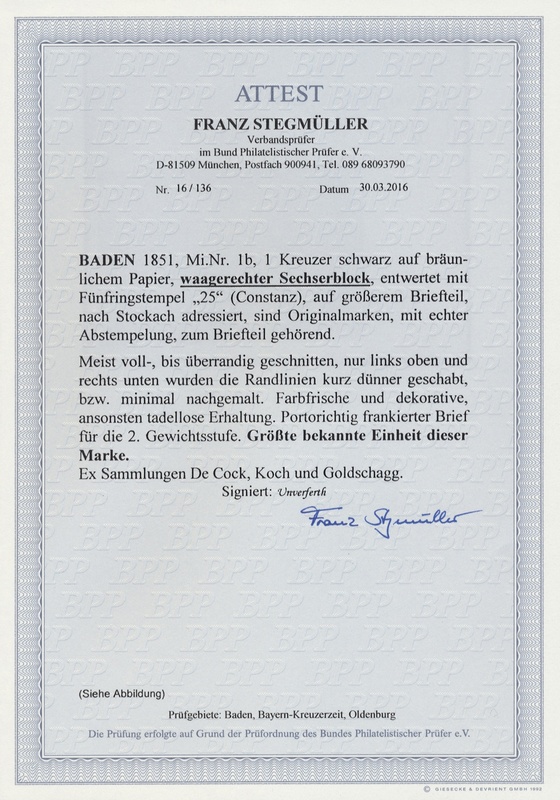 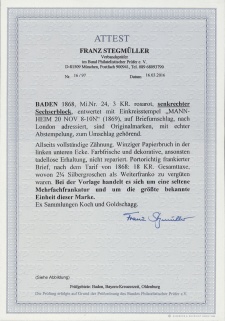 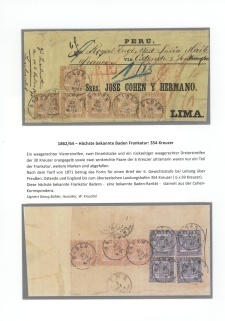 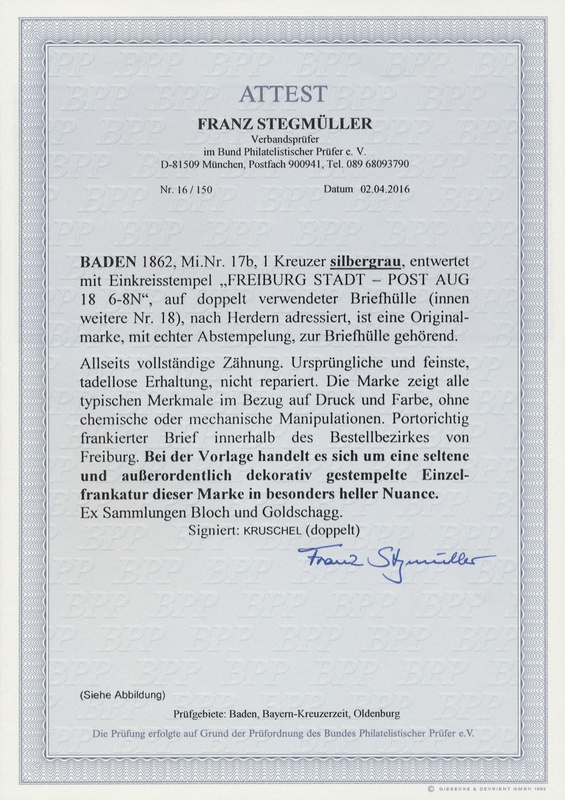 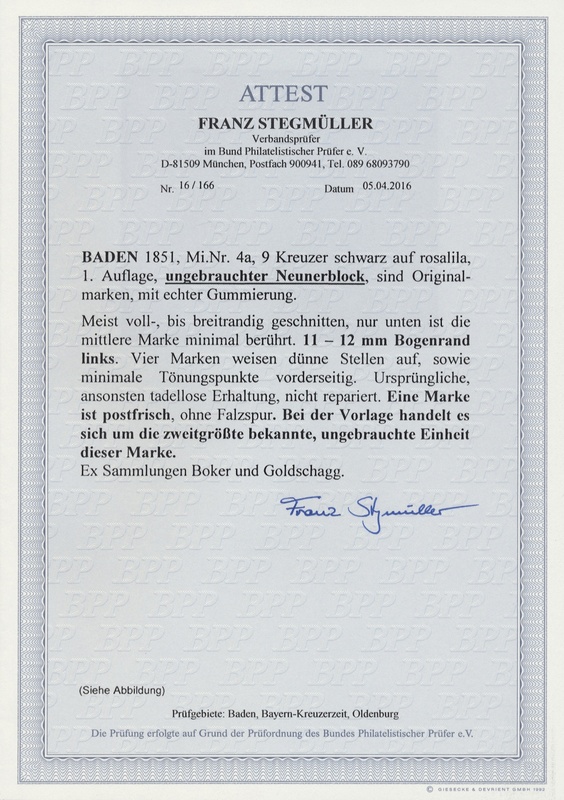 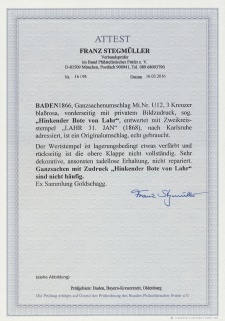 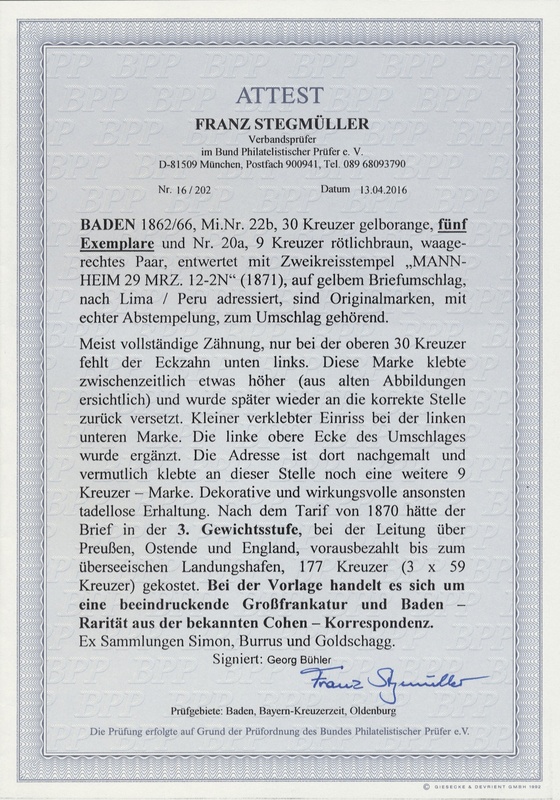 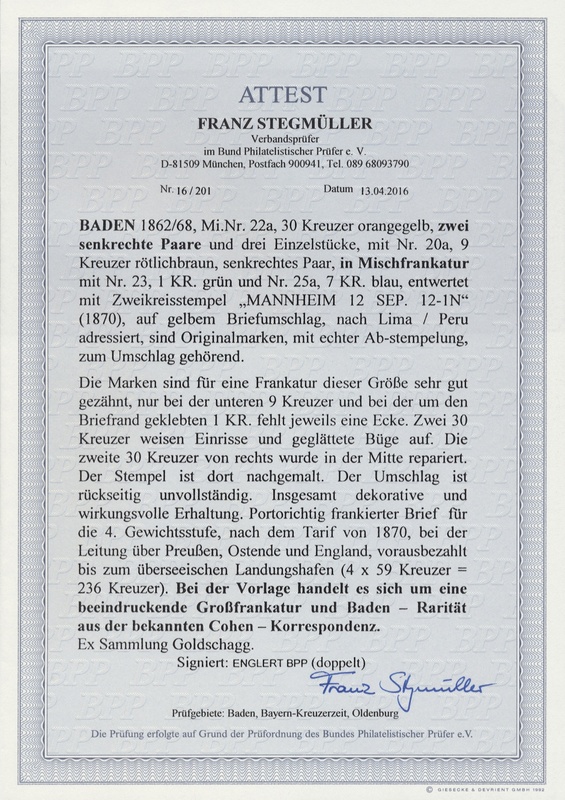 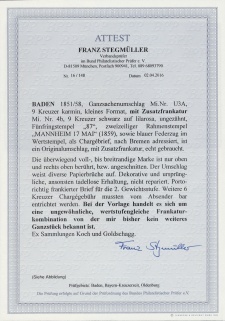 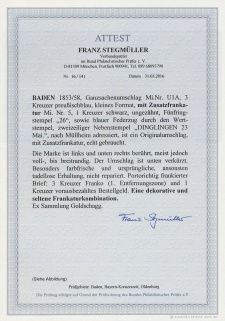 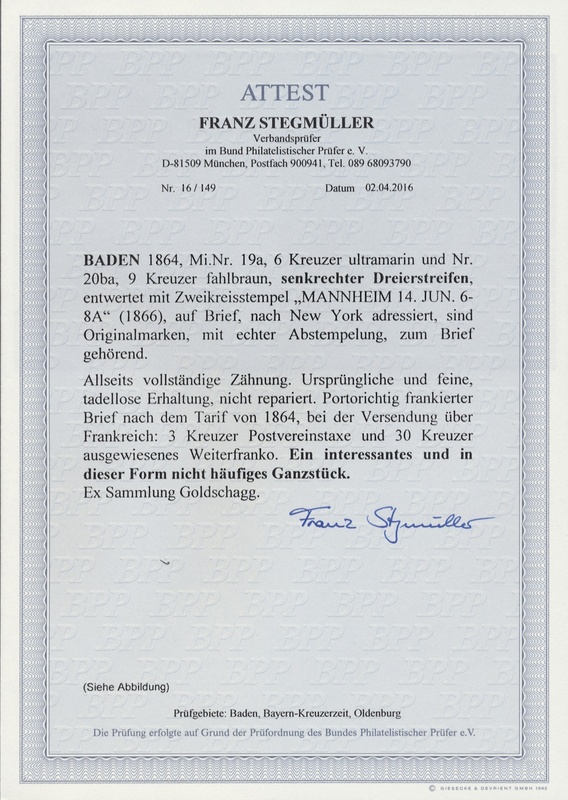 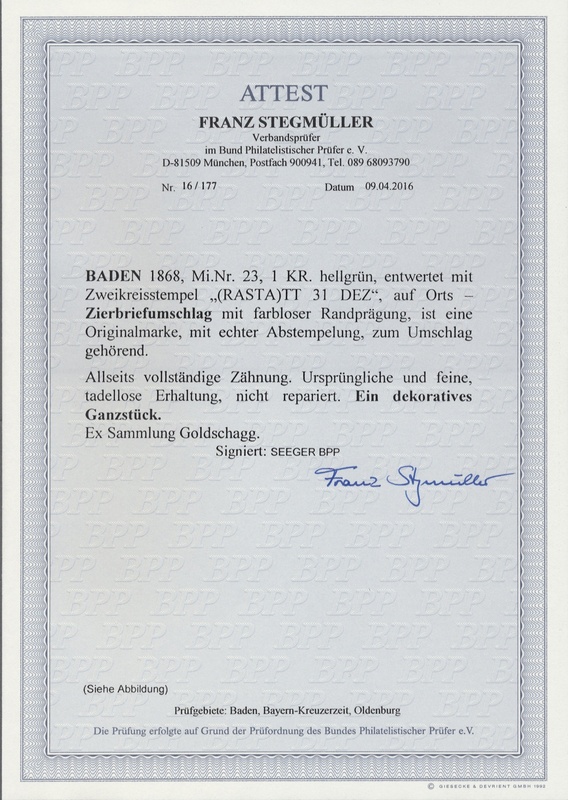 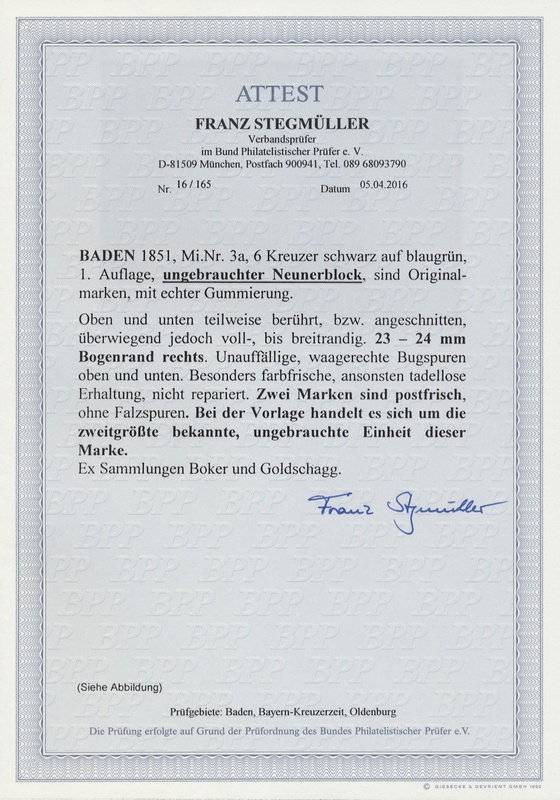 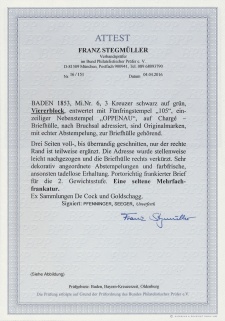 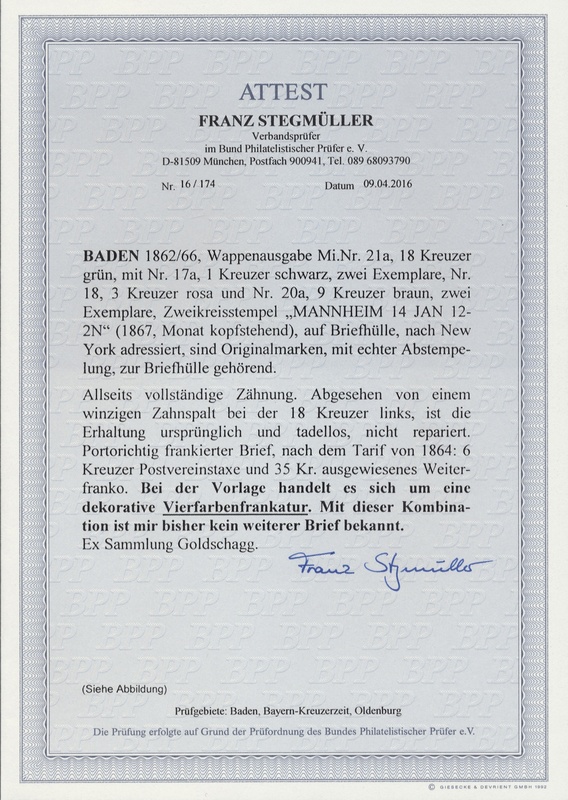 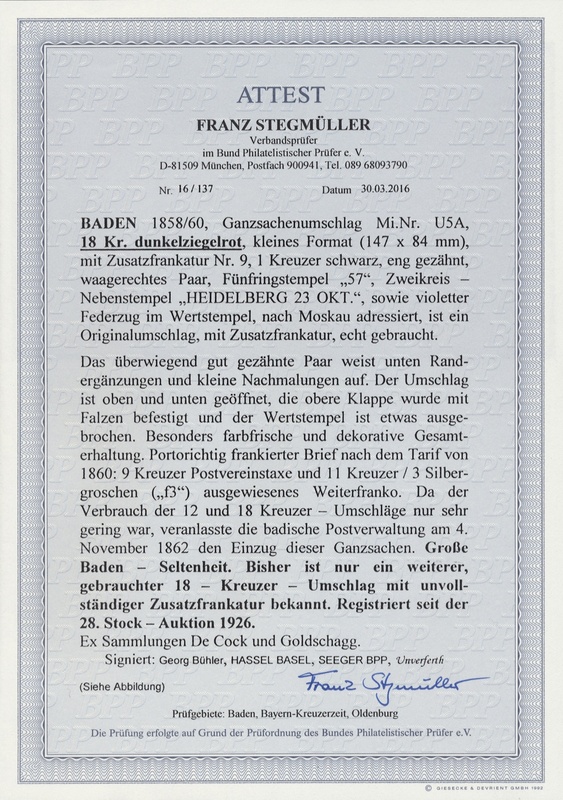 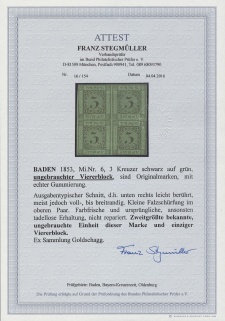 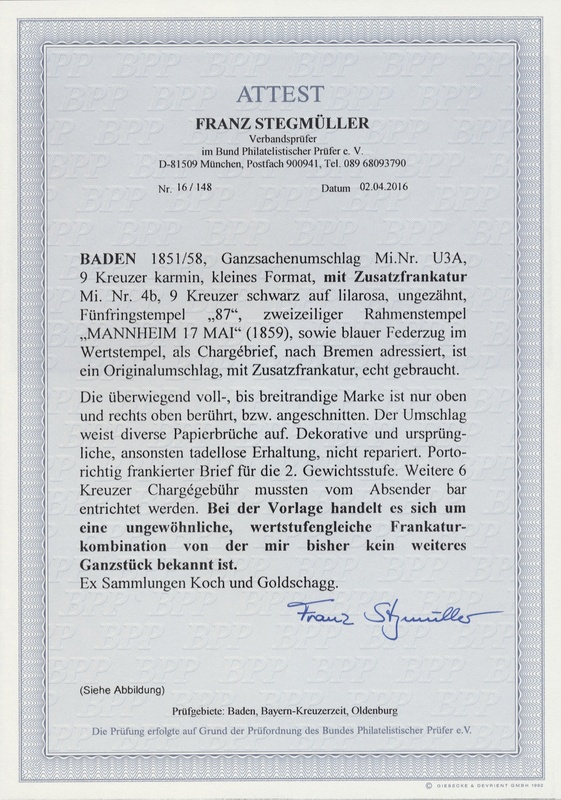 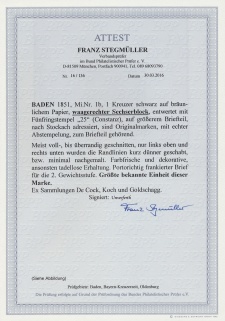 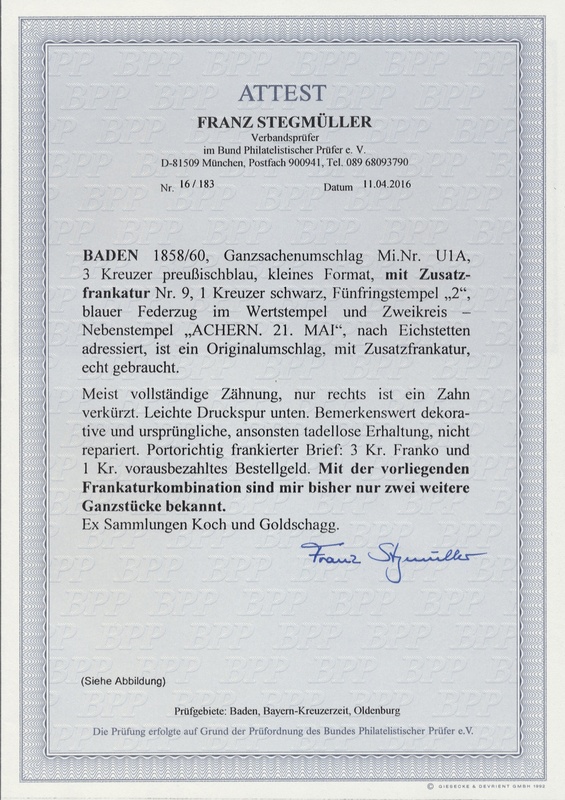 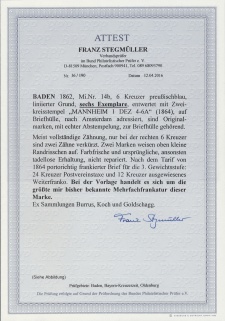 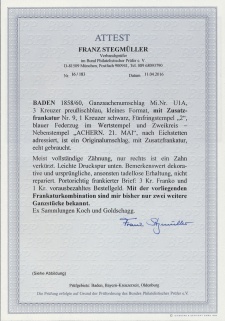 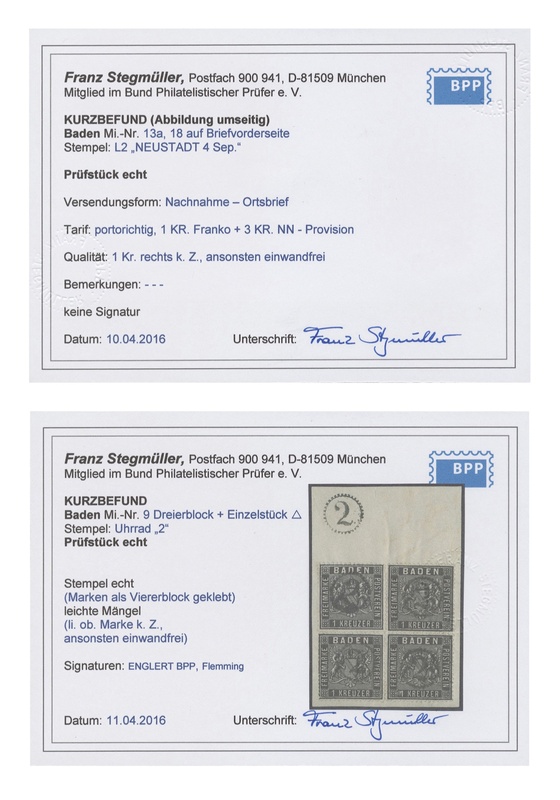 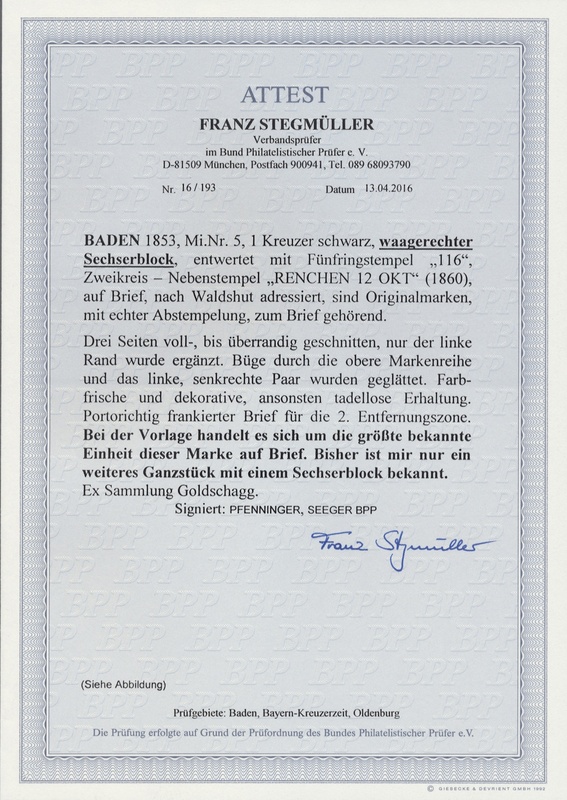 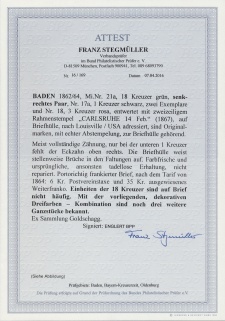 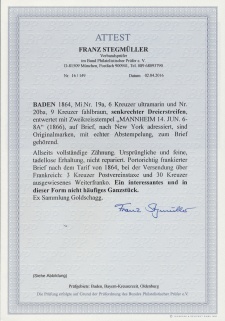 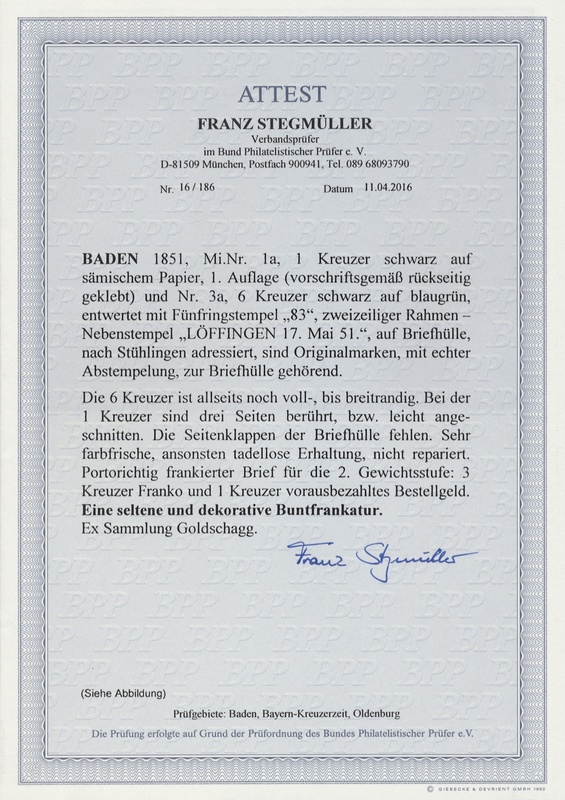 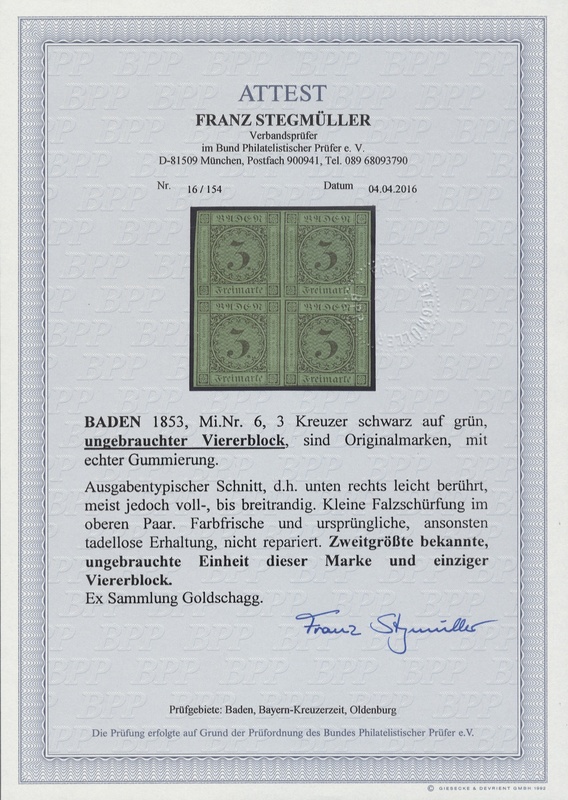 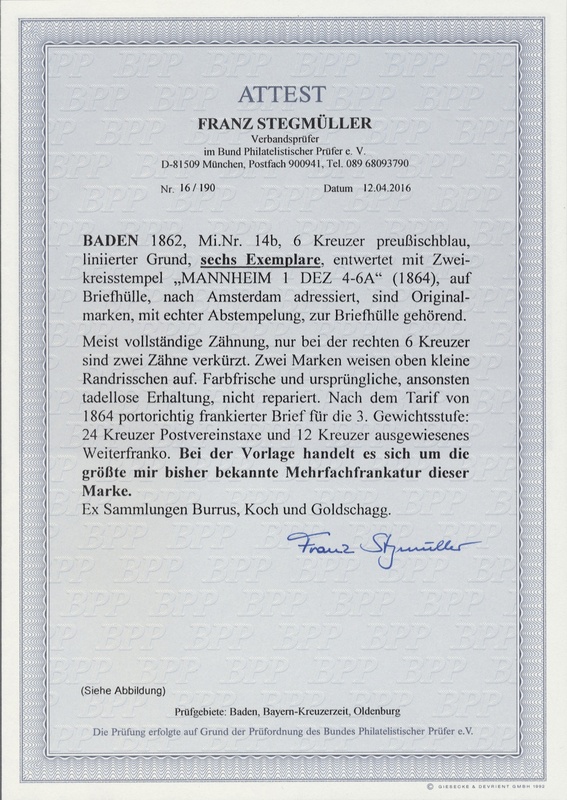 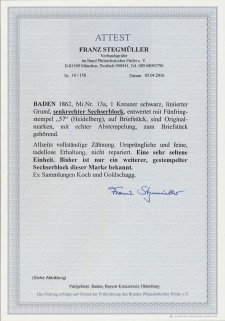 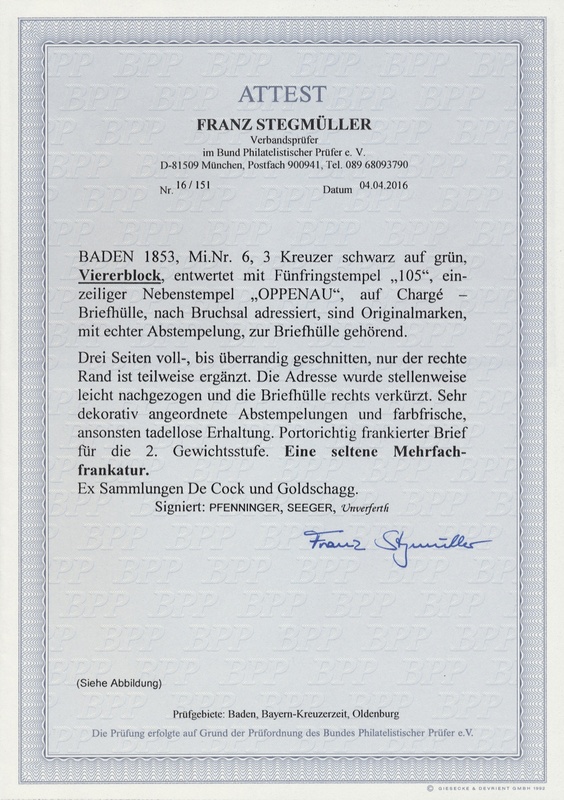 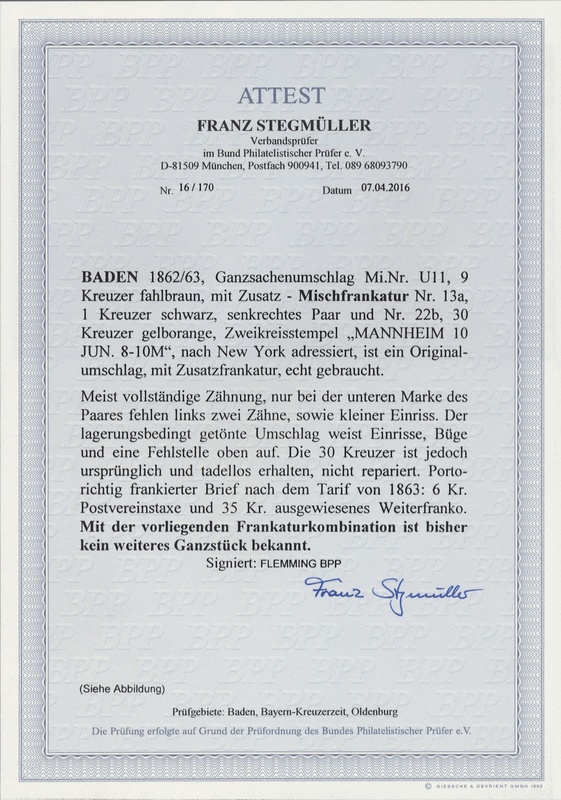 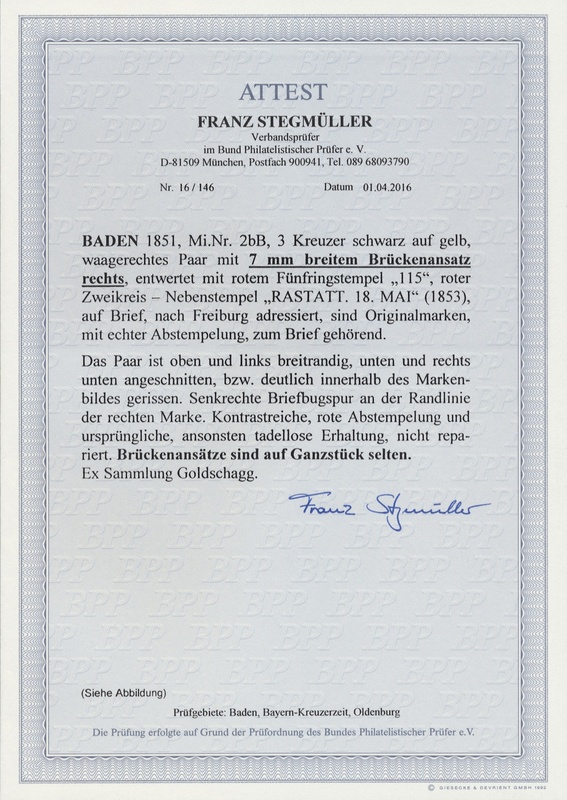 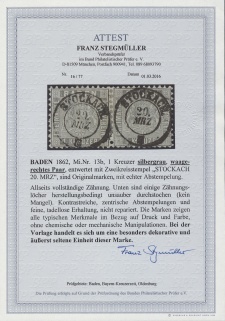 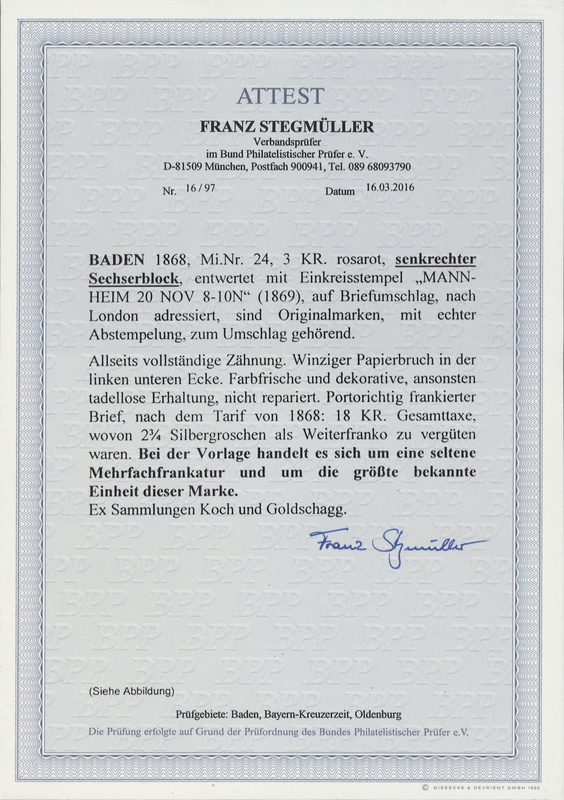 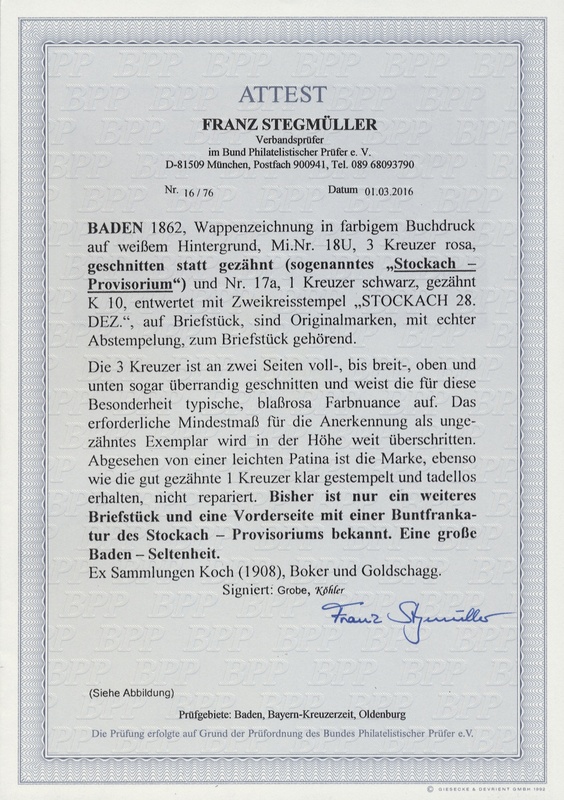 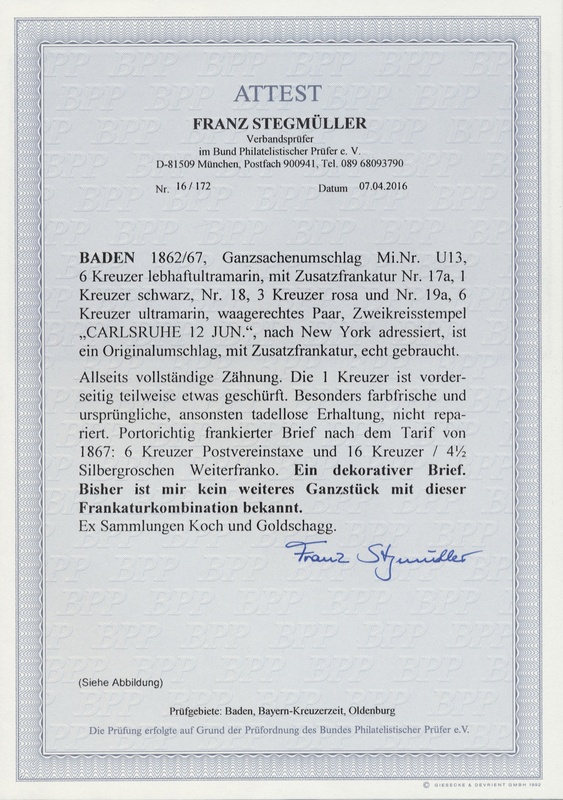 on cover, various large and largest known multiples, used and unused, scarce pieces as one with the “Stockach-Provisional” and a large number of famous, important, unique and extraordinary covers like three covers to Peru with highest frankings up to 354 kr., rare mixed and multiple frankings, a second “Stockach-Provisional” on front, unique additional frankings on postal stationery envelopes, and a lot of high-ranking items more. 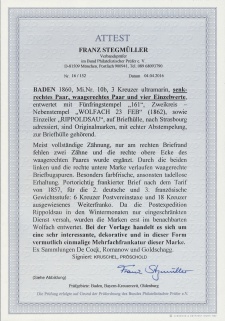 All accompanied by actual (Feb./Apr. 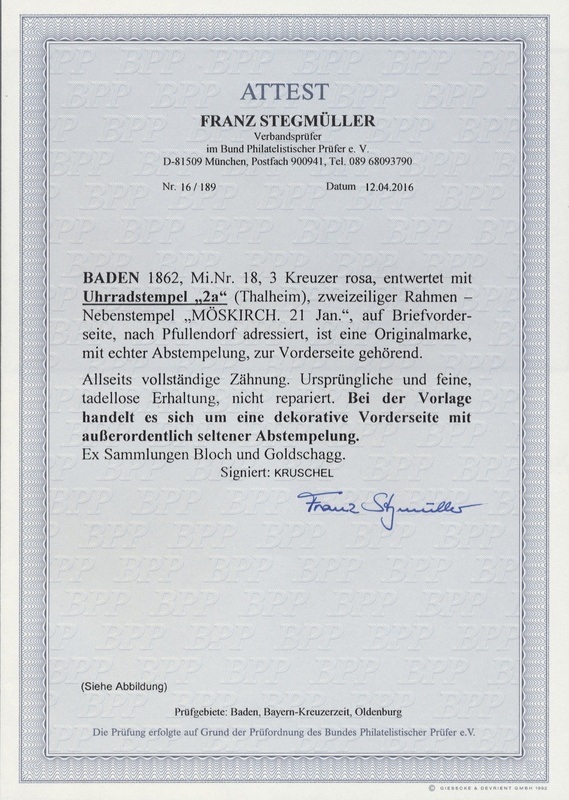 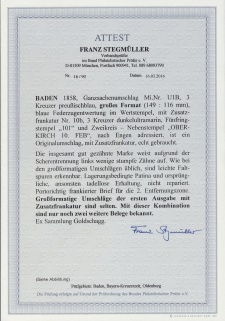 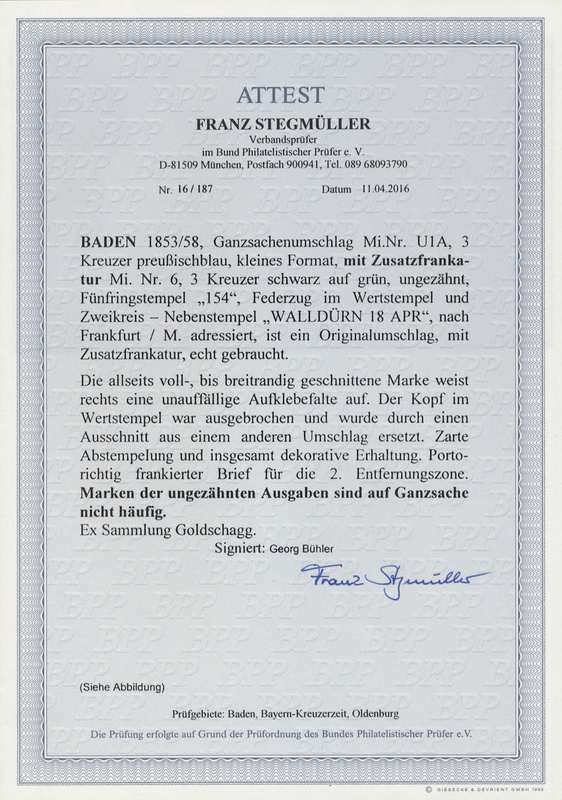 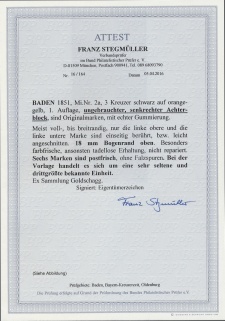 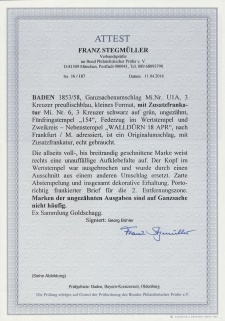 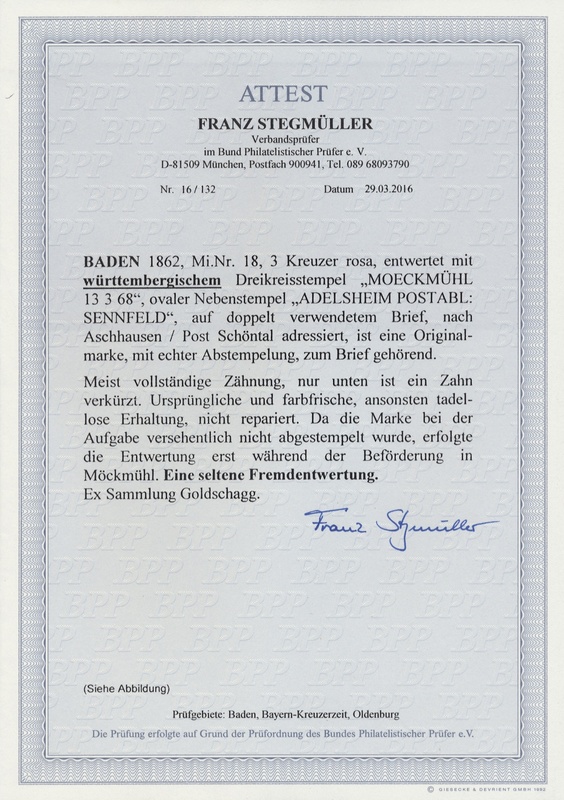 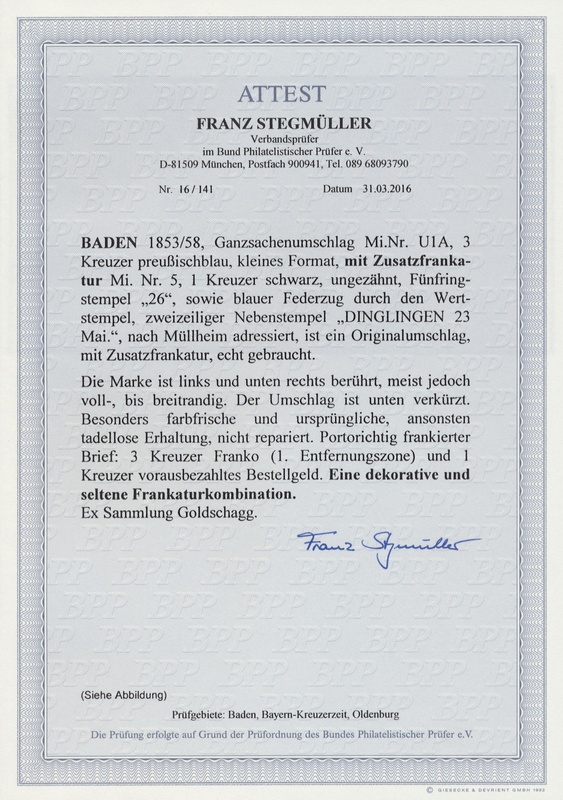 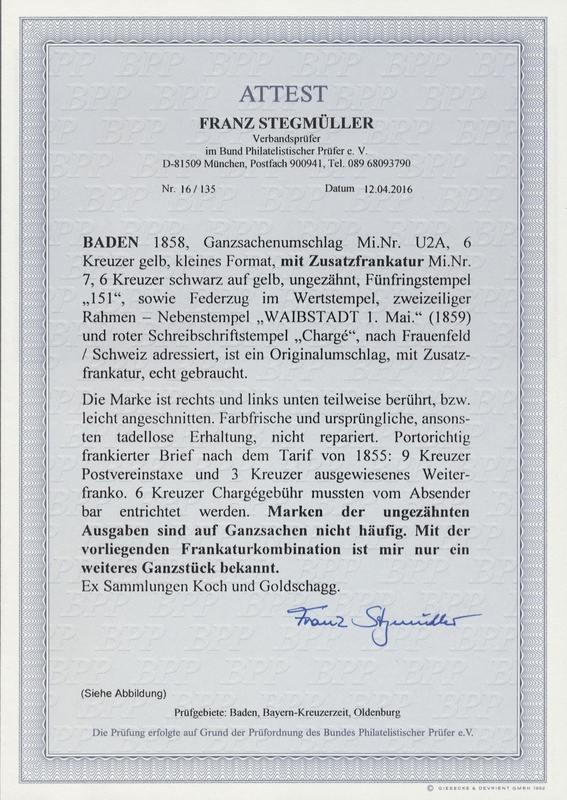 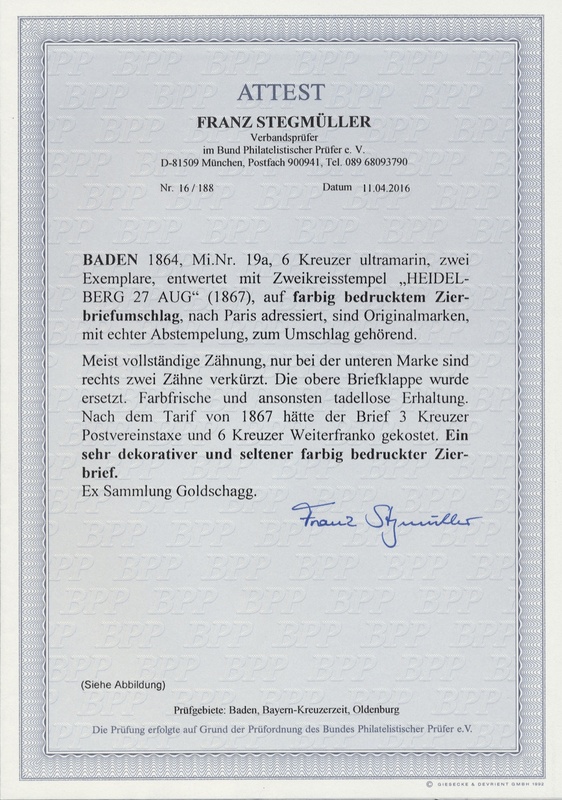 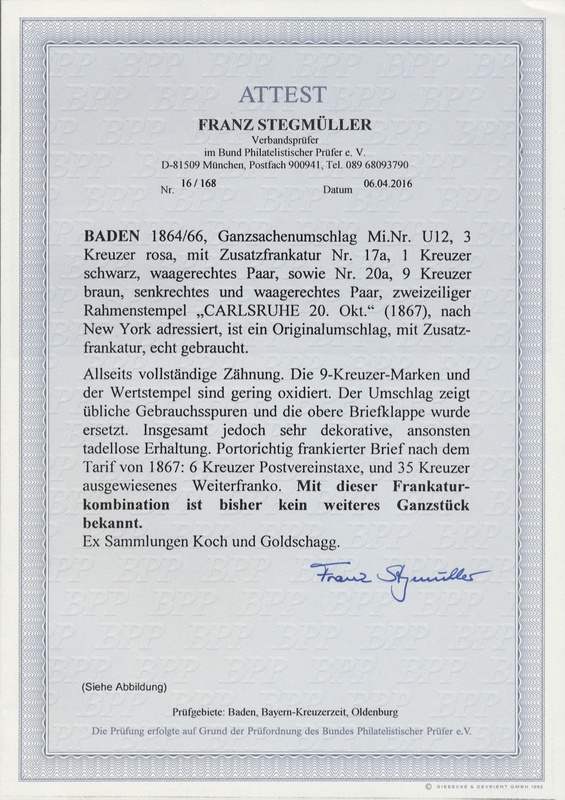 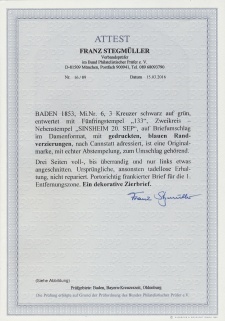 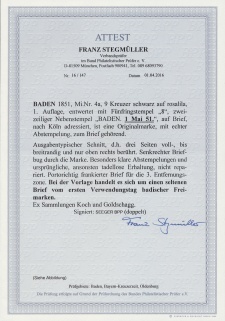 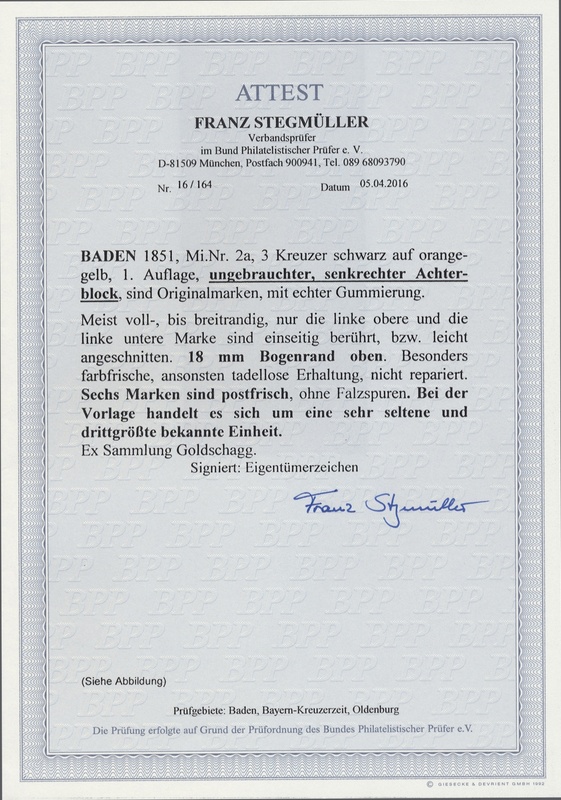 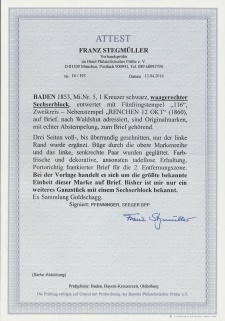 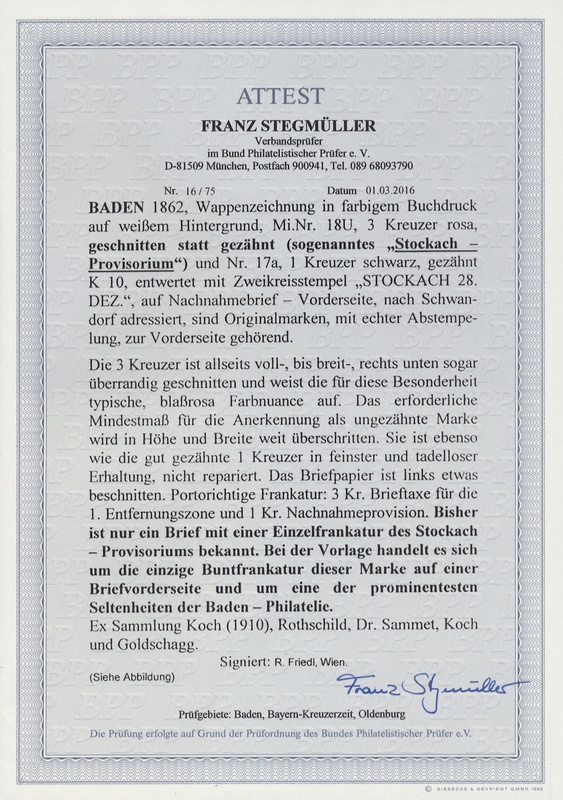 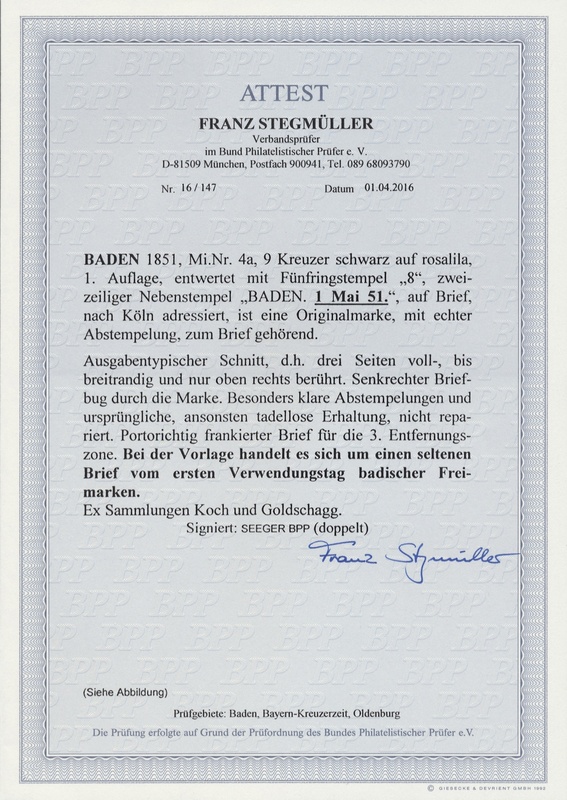 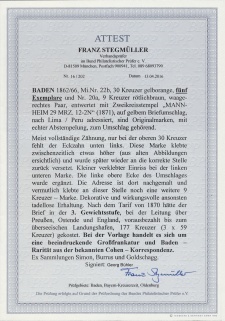 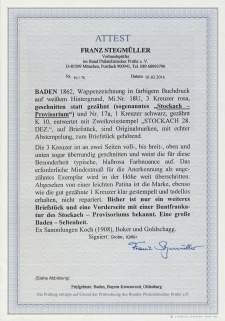 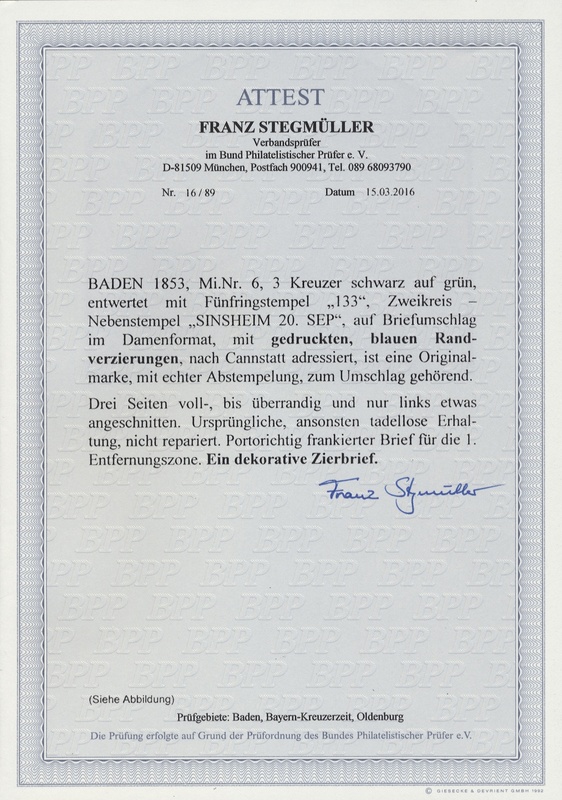 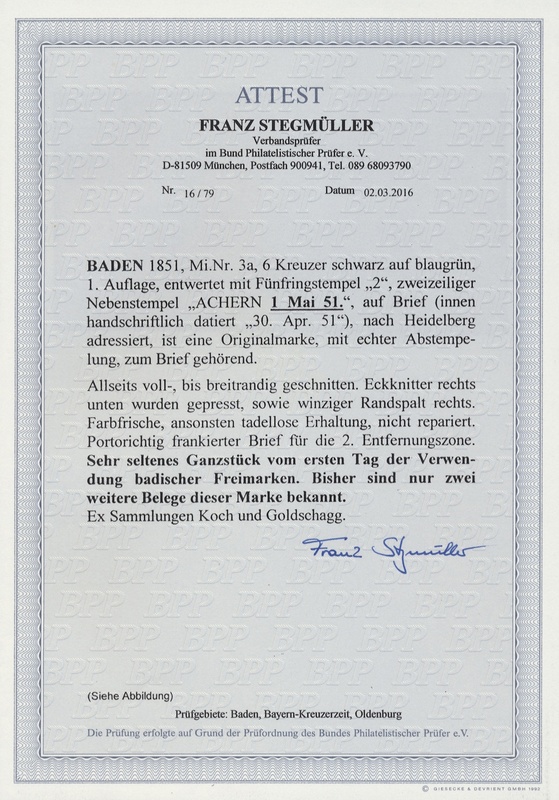 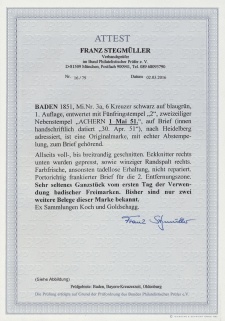 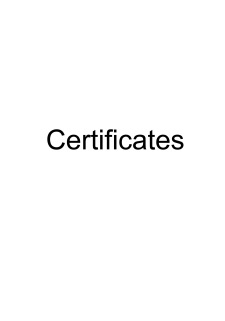 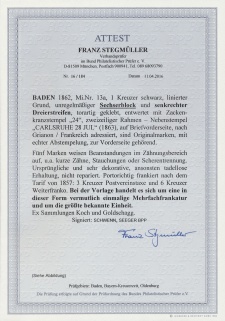 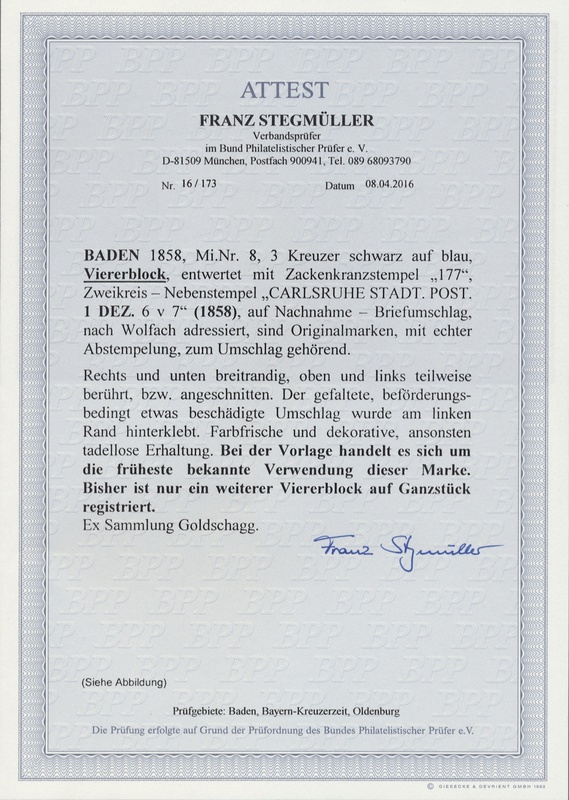 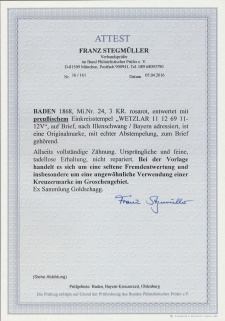 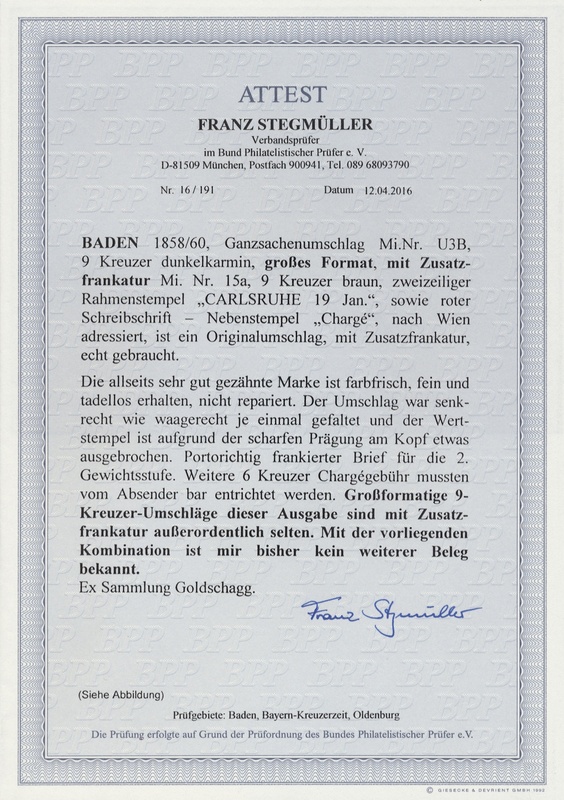 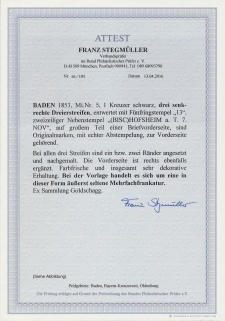 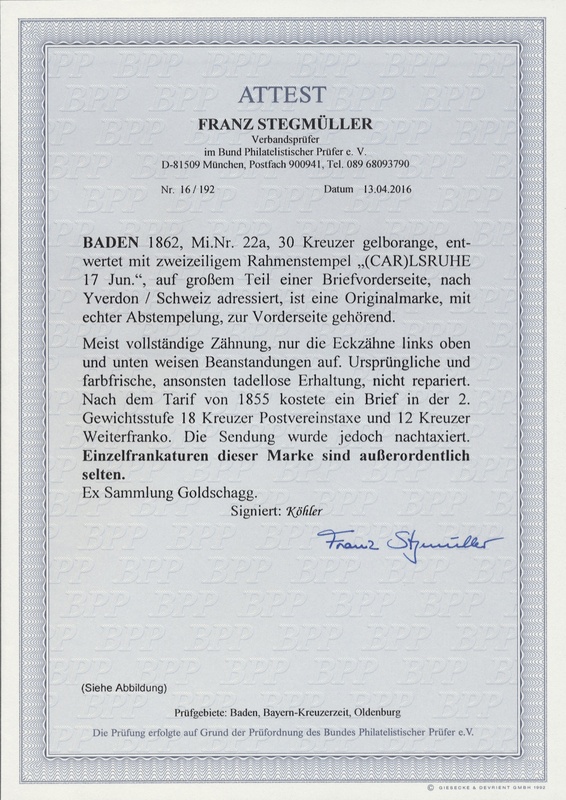 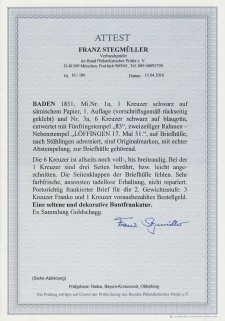 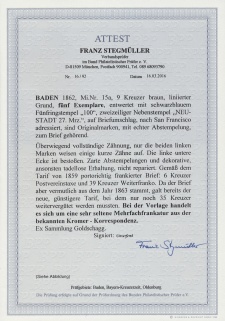 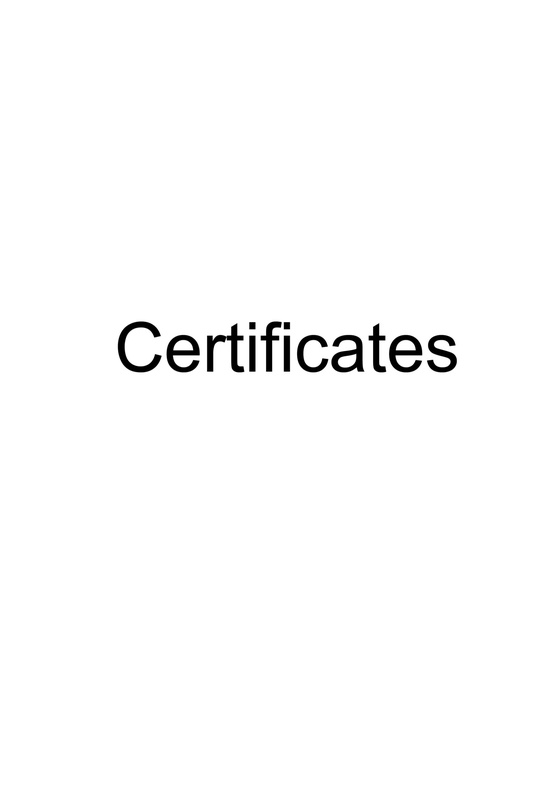 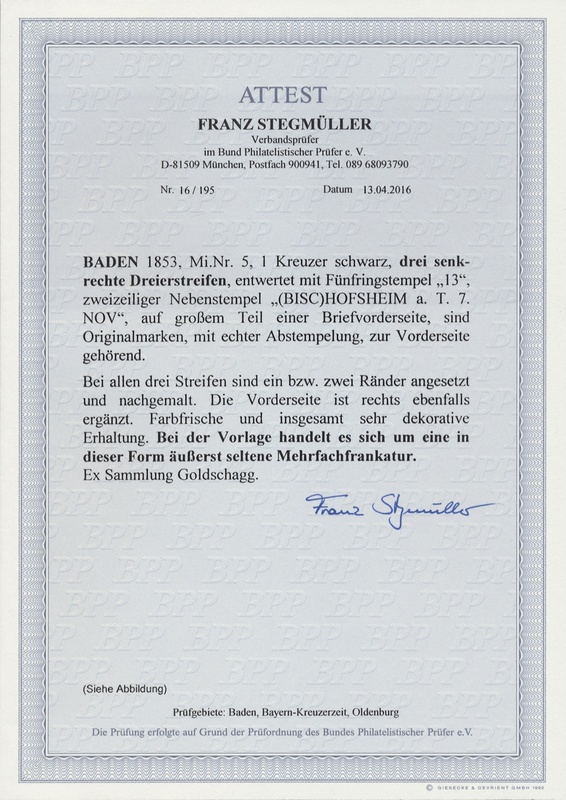 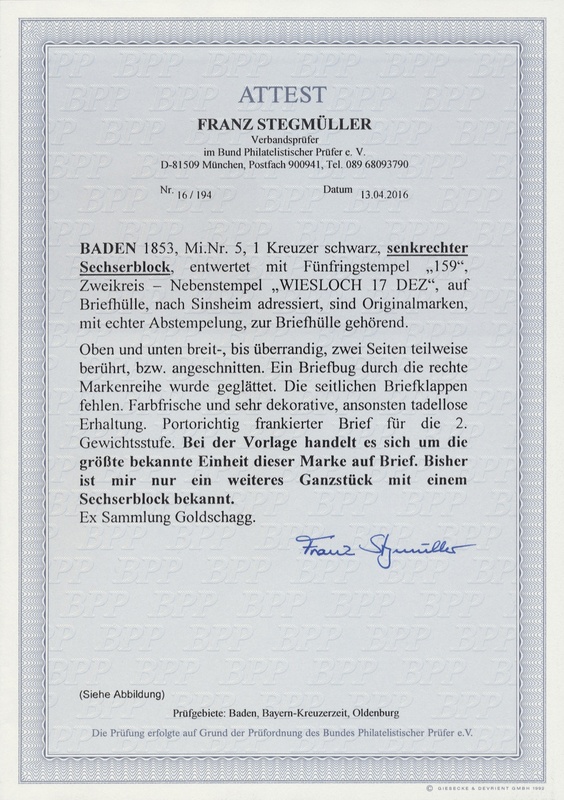 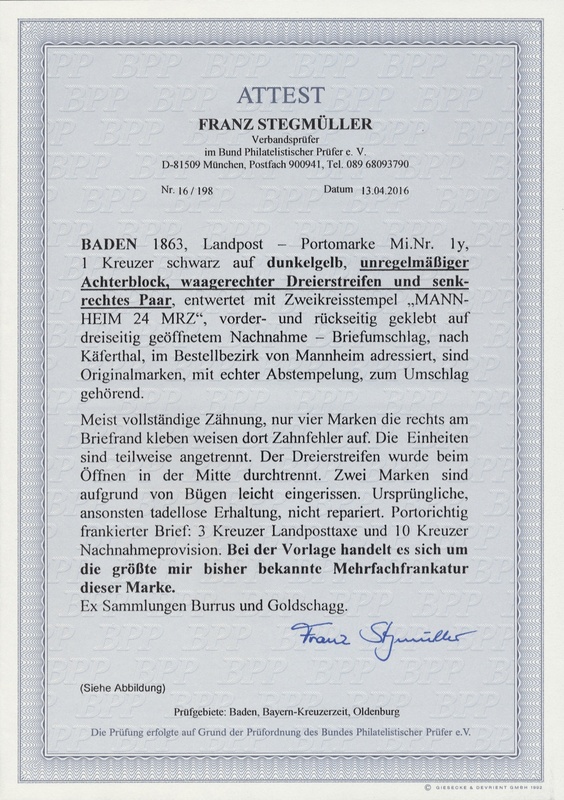 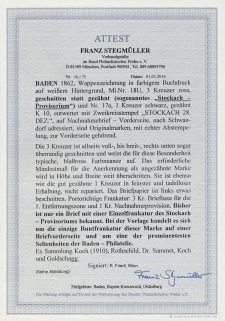 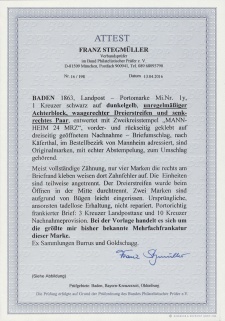 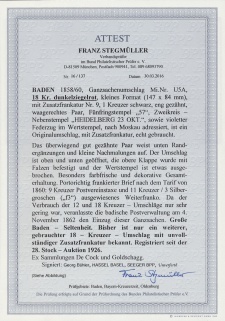 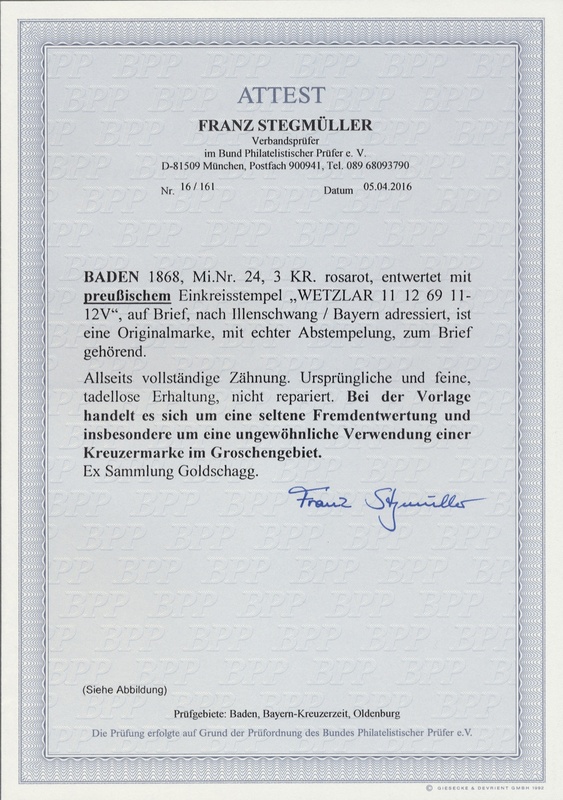 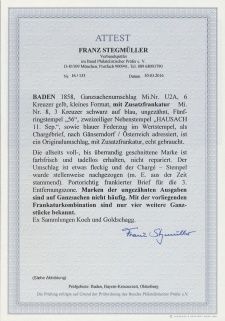 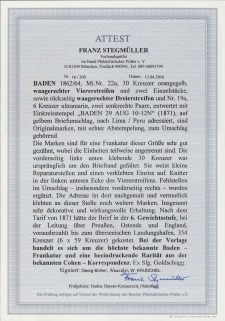 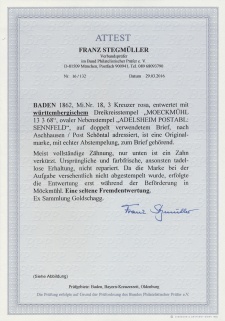 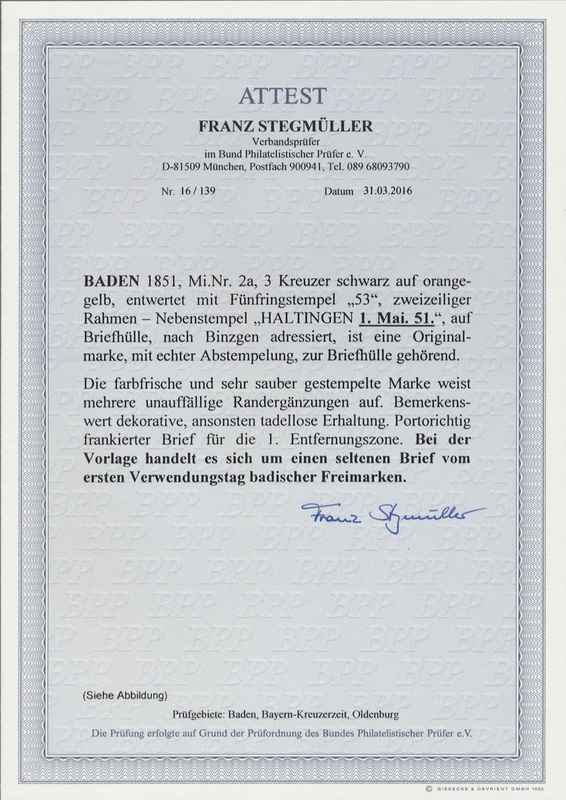 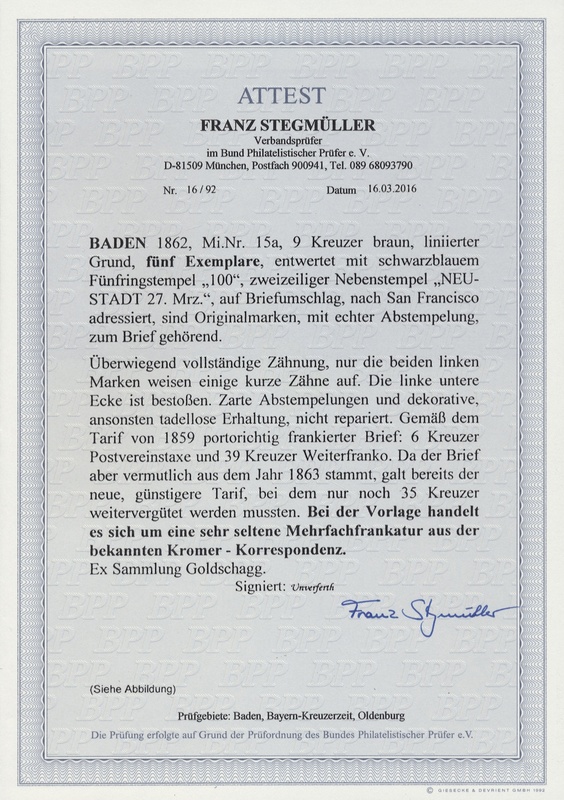 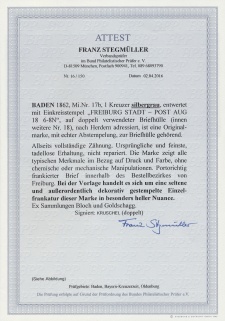 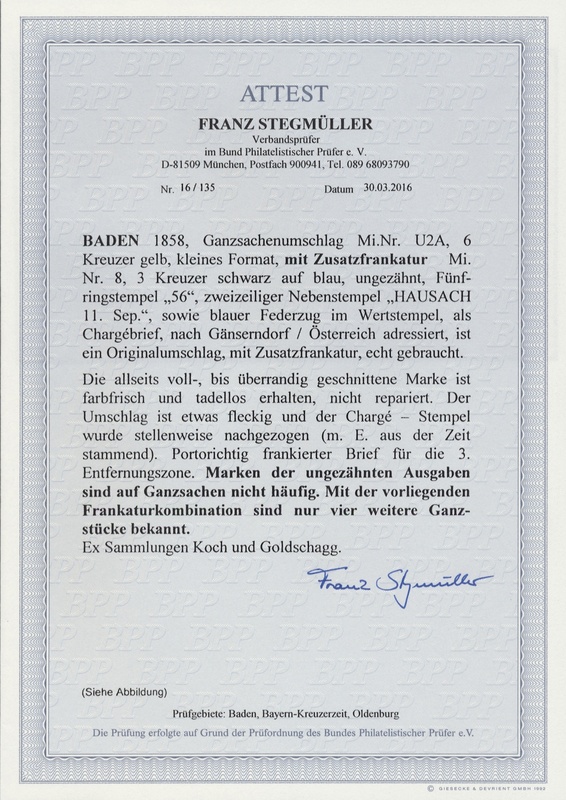 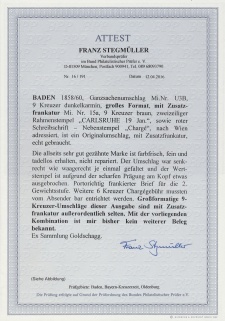 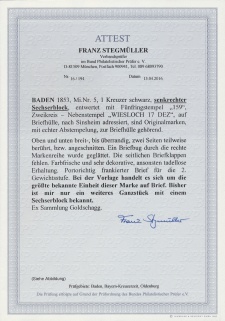 2016) certificates (94) or opinions (3) by F. Stegmüller confirming the authenticity and a lot of details. 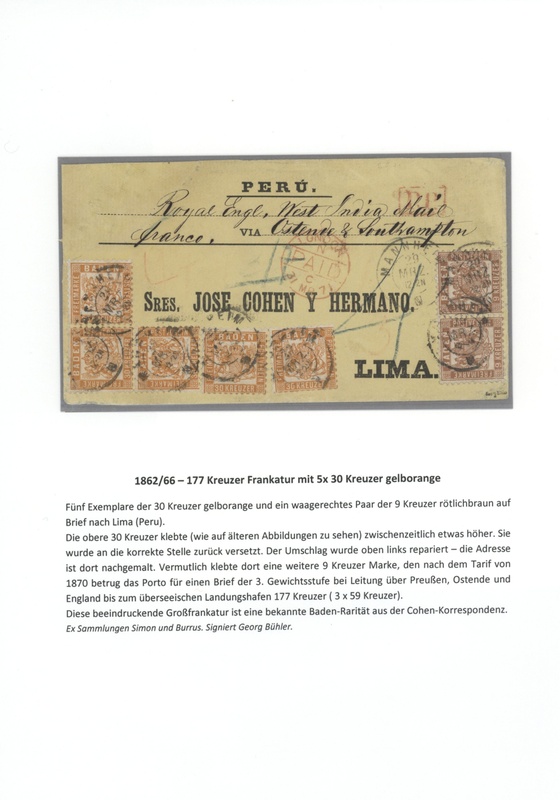 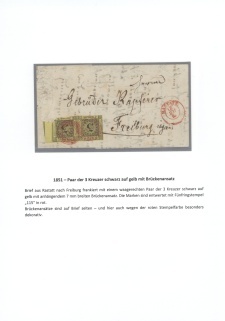 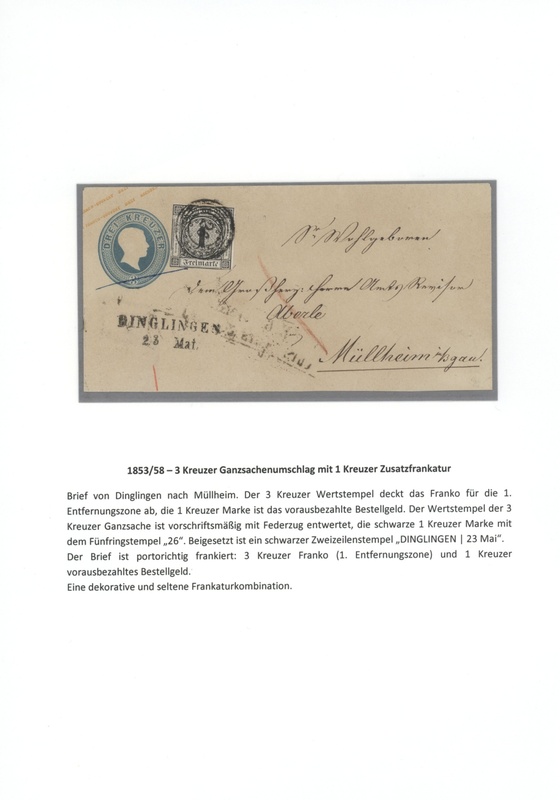 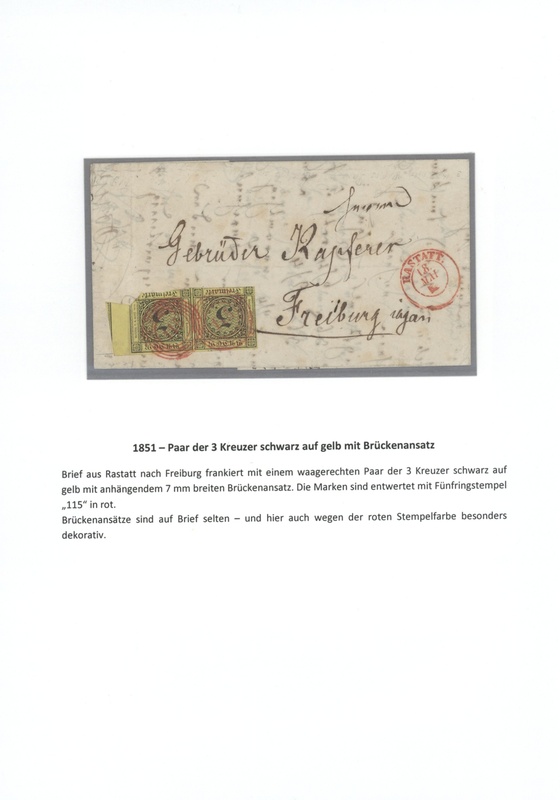 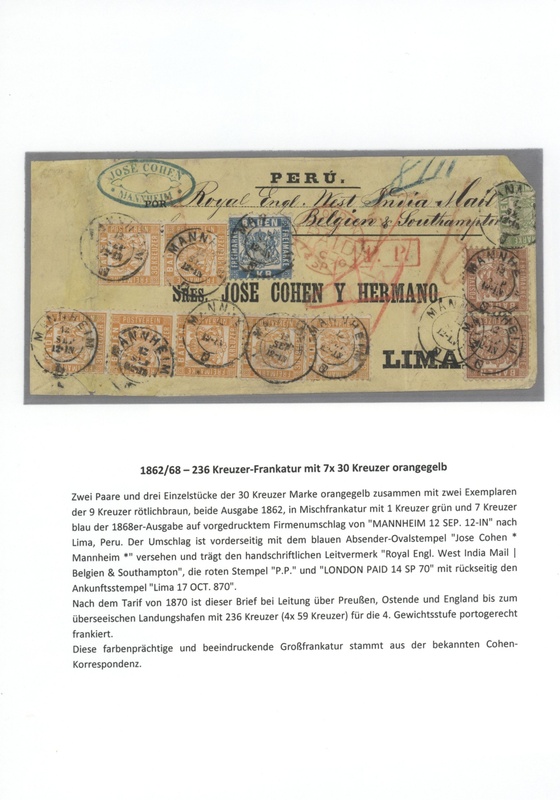 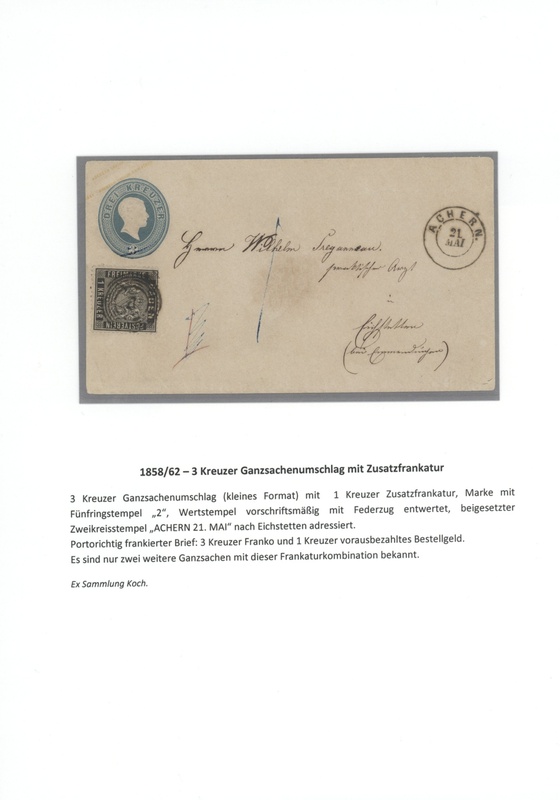 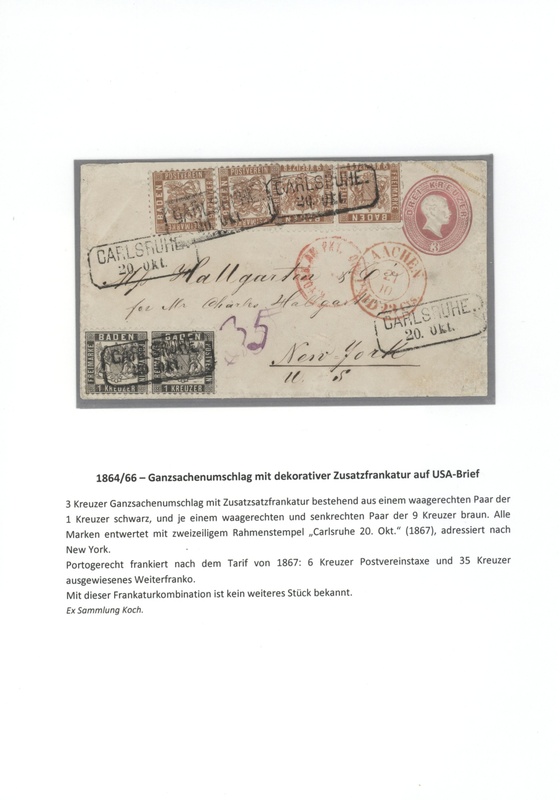 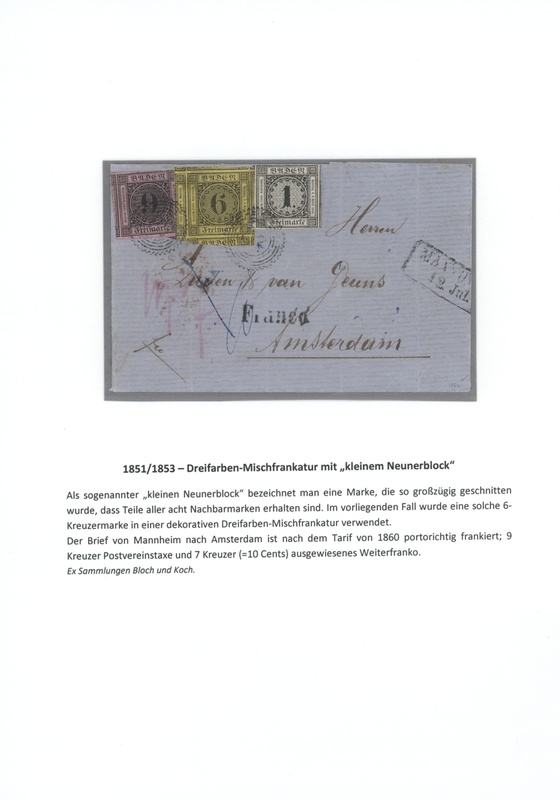 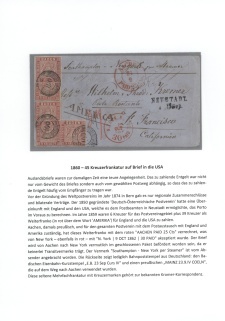 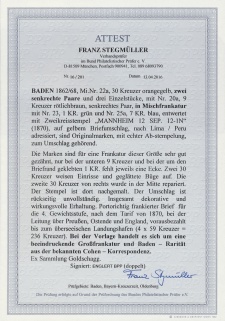 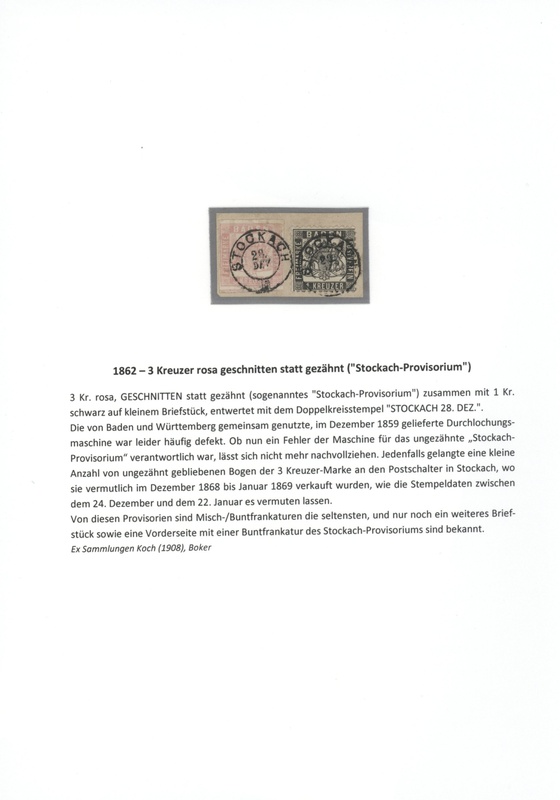 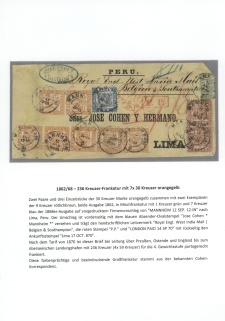 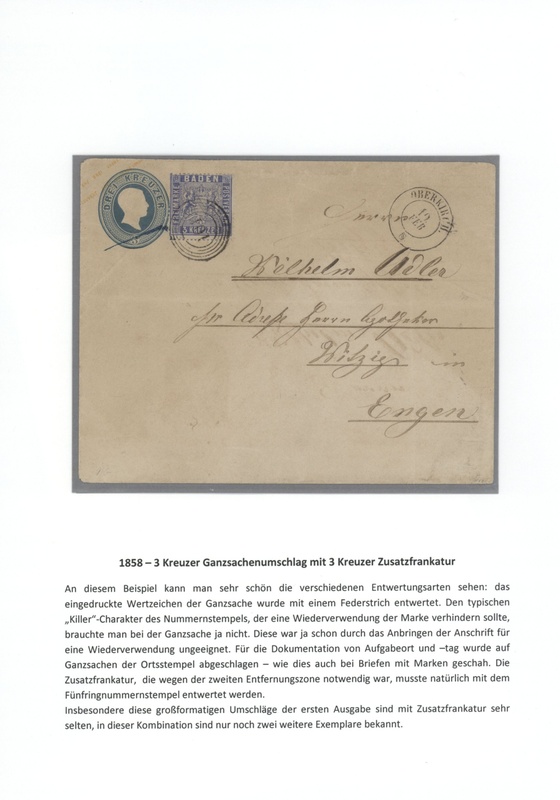 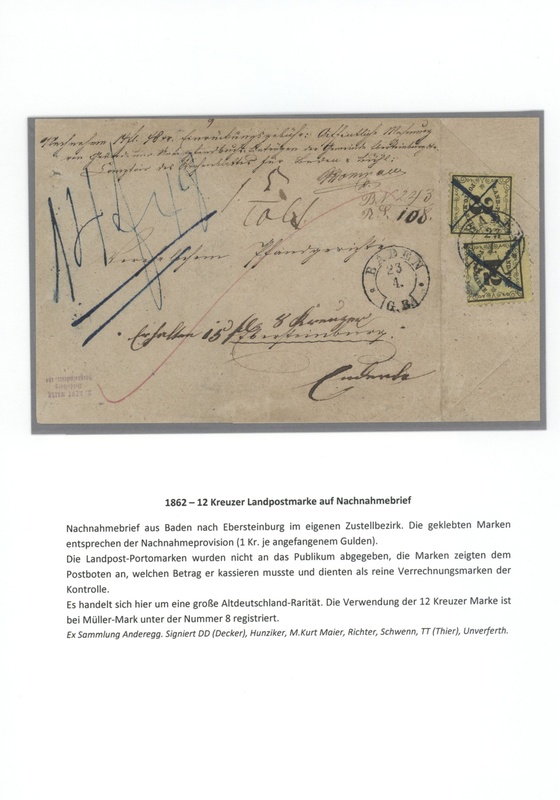 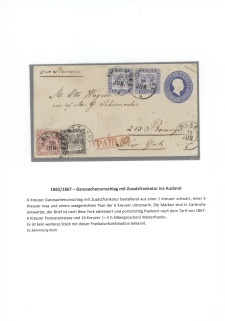 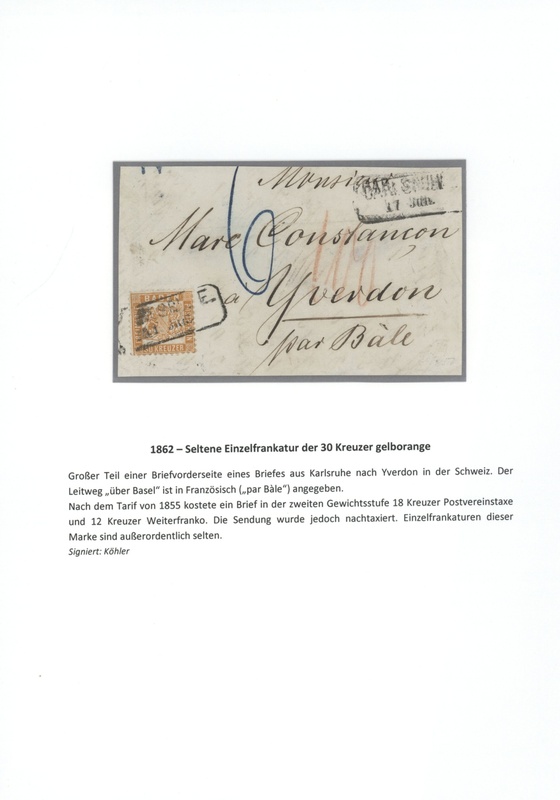 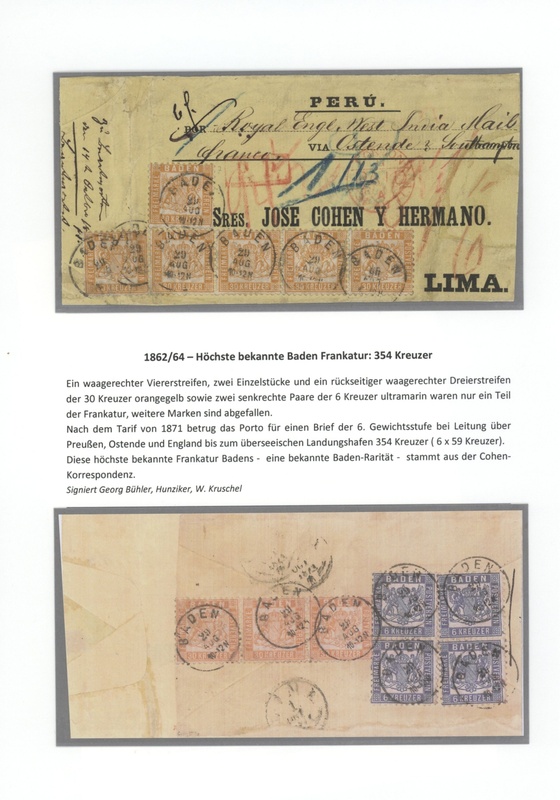 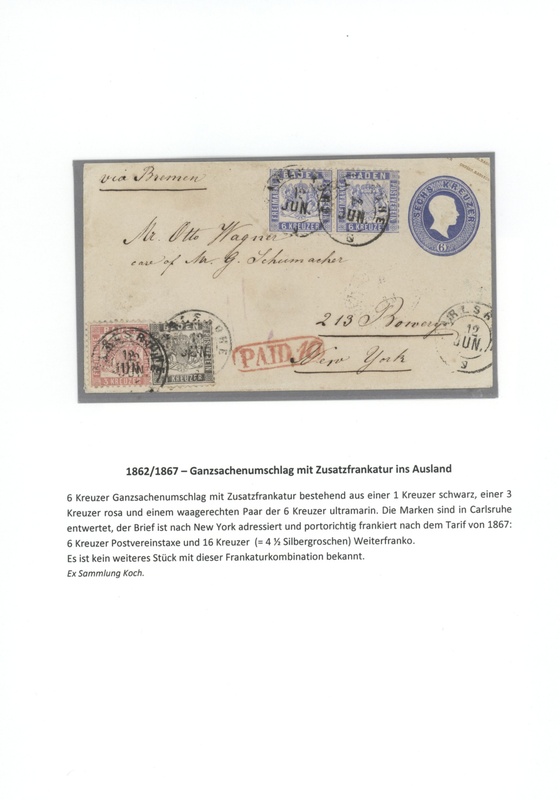 This impressive and extraordinary collection, well written up on pages, undoubtedly is an “El Dorado” of the Baden and German philately.